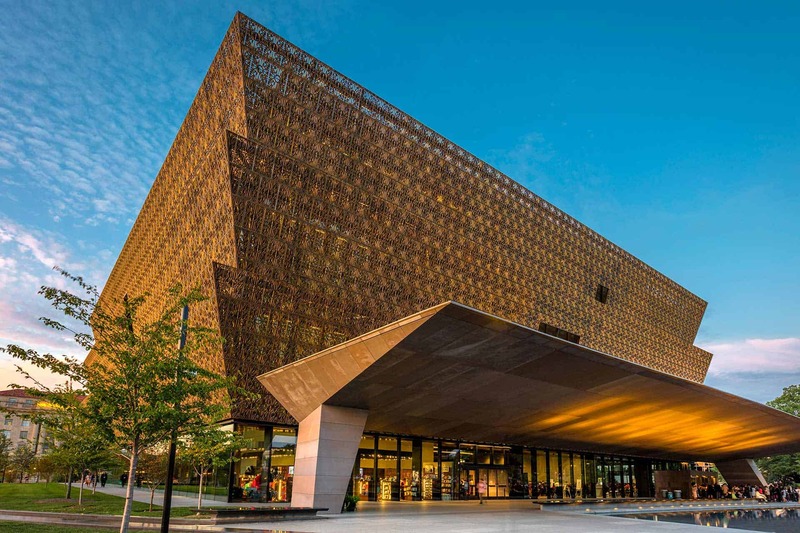 View our gallery for a virtual tour of the sites and settings that contributed to our nation’s civil rights narrative. Scroll through snapshots from across the country and gain inspiration and ideas for creating your own transformative journey. 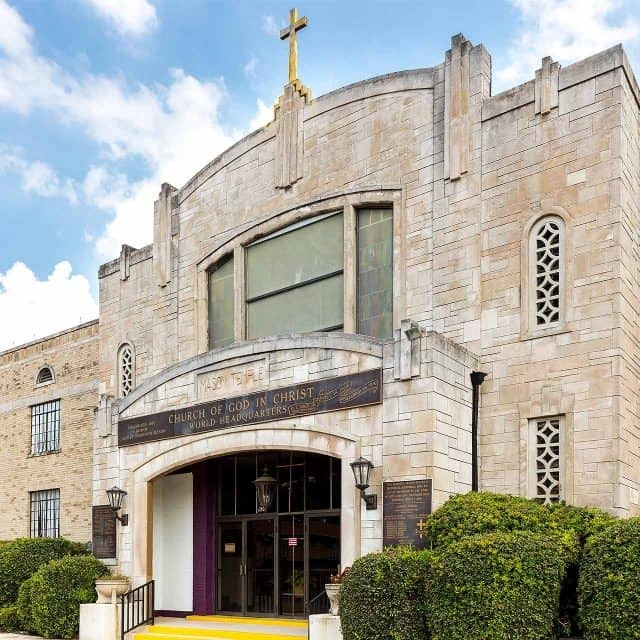 In the 1960s, Clayborn Temple – pastored by the Rev. 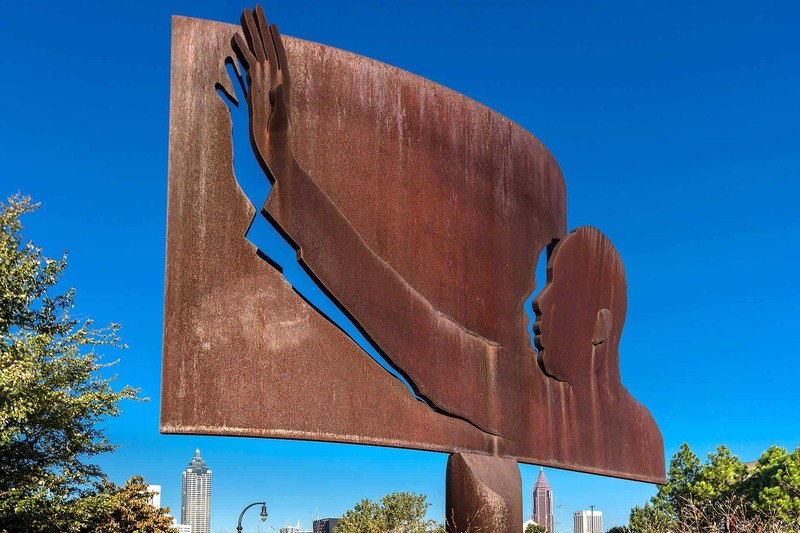 Benjamin Booker – served as a gathering place and refuge for civil rights activists. Dr. Martin Luther King Jr. visited the church several times in support of significant events such as the Memphis sanitation workers strike. 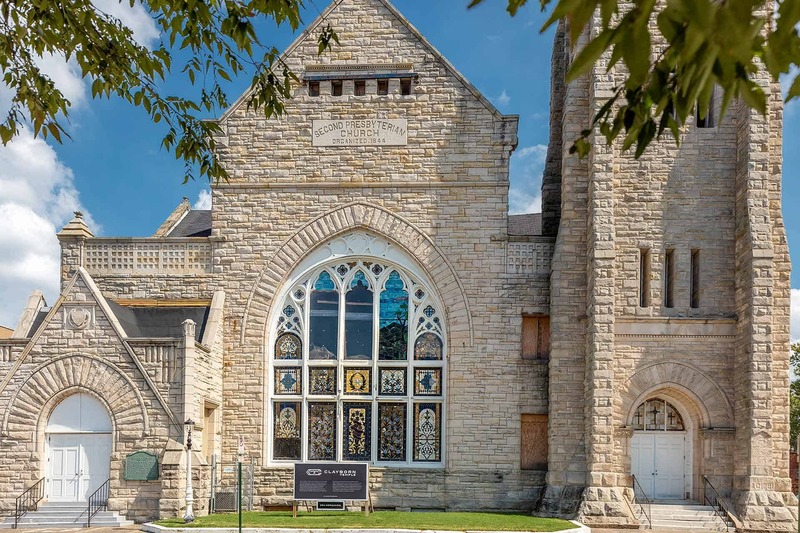 Today, Clayborn Temple continues to unite the community, affirming the church’s historic past and inspiring future generations. 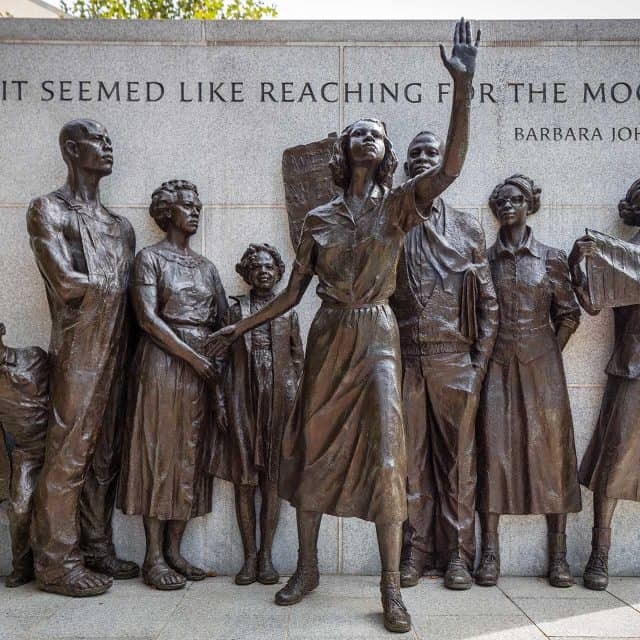 The Virginia Civil Rights Memorial is located on the grounds of the state Capitol in Richmond. 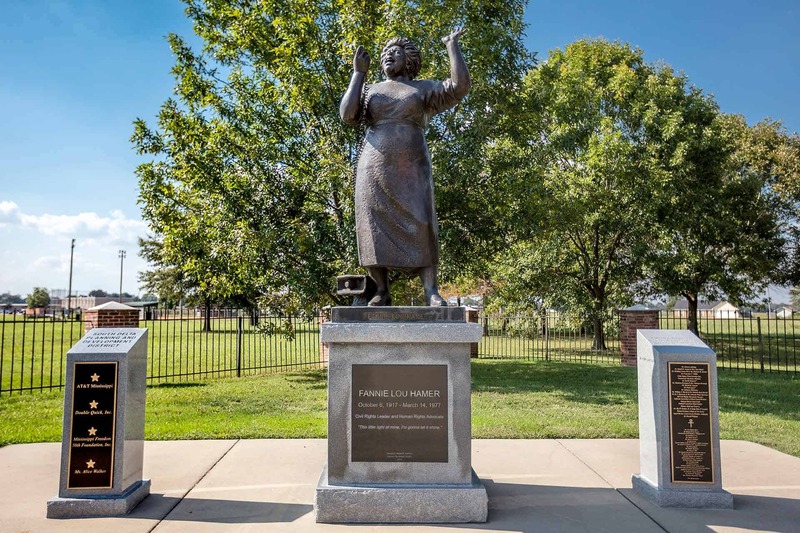 The monument includes a sculpture of Barbara Johns, the 16-year-old young woman who helped organize demonstrations at Moton High School to demand better educational facilities. 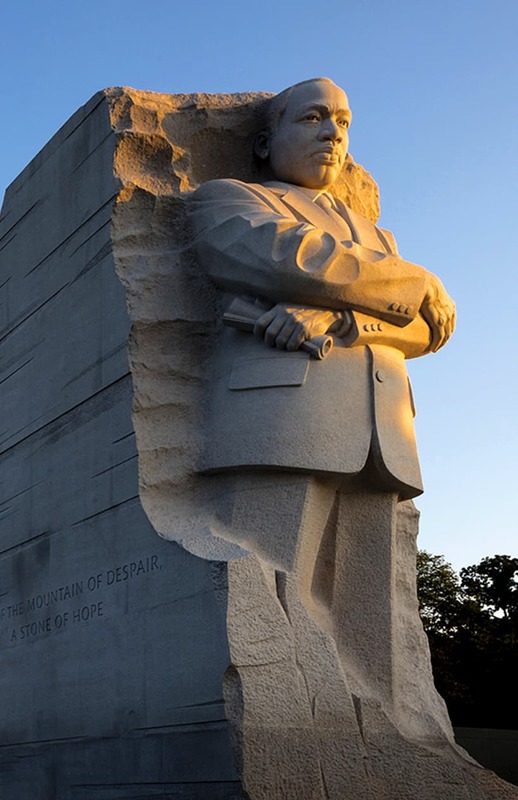 It also features 17 additional statues of leaders or participants in the Civil Rights Movement on four sides of a rectangular granite stone block onto which are carved quotes. The memorial was designed by Stanley Bleifeld. 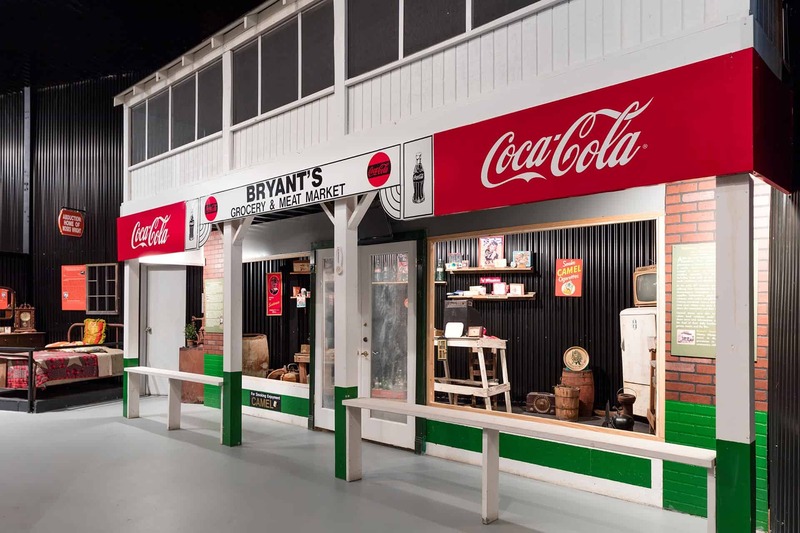 The ruins of the Bryant’s Grocery & Meat Market storefront are all that remain of the store itself, but a historical marker stands at the site and is part of the Mississippi Freedom Trail. 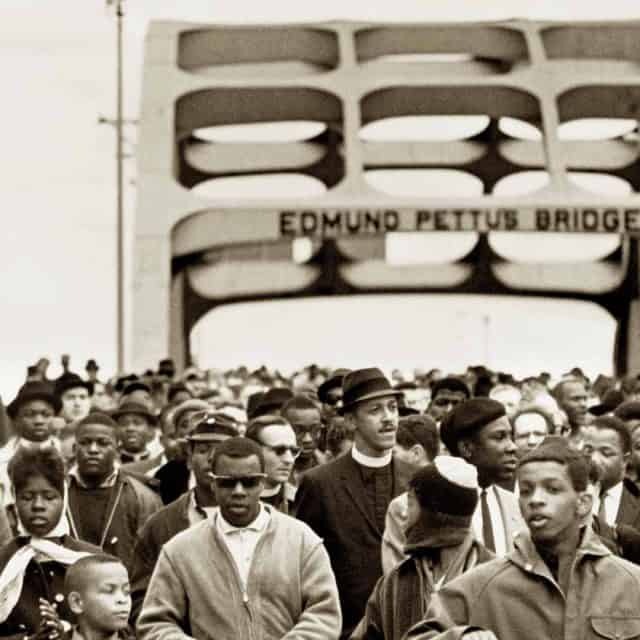 On March 15, 1964, President Lyndon Johnson called for the passage of a new voting rights bill and ordered U.S. Army troops and the Alabama National Guard to protect those participating in the Selma-to-Montgomery march. 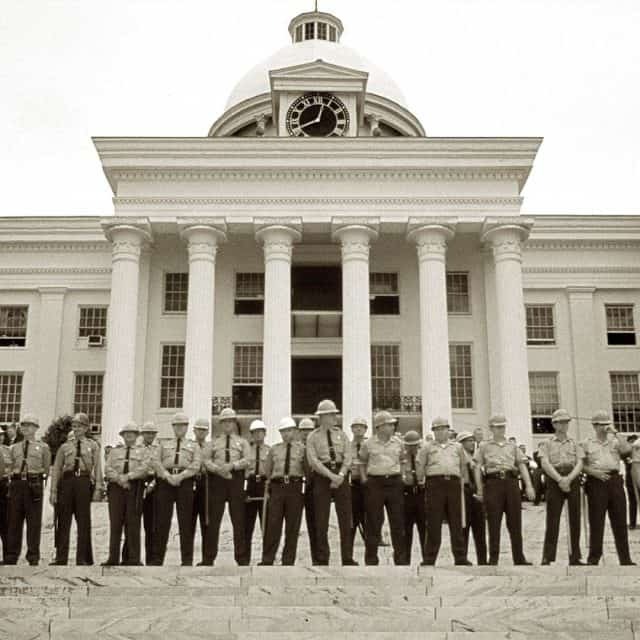 The courageous individuals who participated in the five-day, 54-mile march ended their journey at the Capitol in Montgomery. 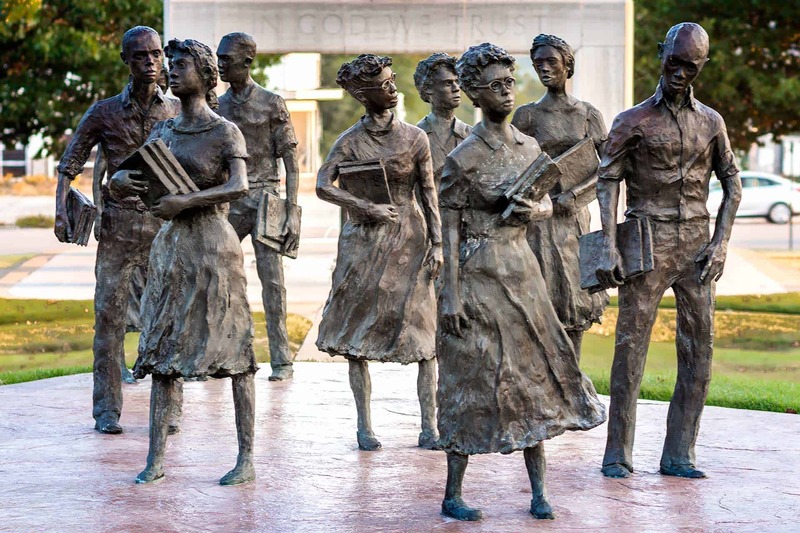 “Testament: The Little Rock Nine Monument” honors the courage of the nine African-American students enrolled at Little Rock Central High School who began the process of desegregating the city’s public schools in 1957. 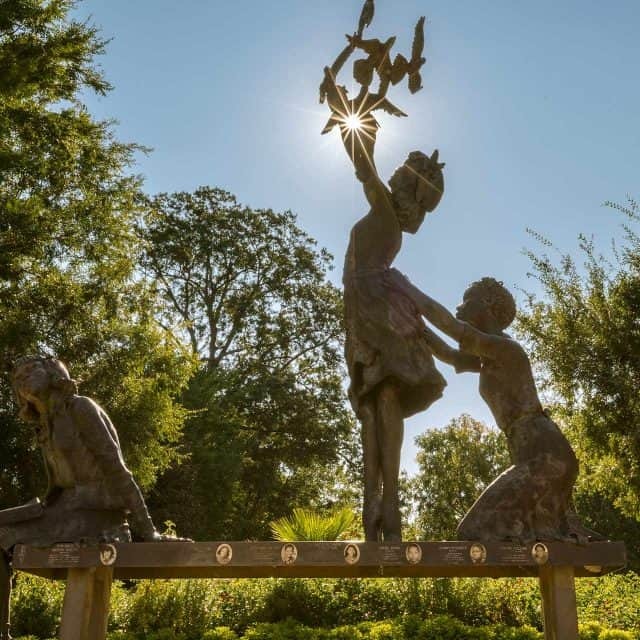 Located on the grounds of the Arkansas State Capitol, the memorial features bronze sculptures of the nine, along with plaques bearing quotations from each of them. 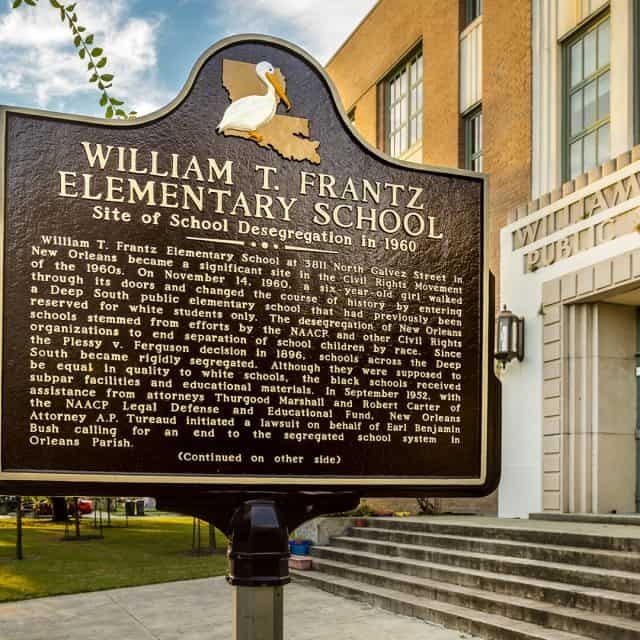 Historic markers designate the site where Rosa Parks boarded the public bus and where she was arrested for refusing to give up her seat to a white passenger. 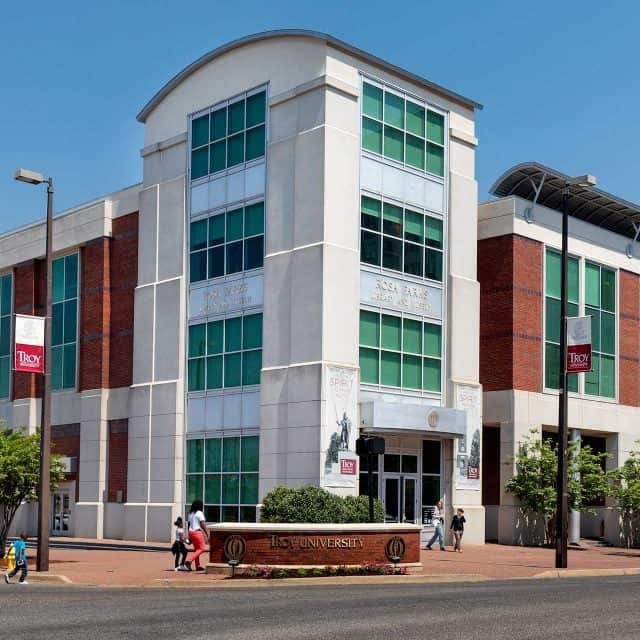 The Rosa Parks Museum, located at the site of Parks’ famous arrest, is centered on Parks’ story and its place in the Civil Rights Movement and features a restored bus and other artifacts. 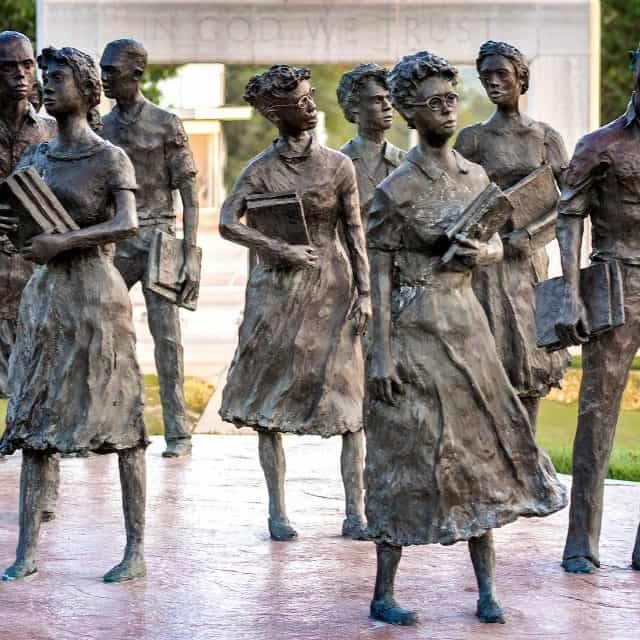 On September 4, 1957, following the federal court mandate to desegregate all public schools, Arkansas Gov. 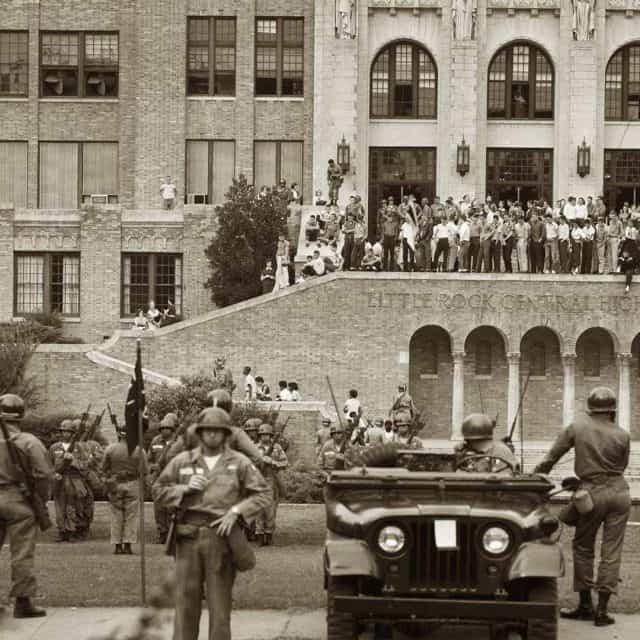 Orval Faubus resisted the decision by calling in the Arkansas National Guard to block nine black students from entering Central High School in Little Rock. A historical marker designates the site of the rioting. 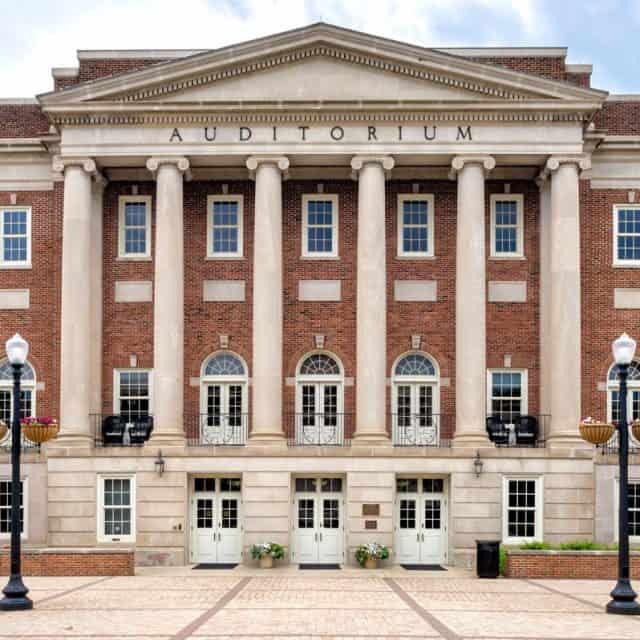 When you visit today, you can see the Lyceum, part of the Circle Historic District at the University of Mississippi. The Lyceum is the only surviving building of the original five buildings that made up the early university. 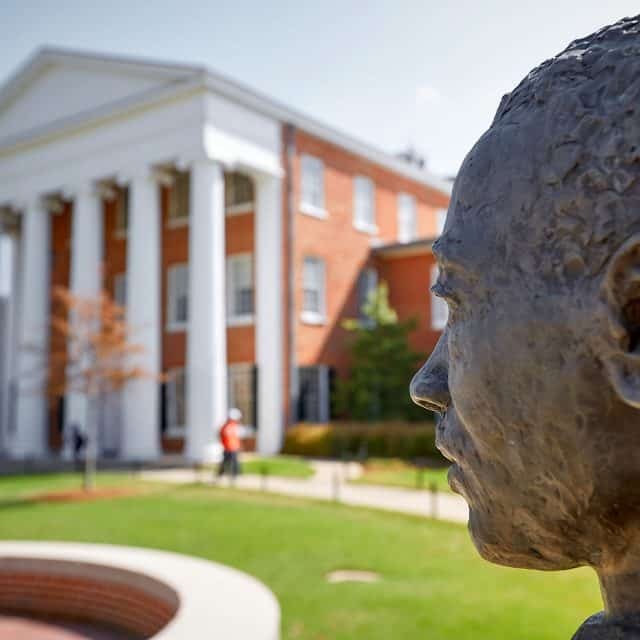 A statue of James Meredith also stands at the site. Howard University provided preparation of Thurgood Marshall and the NAACP’s legal strategy that resulted in the historic decision in Brown v. Board of Education, which ruled that “separate but equal” public educational facilities created an unequal learning environment and mandated the desegregation of public schools across the country. 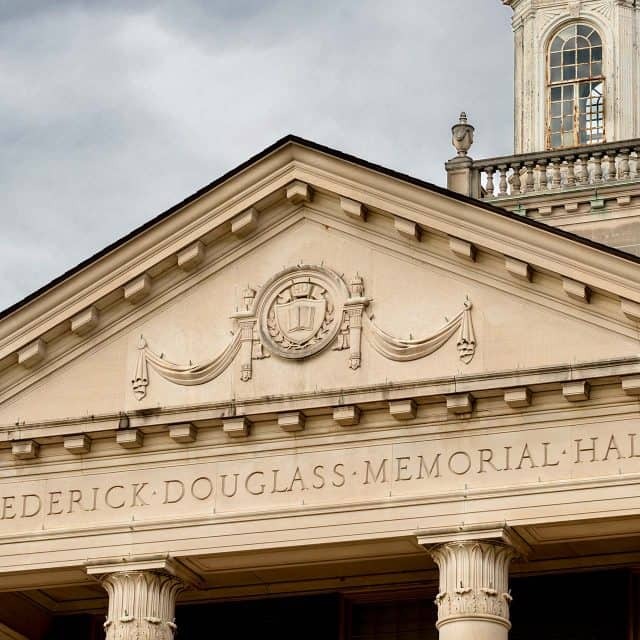 Nine of the 10 attorneys who argued in the Brown case were professors or graduates of Howard University School of Law, which has graduated the greatest number of civil rights attorneys in the nation. 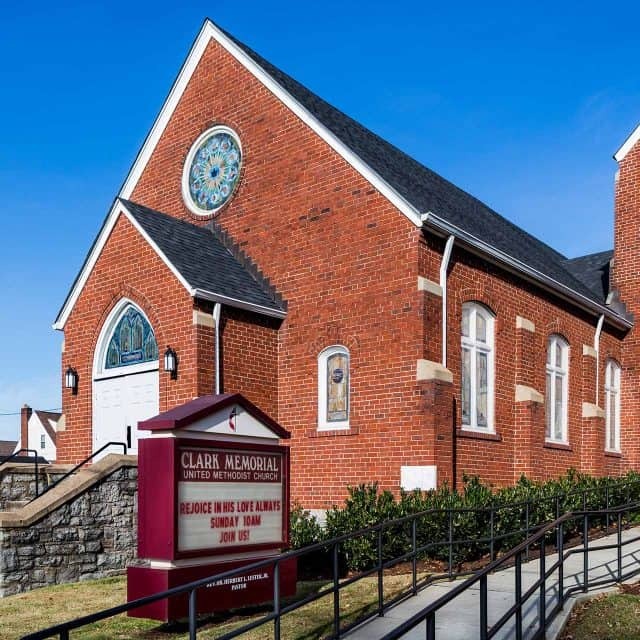 The Clark Memorial United Methodist Church served as a meeting site for numerous civil rights efforts. 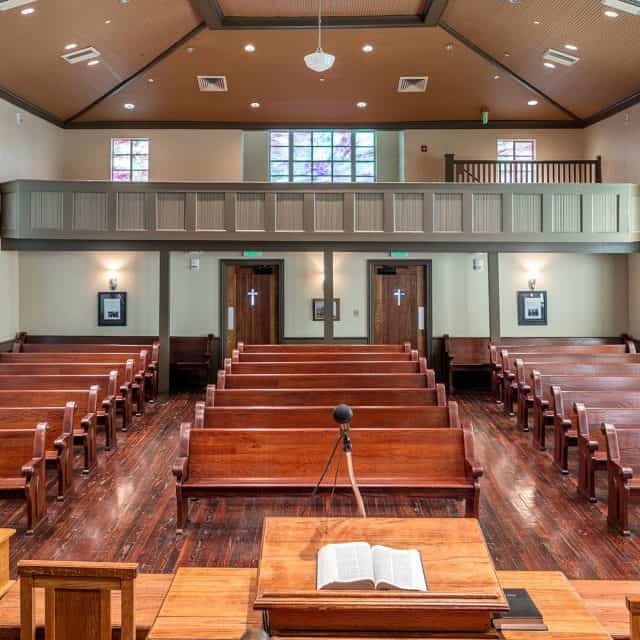 In 1958, James Lawson hosted workshops on nonviolent protest at the church, and in 1961 Dr. Martin Luther King Jr. held the annual meeting of the Southern Christian Leadership Conference there. 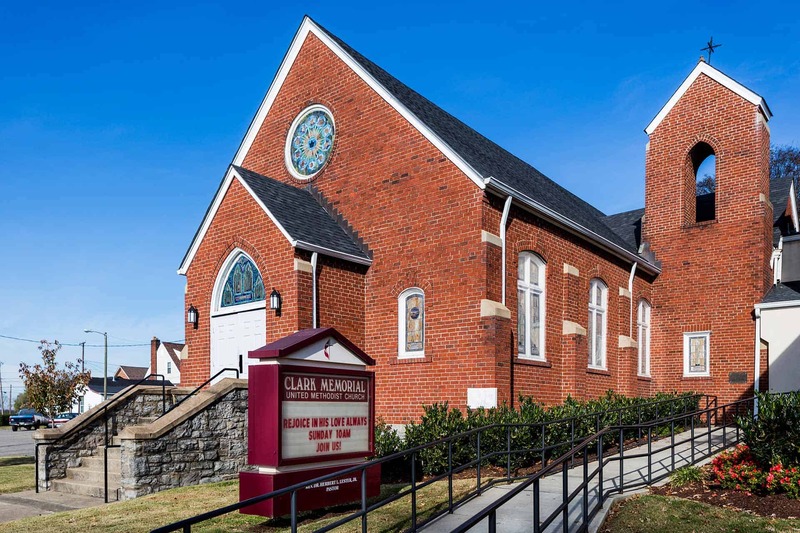 The church is still active in the Nashville community. 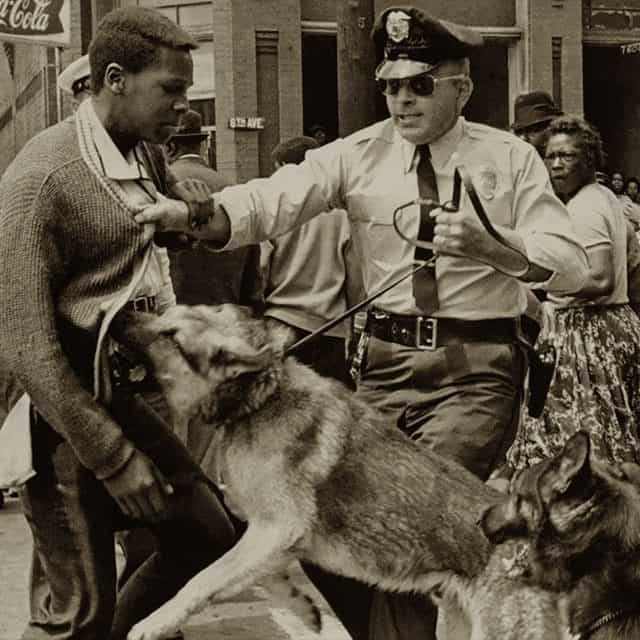 After President Lyndon Johnson signed the Voting Rights Act on August 6, 1965, nearly 7,000 African-Americans registered to vote in Dallas County, Alabama, resulting in the election defeat of the segregationist sheriff who led the Bloody Sunday attack on marchers. 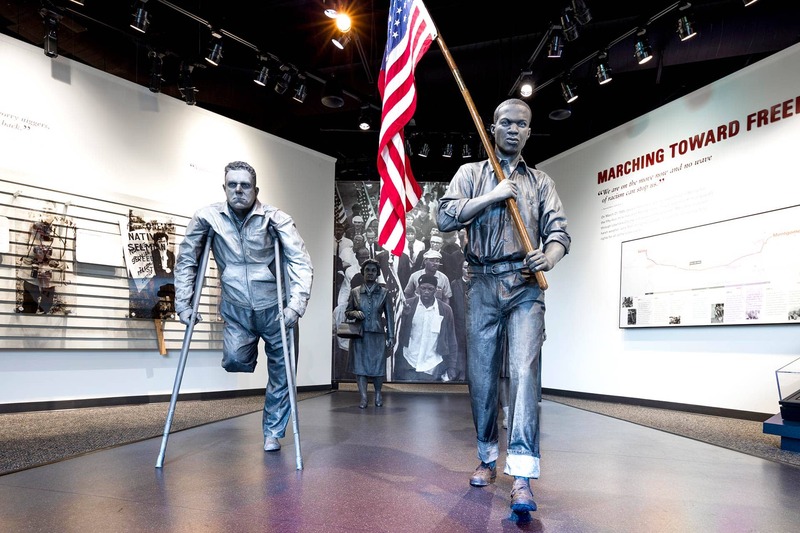 This museum displays items and stories relating to the voting rights campaign, from the beginning of the marches to the end of the fight. 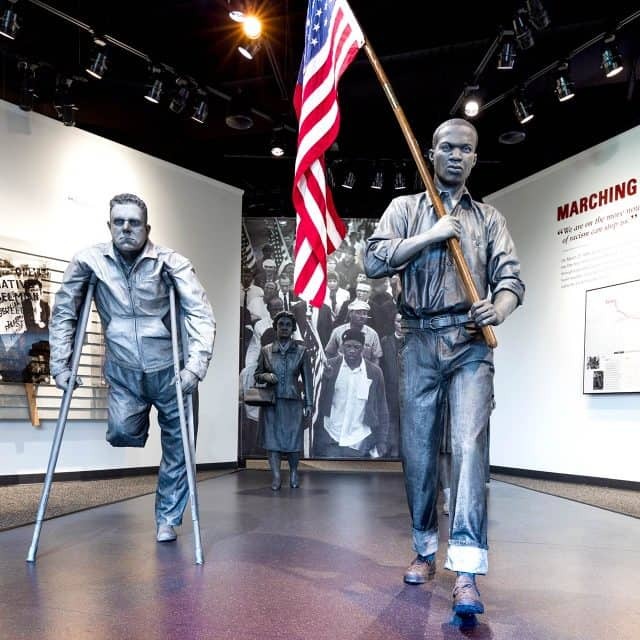 Hear firsthand accounts of these events from volunteer guides as they share memories of the struggle to gain the right to vote. 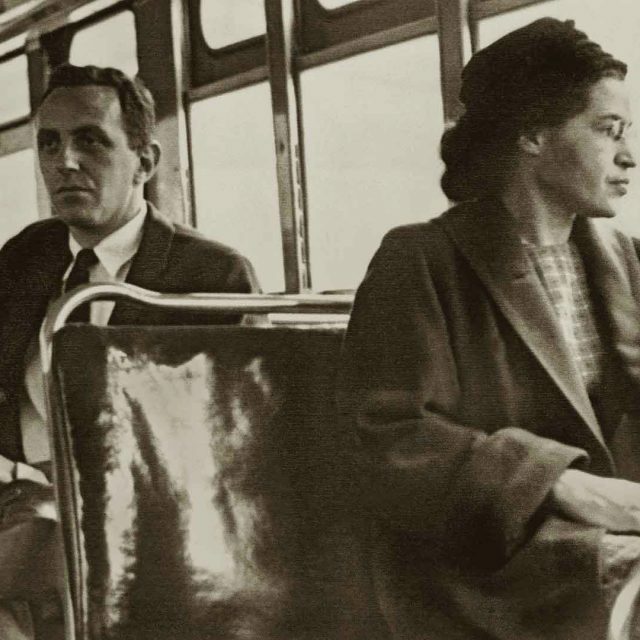 Rosa Parks was arrested December 1, 1955, for refusing to give up her seat to a white passenger on a Montgomery bus. This paved the way for the Montgomery Bus Boycott. 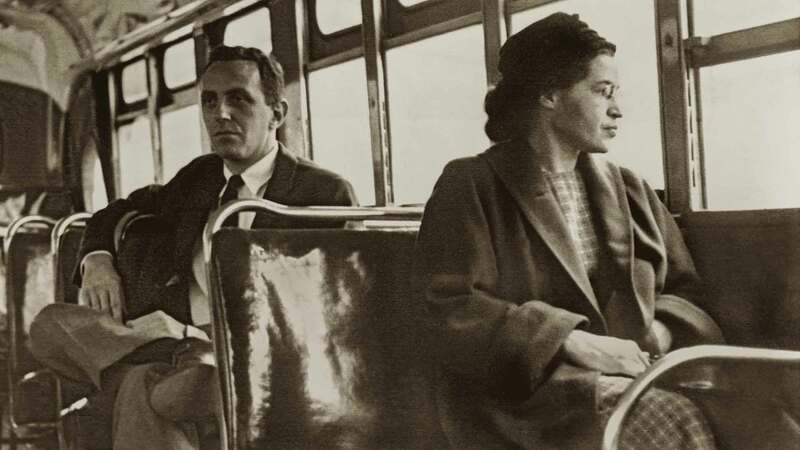 This picture was taken after the Supreme Court ruled segregation illegal on the city bus system. The man sitting behind Parks is Nicholas C. Chriss, a reporter for United Press International out of Atlanta. 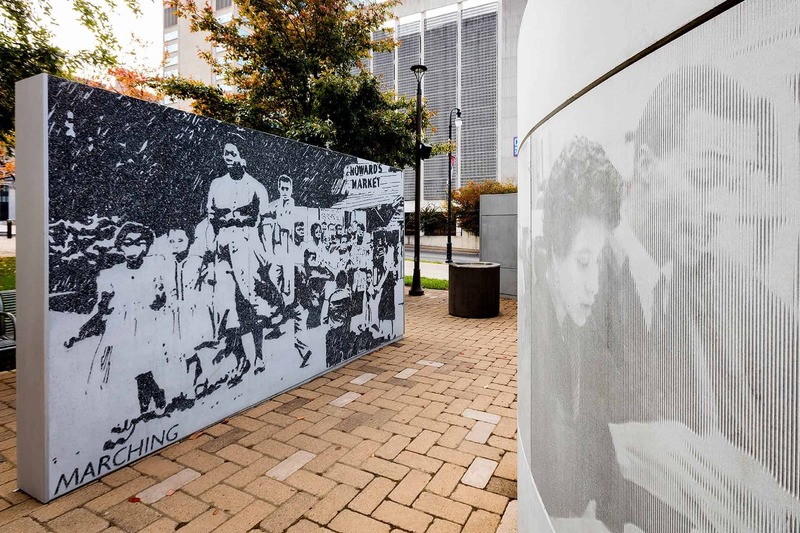 Witness Walls, located beside the Davidson County Courthouse, was inspired by the events and people that made history in Nashville during the Civil Rights Movement. 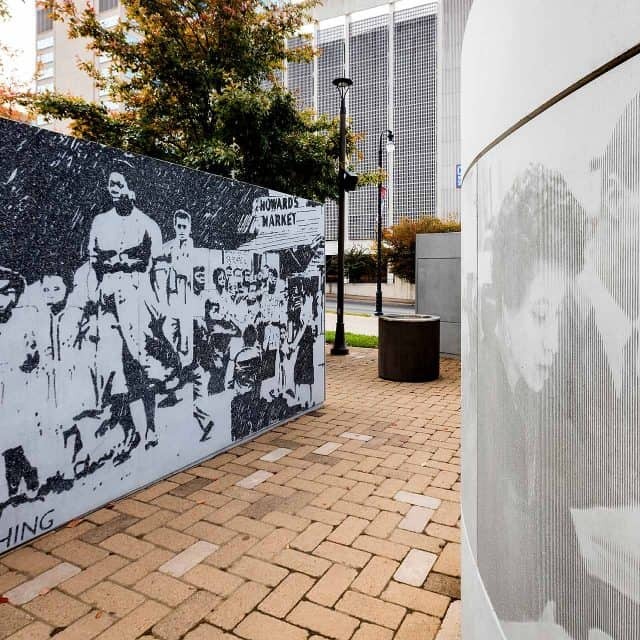 As visitors walk among the concrete walls of the installation designed by artist Walter Hood, they will see depictions of Nashville’s citizens taking action through school desegregation, lunch counter sit-ins, economic boycotts, marches, meetings and Freedom Rides. 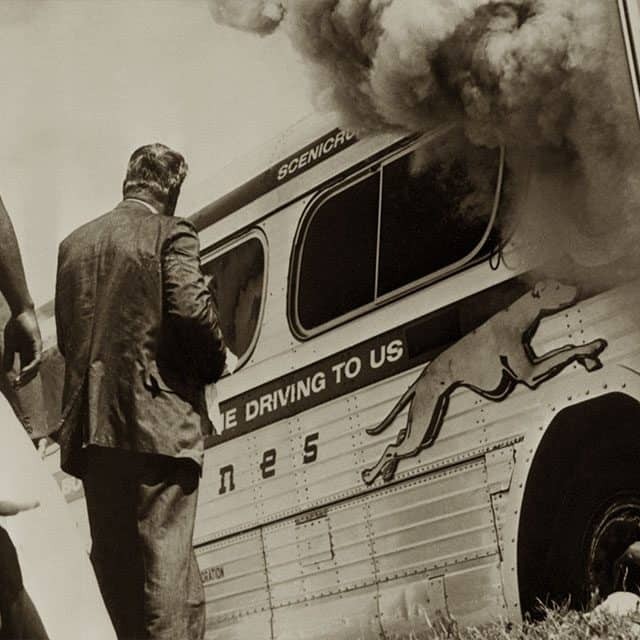 In 1961, just outside of Anniston, members of the Freedom Riders evacuated a burning bus after it was firebombed by an angry white mob. 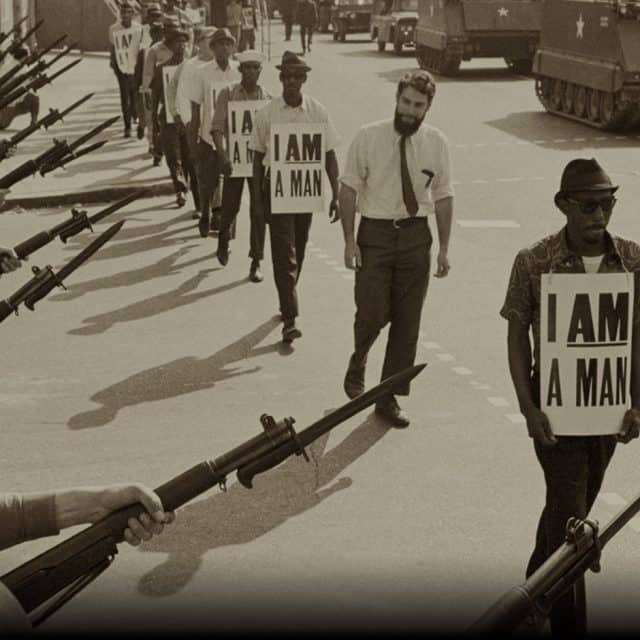 On March 29, 1968, U.S. National Guard troops blocked off Beale Street as civil rights activists marched wearing signs derived from the first line of Ralph Ellison’s prologue to Invisible Man, “I am an invisible man.” By omitting the word “invisible,” protestors affirmed their presence and right to equality and liberty. 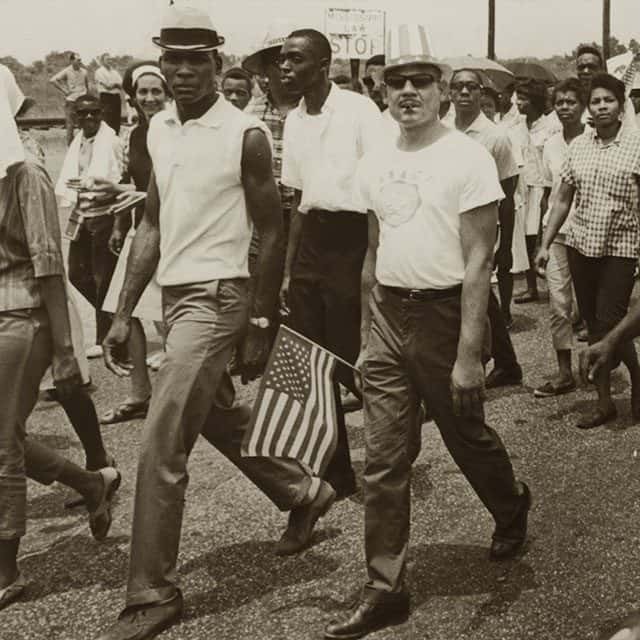 James Meredith attempted to walk from Memphis, Tennessee, to Jackson, Mississippi, in an effort to encourage African-Americans to register to vote. During his journey, Meredith was shot and wounded. 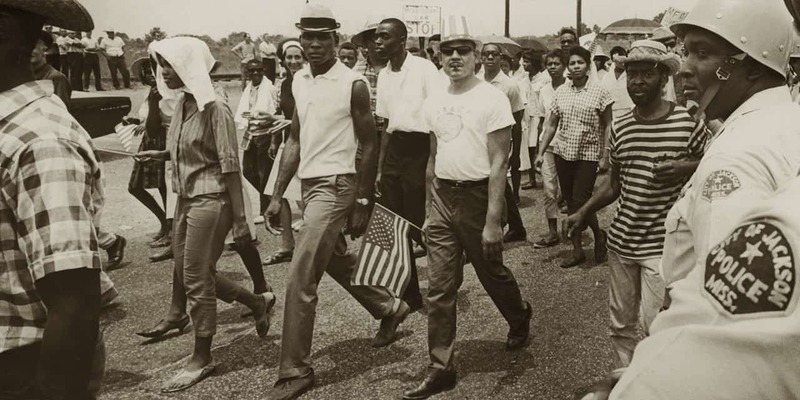 Foot soldiers carried out his mission in the Meredith Mississippi March near Jackson in June 1966. 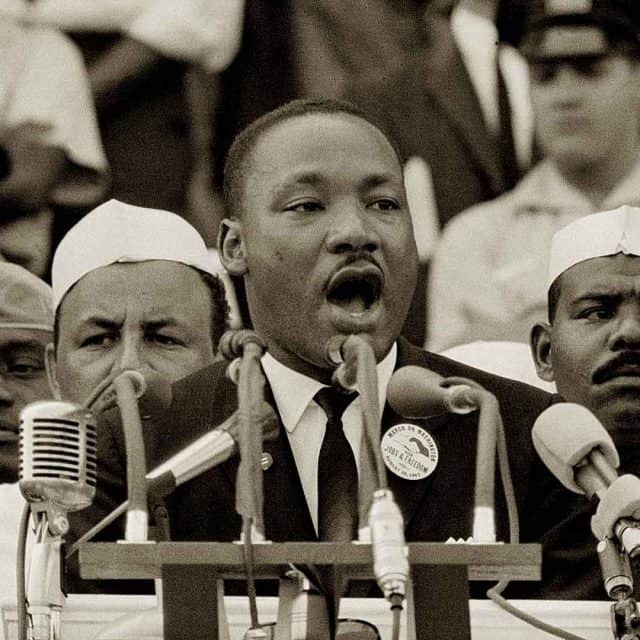 At the end of the third march from Selma to Montgomery, 25,000 people gathered on the steps of the Capitol to hear Dr. King deliver his famous speech, “How Long, Not Long.” The building, which housed Gov. 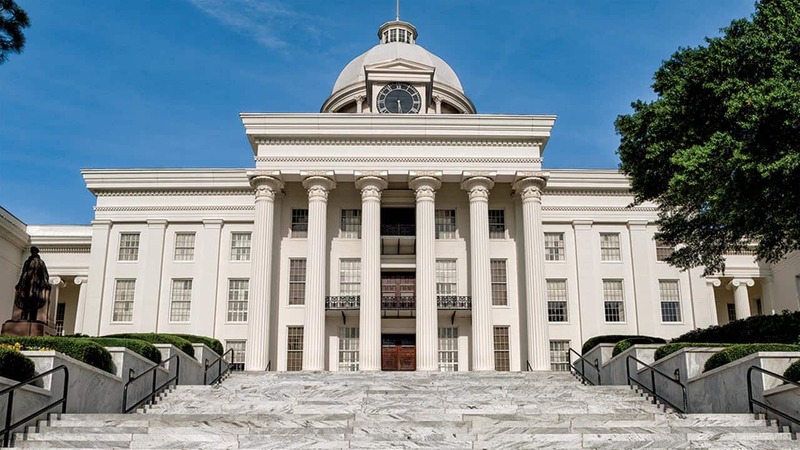 George Wallace’s office, has been rehabilitated and restored to its original appearance. 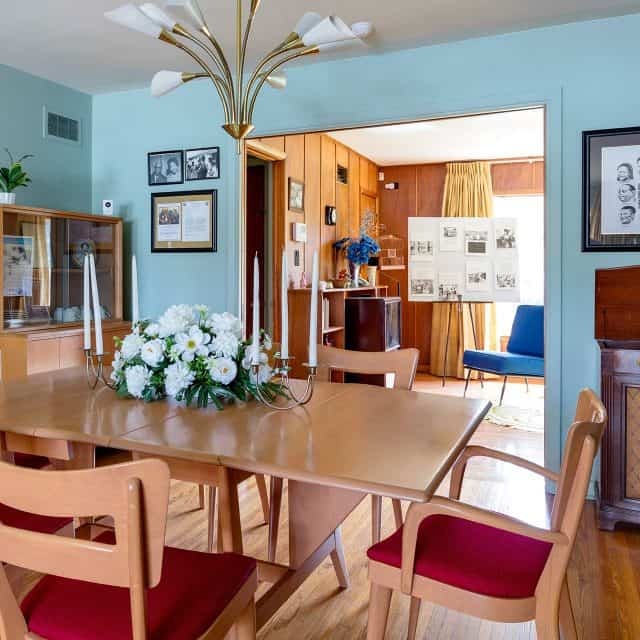 Dr. Martin Luther King Jr. and his family resided at the parsonage during Dr. King’s pastorate from 1954-1960. 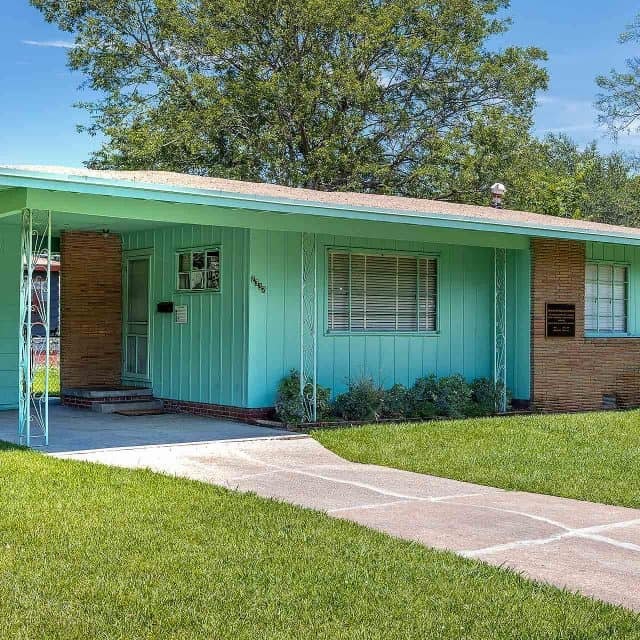 The parsonage was bombed several times during the civil rights struggle. 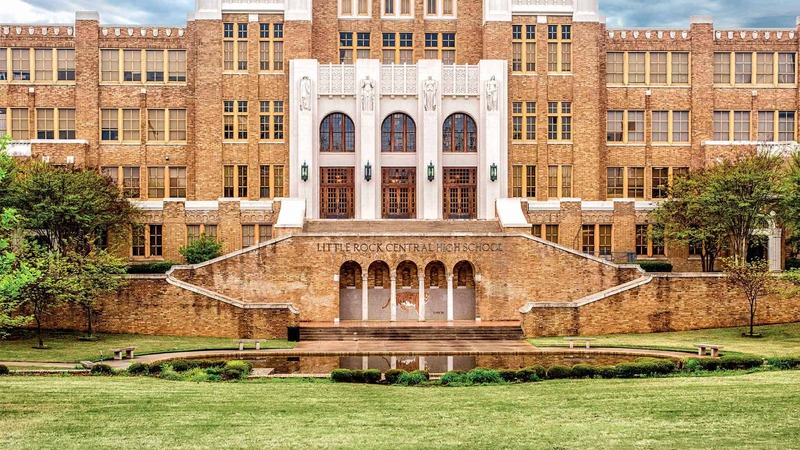 Daisy Bates, president of the Arkansas chapter of the NAACP, served as a liaison between the local school board and the Little Rock Nine, speaking on behalf of the students. The Bates house functioned as a meeting place and organizational post for the students and their parents. The Bates house and property were vandalized in several acts of anti-integration violence and were the target of an incendiary bomb. 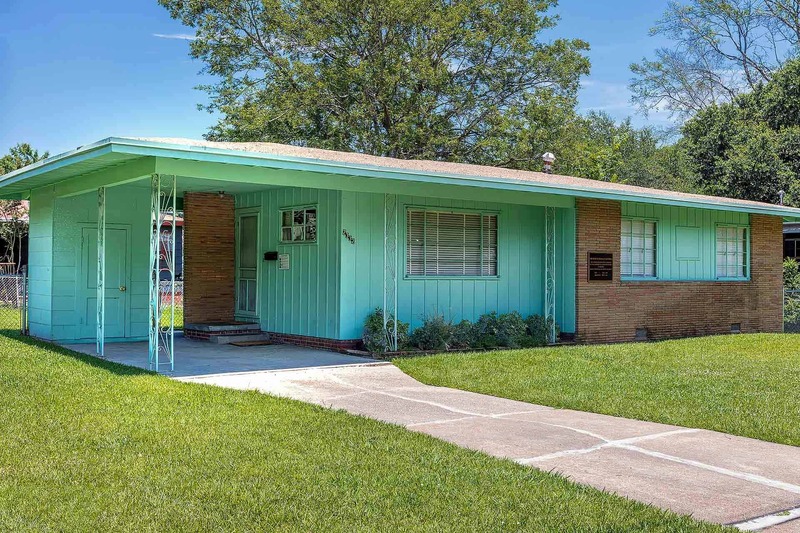 Today, the home is a National Historic Landmark. It is not open to the public because it is in use as a private residence. 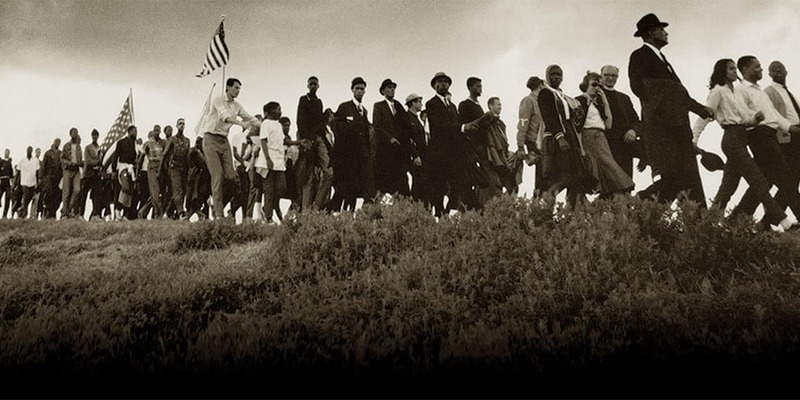 Following the beatings of Bloody Sunday, civil rights activists from all over the nation flocked to Selma to participate in the second march to Montgomery. 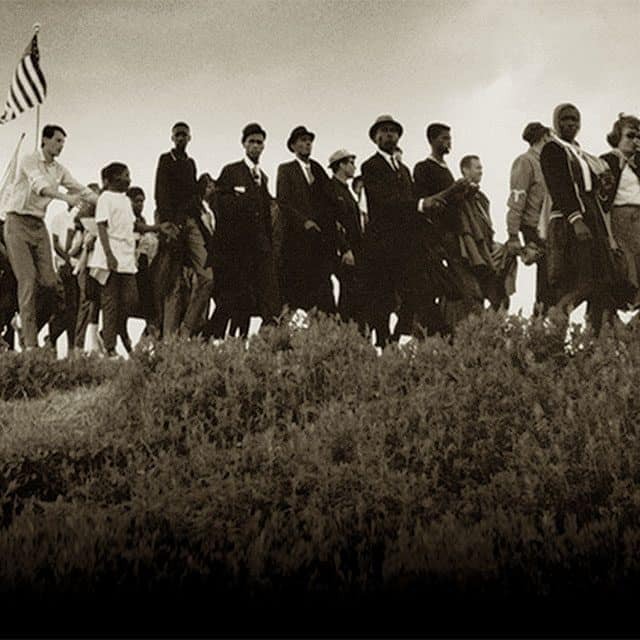 Men, women and children, teachers, preachers and unsung heroes – black and white – marched for equality and changed history. 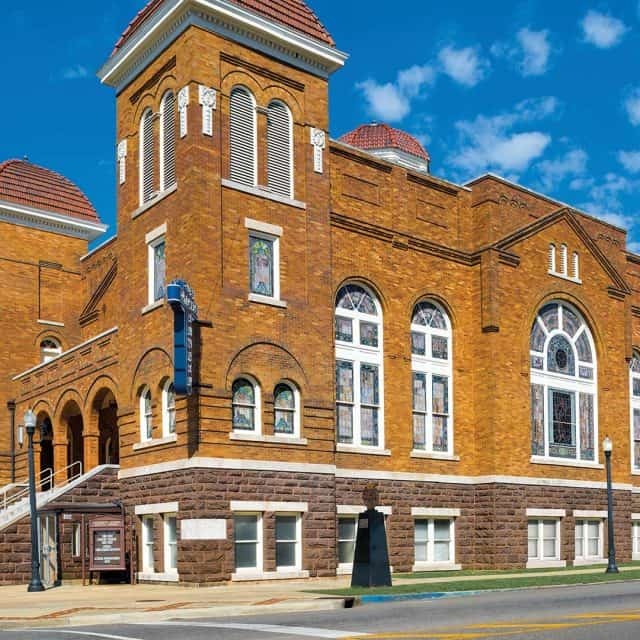 First Baptist Church on Ripley Street played a role in housing meetings to plan and organize the Montgomery Bus Boycott and Freedom Rides. 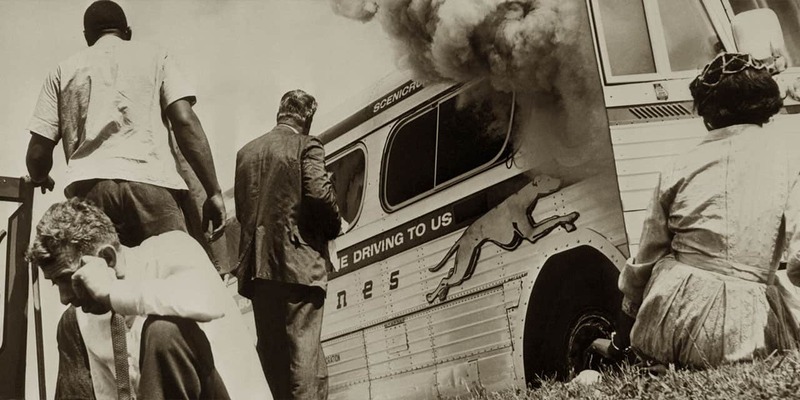 The church was under siege by segregationists because it was used as a refuge to protect Freedom Riders evacuated from the Greyhound Bus Station. 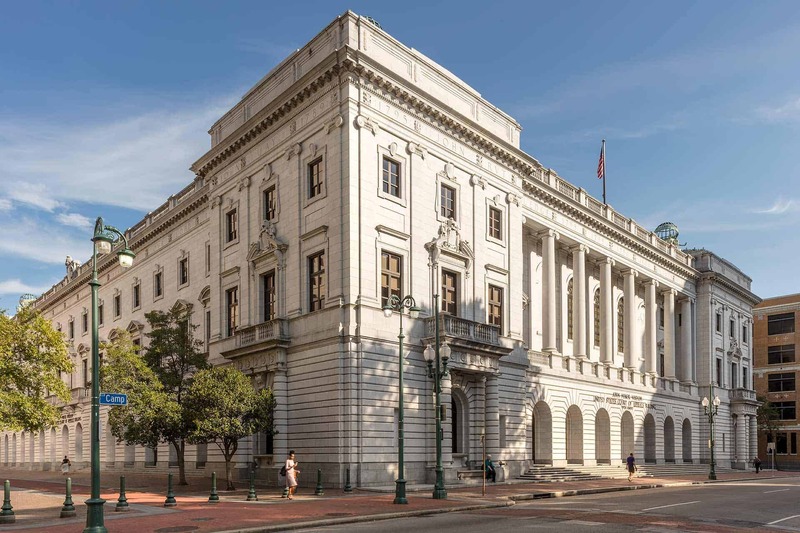 In this building, Judge Frank Johnson Jr. legalized desegregation of buses in 1955 and, in 1965, ruled that the march from Selma to Montgomery was legal and could continue. Judge Johnson was a beacon of hope for the South during the most turbulent years of the Civil Rights Movement. 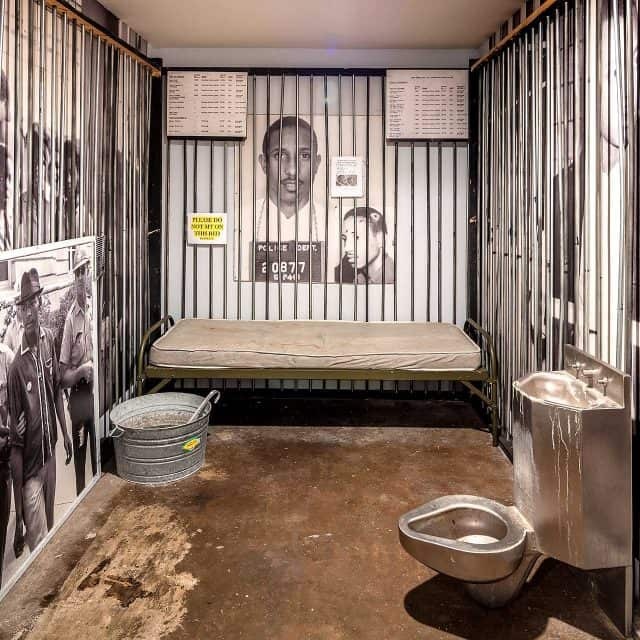 He set statewide and national standards with his anti-segregationist rulings on voting rights, affirmative action, standards of treatment in prisons and employment discrimination. The original building has been preserved; additional space was added later. 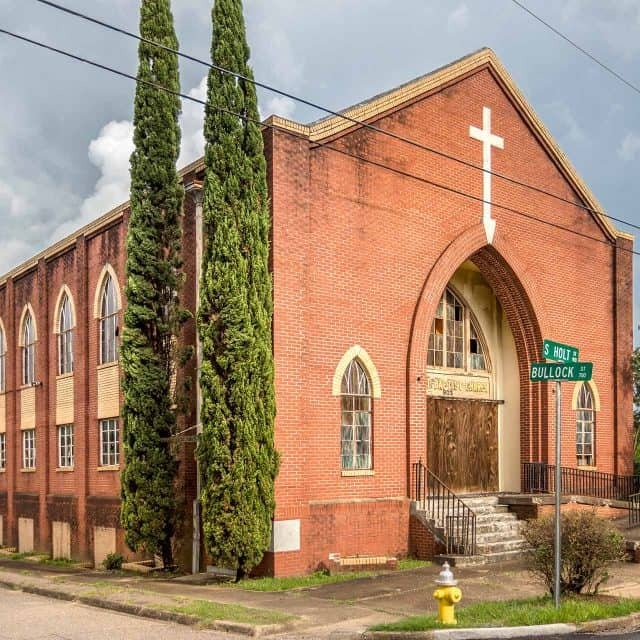 Brown Chapel African Methodist Episcopal (AME) Church, the first AME church in Alabama, was the site of preparations for the march to Montgomery on March 7, 1965, a day that became known as Bloody Sunday. The church also served as a refuge for injured marchers. 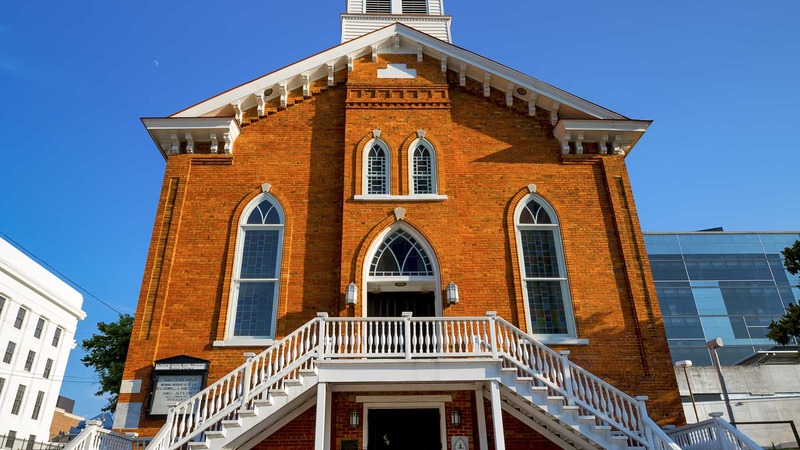 Declared a National Historic Landmark in 1997, the church is still in use today. 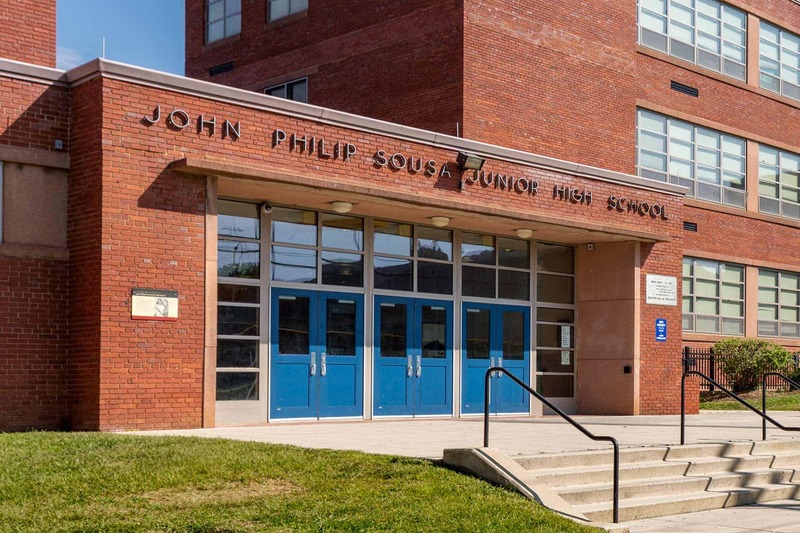 Built in 1950 and formerly known as John Philip Sousa Junior High School, the public middle school was the site of an attempt at school integration. 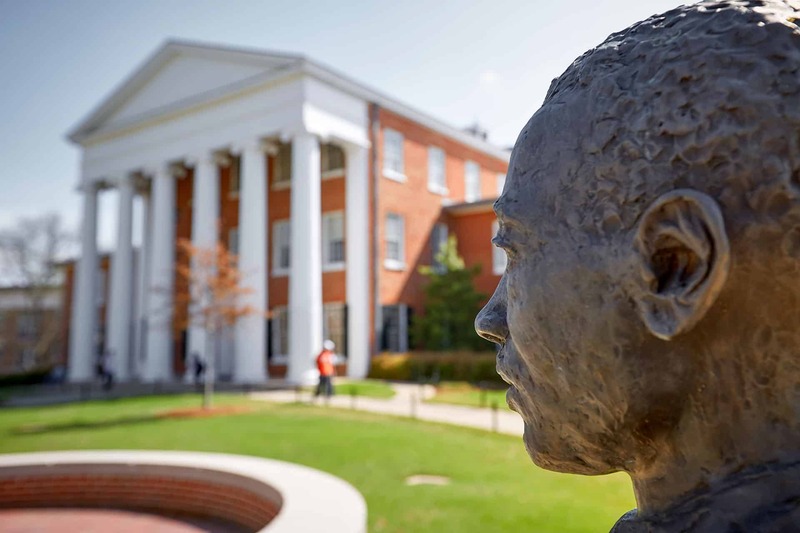 When 12 black students were denied admission to the all-white school, the Bolling v. Sharpe case was filed by James Nabrit Jr., a professor at Howard University School of Law. The case was originally argued in 1952 and was eventually incorporated into Brown v. Board of Education. 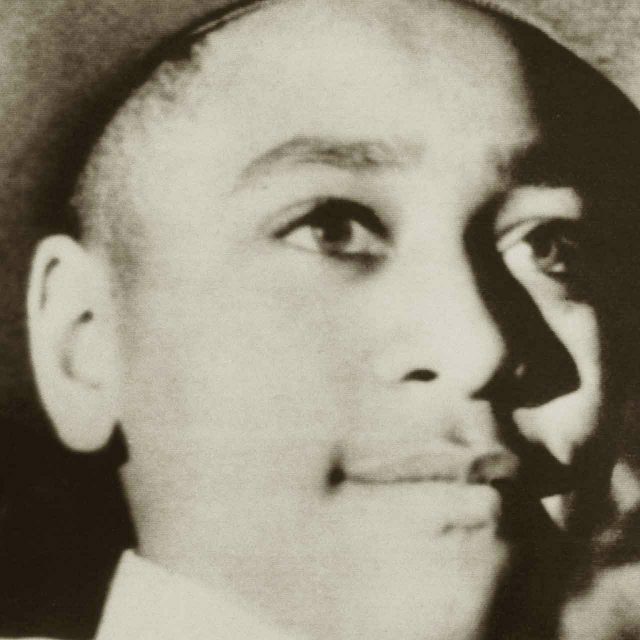 Young Emmett Till was brutally murdered by Roy Bryant and J.W. Milam in the town of Sumner. The men were later tried and acquitted of any charges. 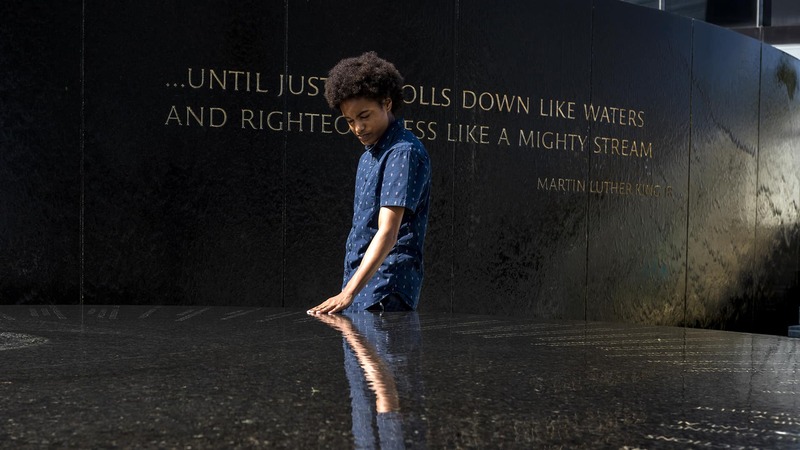 The murder of this 14-year-old boy shed light on the horrific treatment of African-Americans in Mississippi and in the South. 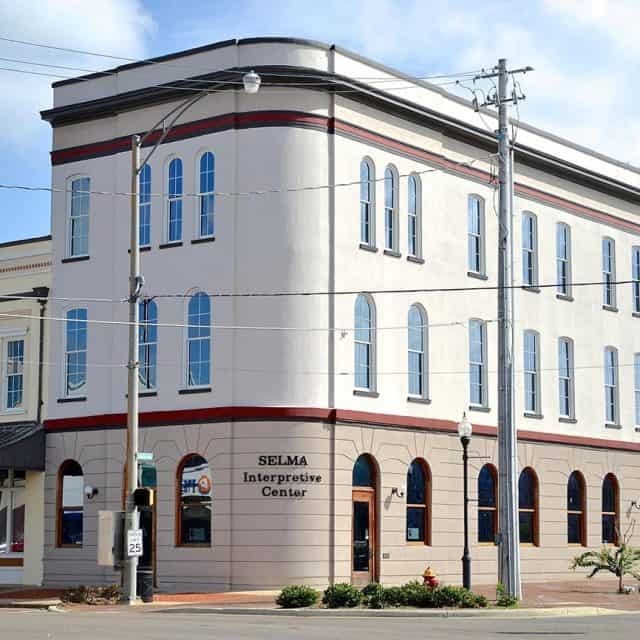 This welcome center marks the beginning of the Selma to Montgomery National Historic Trail. 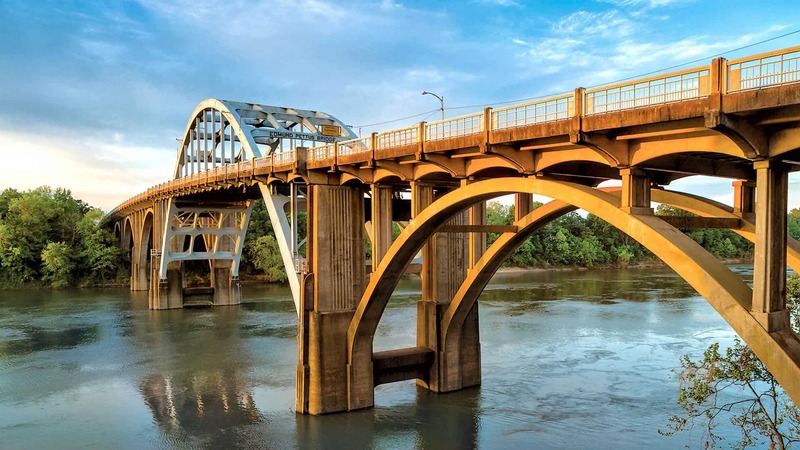 It is located at the foot of the Edmund Pettus Bridge. 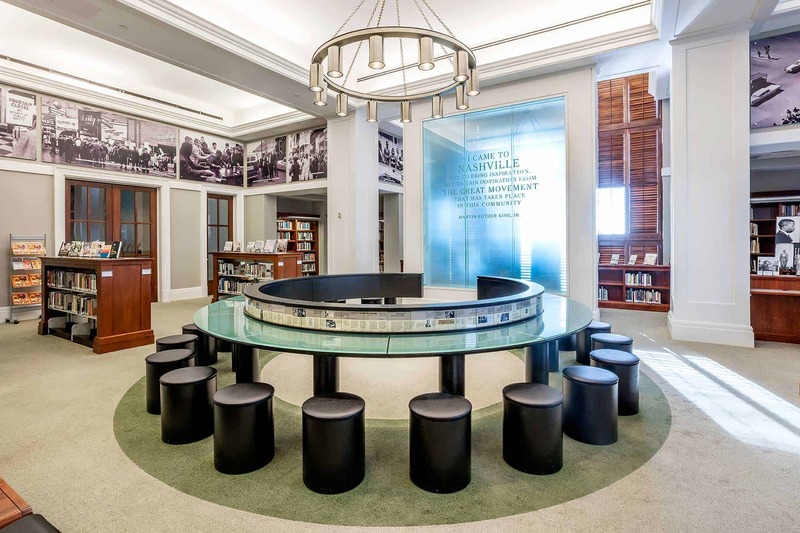 Visitors can pick up materials about the trail, explore the bookstore and learn the story of the movement through featured exhibits. 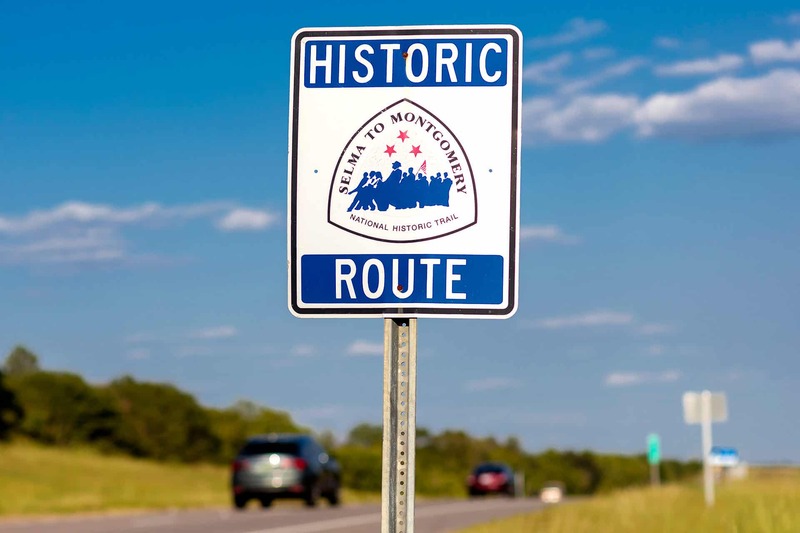 This National Park Service site is dedicated to those who peacefully marched from Selma to Montgomery to gain the right to vote. 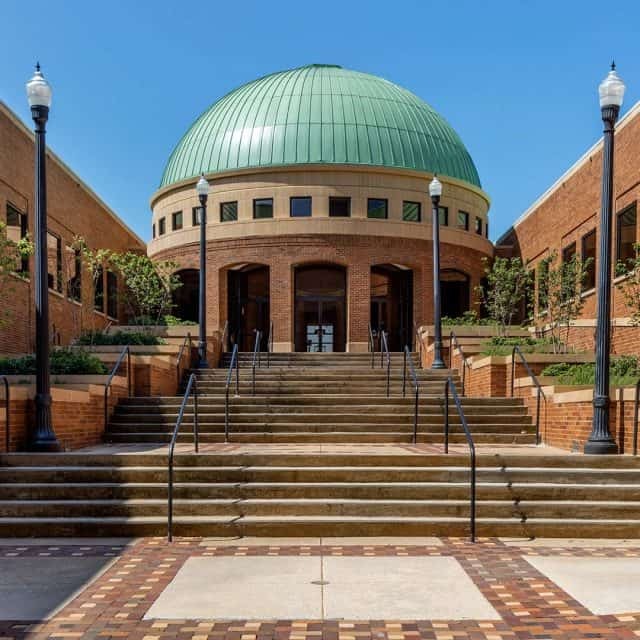 The center serves as a repository of information for the unfortunate and significant events that occurred in Lowndes County during the march. 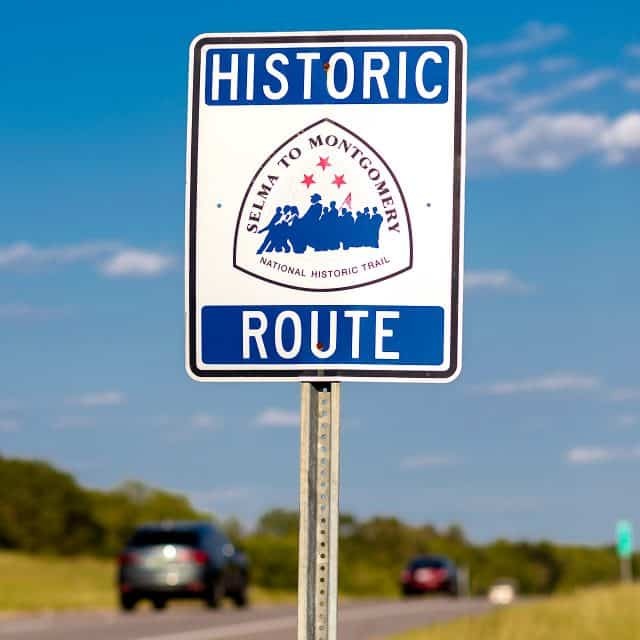 The museum houses exhibits on the death of seminarian Jonathan Daniels; the slaying of Viola Liuzzo, a white woman who assisted marchers by transporting them to Selma; and the establishment of “Tent City,” which housed families dislodged by white landowners in Lowndes County. 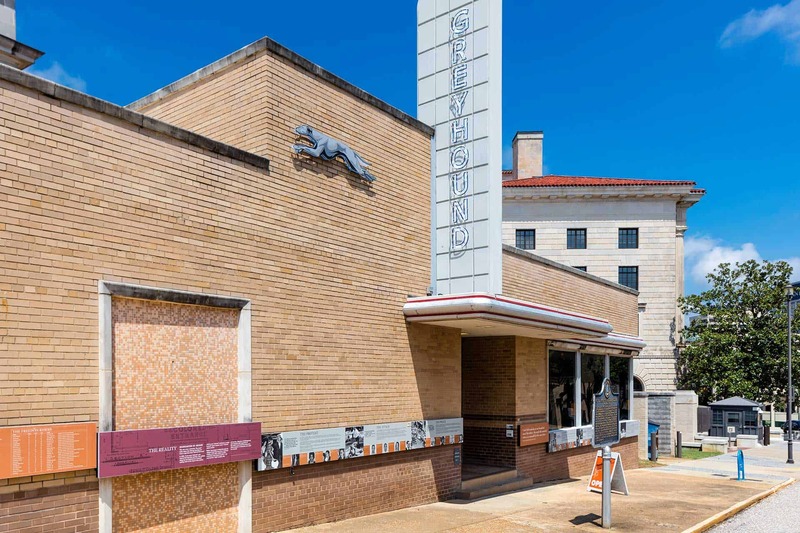 This rehabilitated bus station has been restored to how it looked in 1961 and is the site of the attack on Freedom Riders when they arrived at the station. 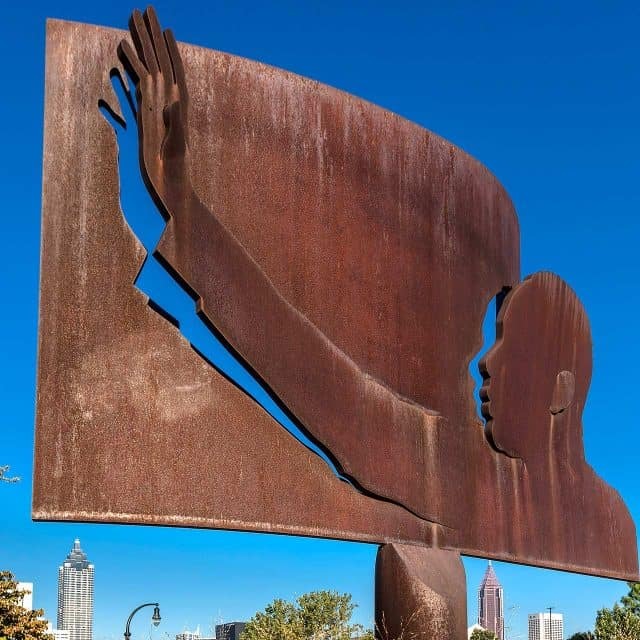 This memorial is a moving tribute to those who died in the civil rights struggle between 1954 and 1968. 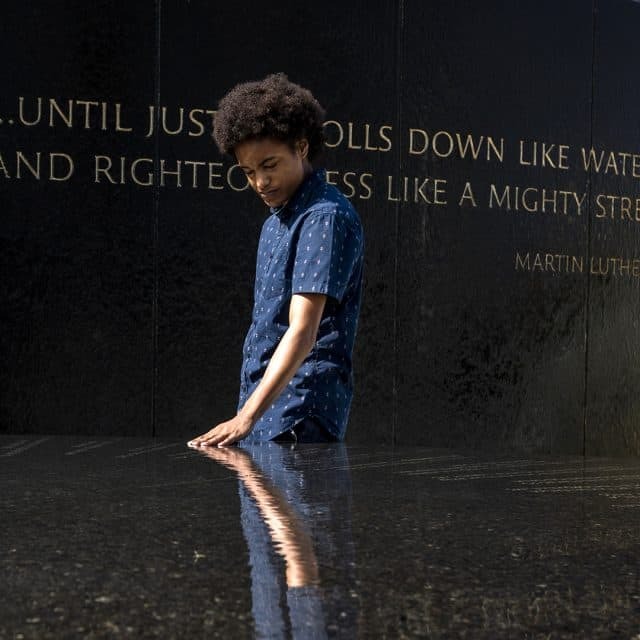 Created by Vietnam Memorial architect Maya Lin in 1989, the memorial sits adjacent to the Civil Rights Memorial Center, sponsored by the Southern Poverty Law Center. Visitors are encouraged to touch the engraved names of the martyrs and reflect on their sacrifices. 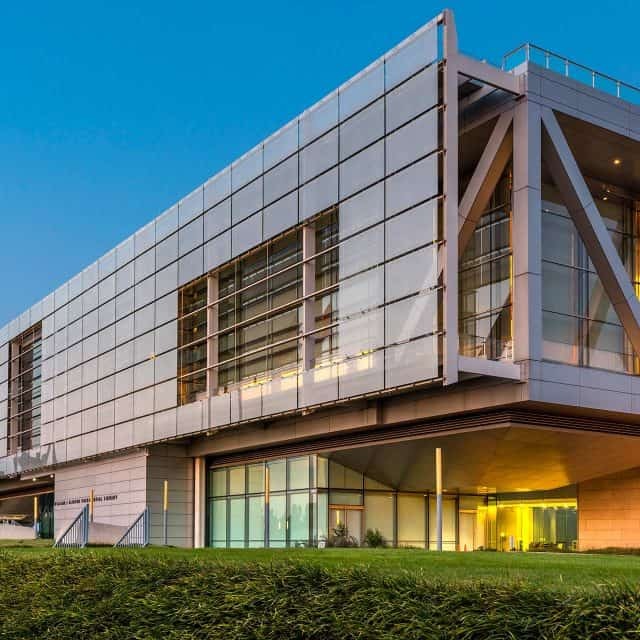 The center includes exhibits, educational activities and materials, a theater and the Wall of Tolerance. Medgar Evers, the first NAACP field secretary and prominent civil rights activist and organizer, was assassinated at his home in 1963. 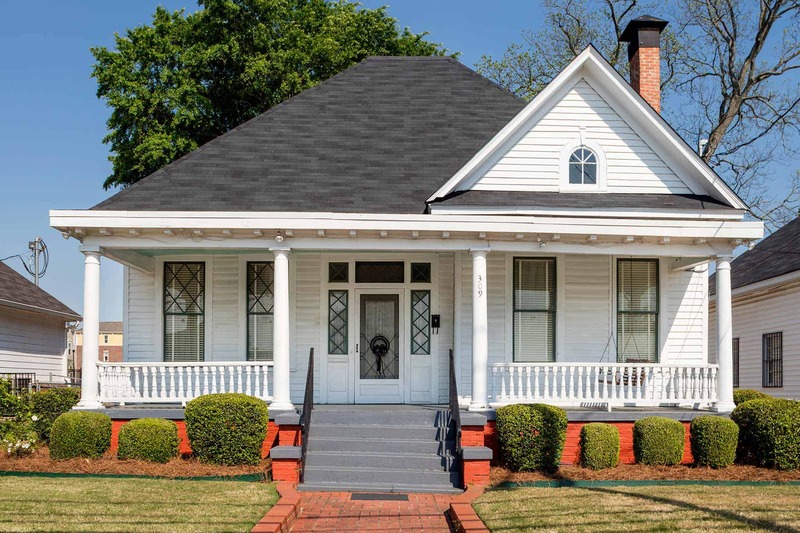 This private home – now a National Historic Landmark – has been turned into a museum and restored to look as it did when the Evers family lived there. 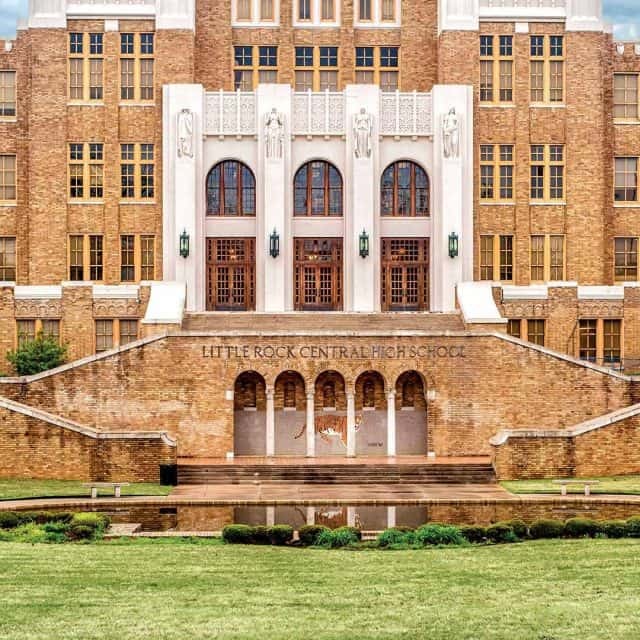 In 1957, nine new African-American students tried to integrate all-white Little Rock Central High School. But Gov. Orval Faubus, in a direct challenge to the federal desegregation law, called in the state National Guard to block the way. 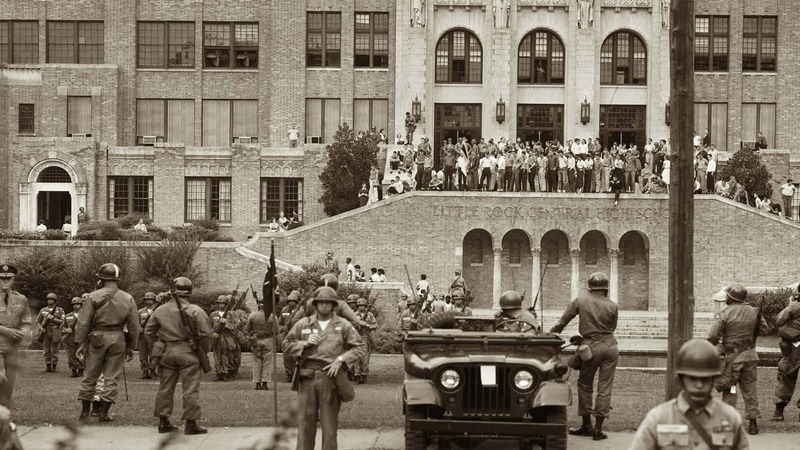 Faubus was ordered to back down, but when the Little Rock Nine arrived on campus, more than 1,000 angry white protesters flocked to the scene. 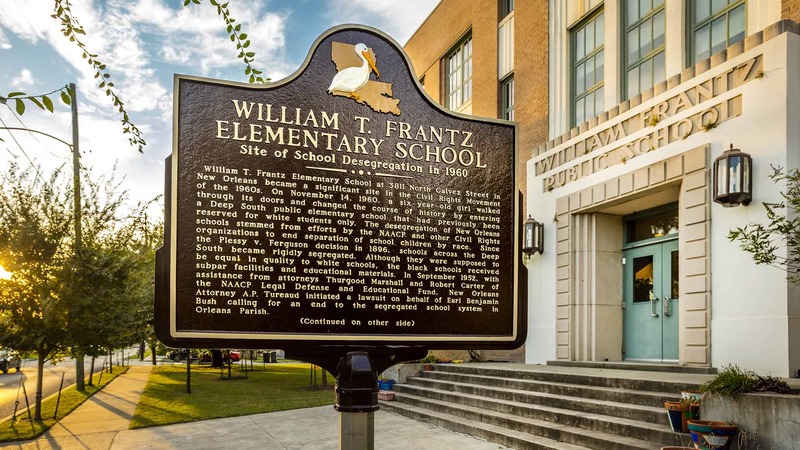 The school is still functioning today, and the building now houses a civil rights museum and offers ranger-led tours. 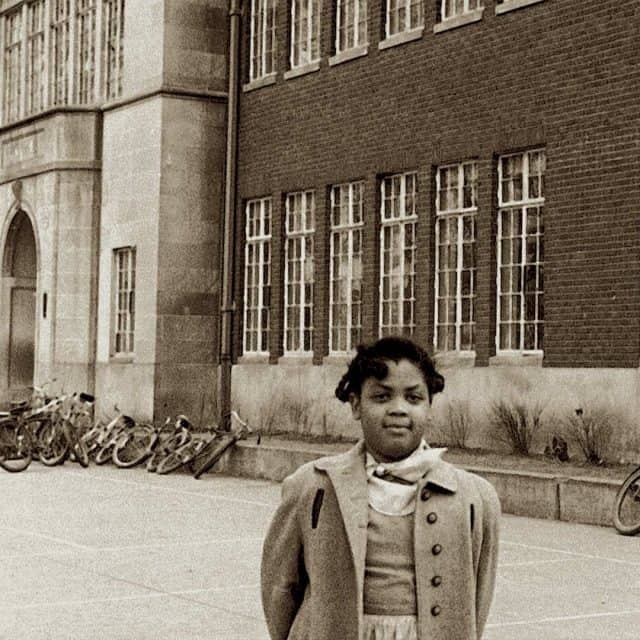 Nine-year-old Linda Brown stands in front of the segregated Monroe Elementary School, where she attended. In the summer of 1950, she attempted to register at the all-white Sumner school, which was closer to her home, but she was denied admission. Linda was one of 19 students in Topeka who were refused admission to schools throughout the city. Their parents became the plaintiffs in the landmark Supreme Court case of Brown v. Board of Education. 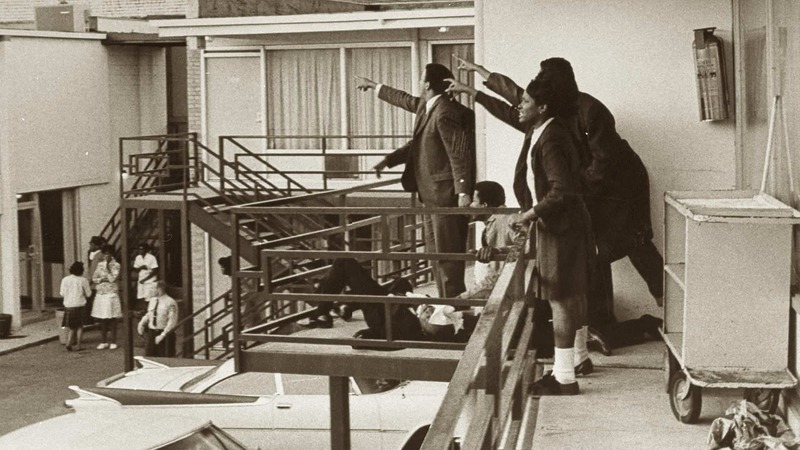 On April 4, 1968, Dr. Martin Luther King Jr. was assassinated at the Lorraine Motel in Memphis. 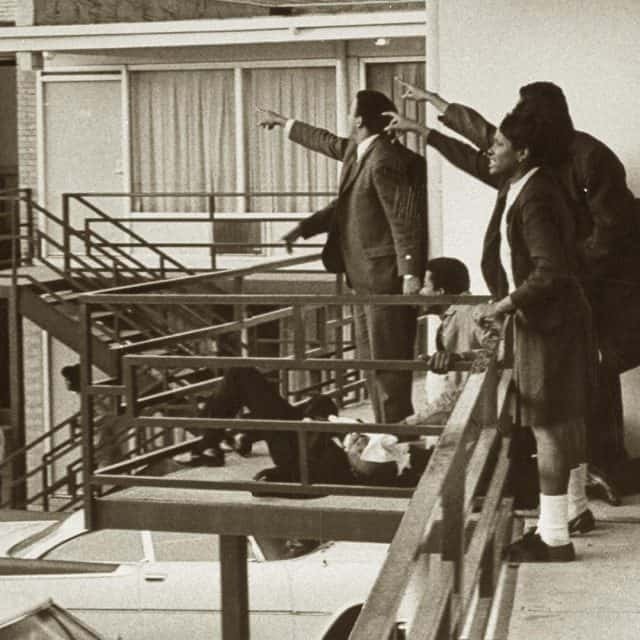 Civil rights leader Andrew Young and others are pointing in the direction of King’s assassin. 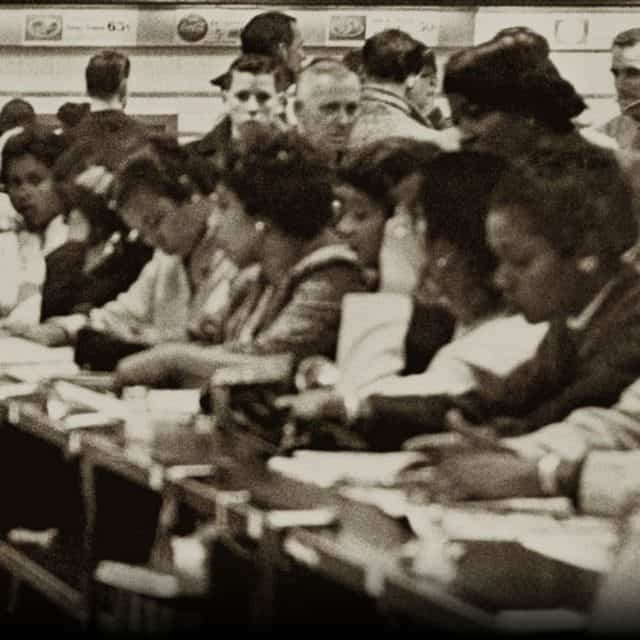 Approximately 400 African-American college students demonstrated bravery and determination to end segregation at local dime stores in Greensboro. Pictured are student activists at the counter of F.W. Woolworth Co., where their requests for service were denied. 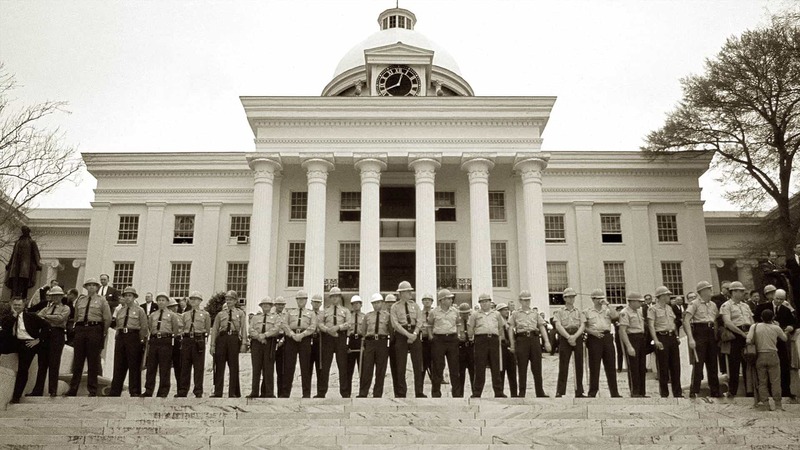 Montgomery police lined the steps of the Alabama State Capitol on March 25, 1965, barring participants in the Selma-to-Montgomery march from entering the building. 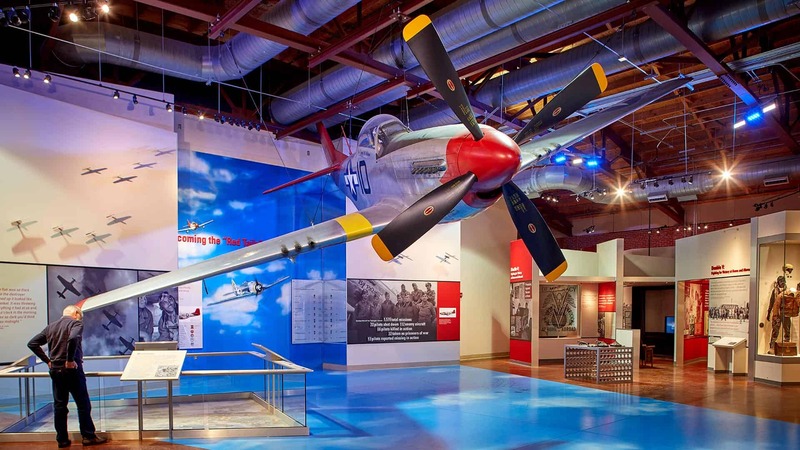 The hangars at Moton Field have been rehabilitated to house artifacts related to the Tuskegee Airmen. 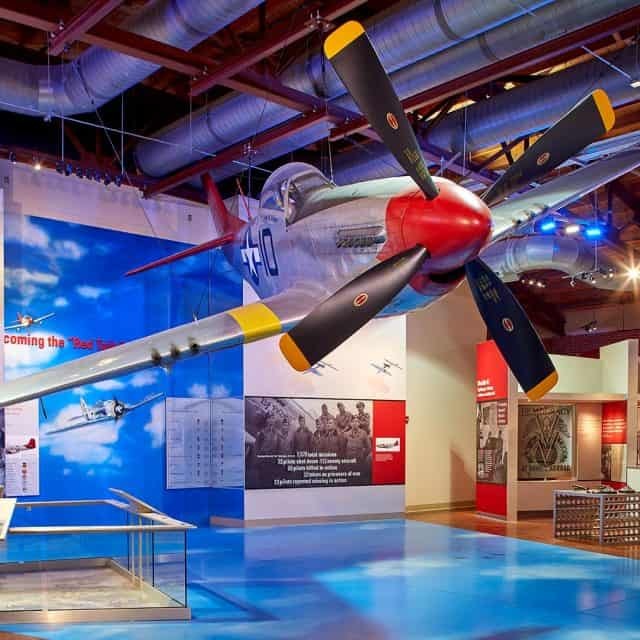 The museum is free to the public, so you can explore the history of the Tuskegee Airmen and even see a plane they flew. The Fifth Avenue Historic District was the location of a number of successful sit-ins that served as a model for later demonstrations in the South. 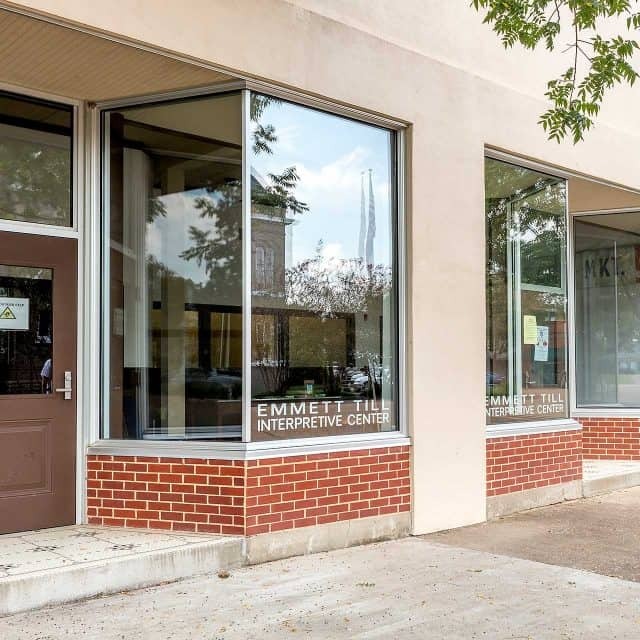 The district is now a thriving commercial area in the heart of Nashville. 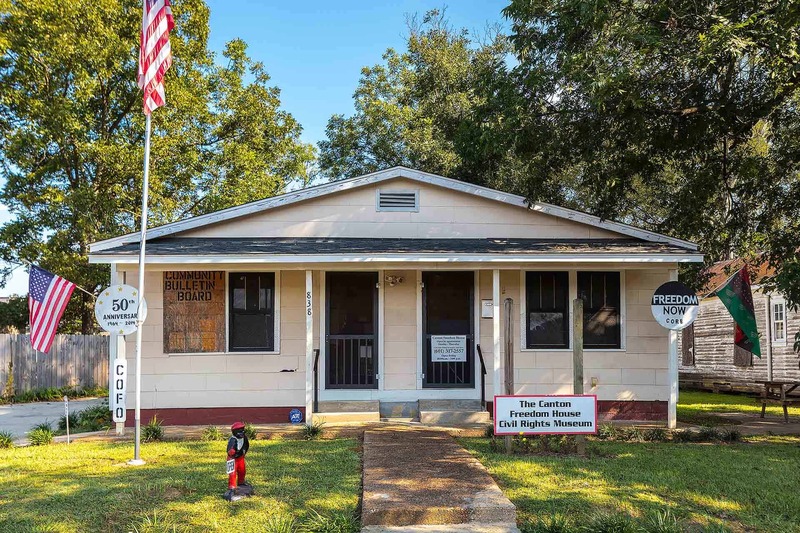 The Emmett Till Historic Intrepid Center is a small museum with exhibits about Till’s life and death and the Civil Rights Movement in Glendora. 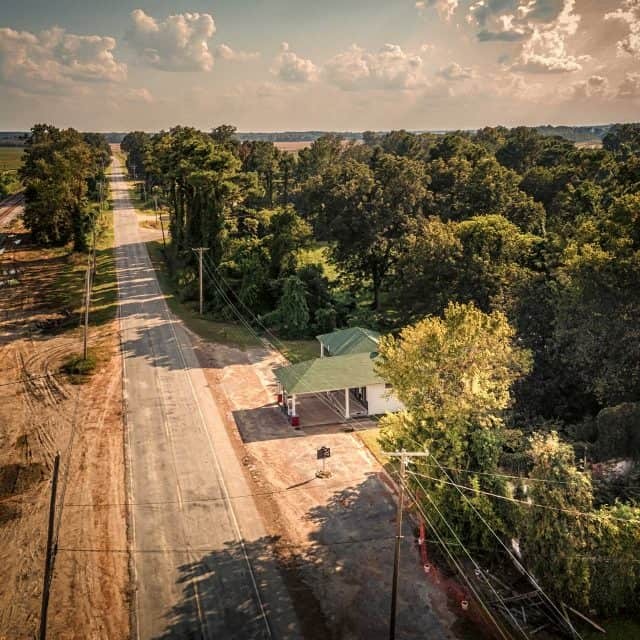 The center is housed in the building that held the gin from which Till’s killers took the fan and wire used to weigh down Till’s body before throwing it into the Tallahatchie River. 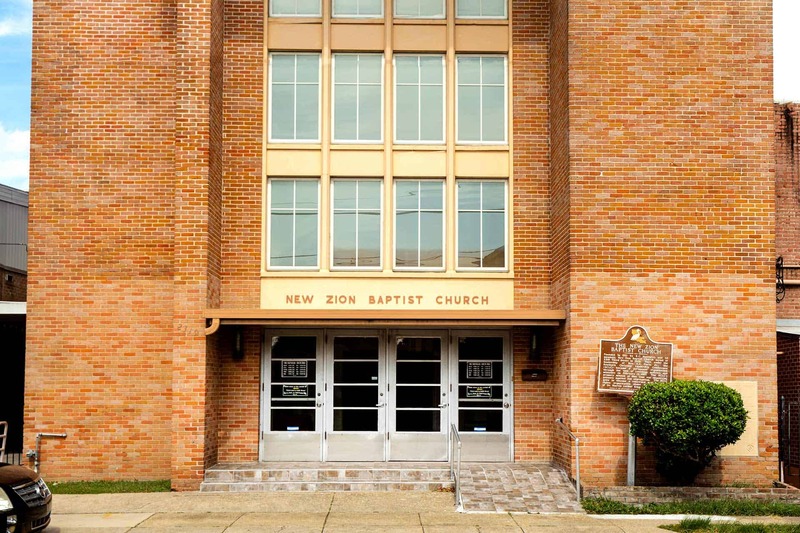 On the evening of Dec. 5, 1955, in the aftermath of Rosa Parks’ arrest, 5,000 people gathered at Holt Street Baptist Church. 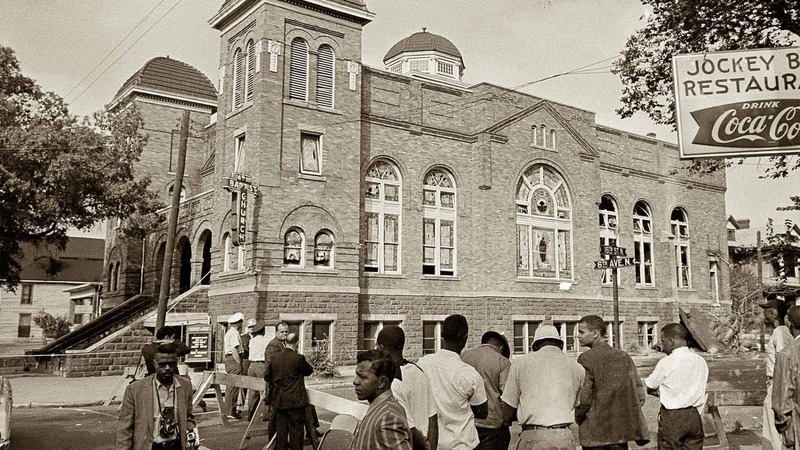 They filled the sanctuary, the basement auditorium and even spilled outside to hear the newly elected president of the Montgomery Improvement Association, Dr. Martin Luther King Jr. His stirring speech advocating action without violence gave rise to the Montgomery Bus Boycott. 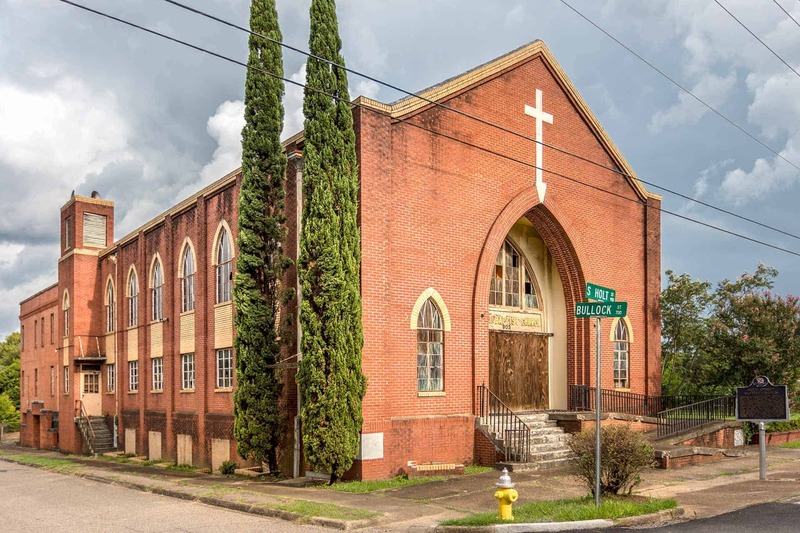 Holt Street Baptist Church, while no longer meeting at its original building, is still active today within the Montgomery community. 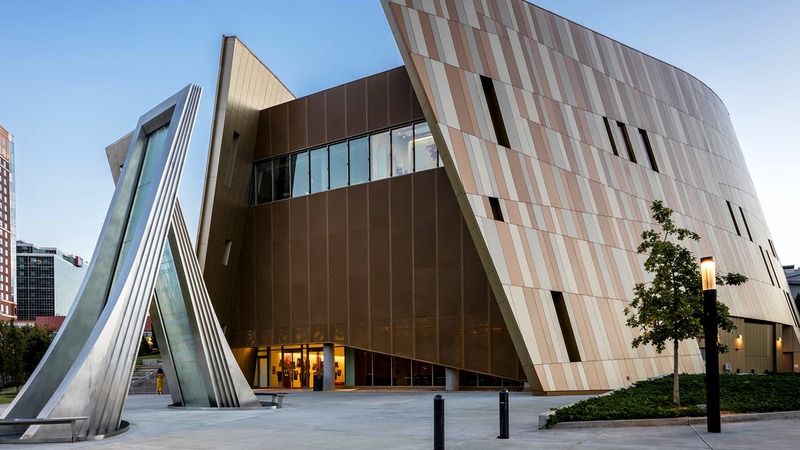 The National Center for Civil and Human Rights is a multicultural center with exhibits highlighting the Civil Rights Movement and the modern human rights movement. 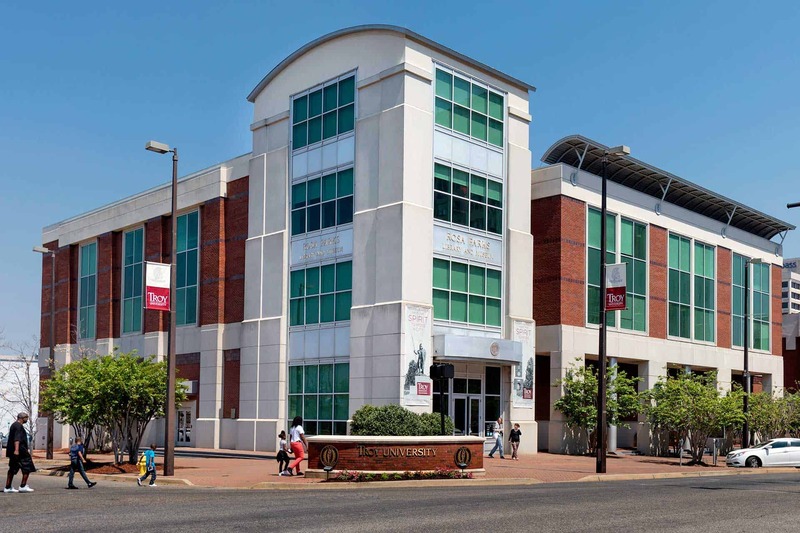 Exhibits include Sports and Change, Morehouse College and Dr. King. 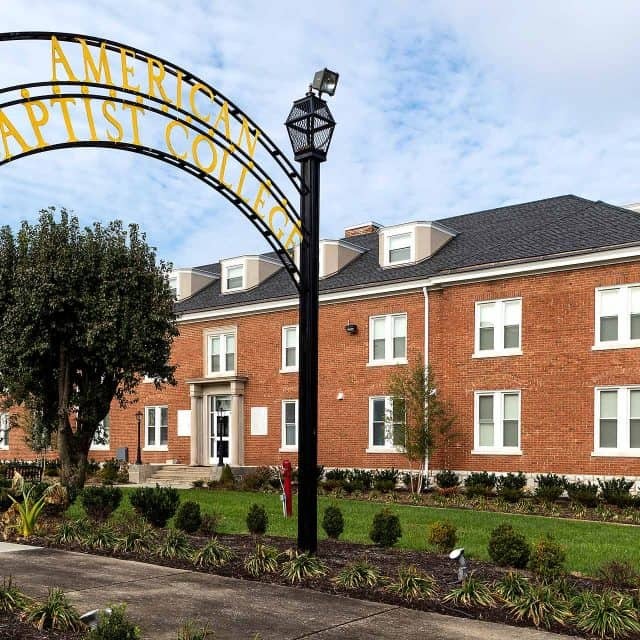 The 1963 bombing of the 16th Street Baptist Church took the lives of four young black girls: Addie Mae Collins, Cynthia Wesley, Denise McNair and Carole Robertson. 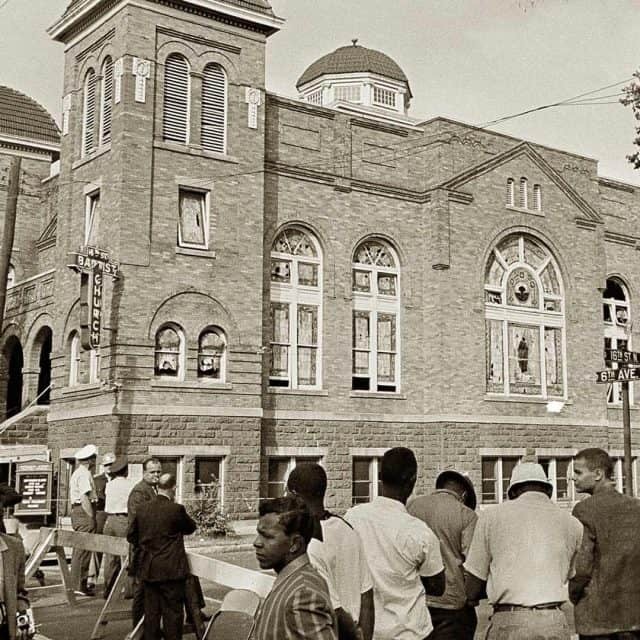 The church served as a meeting place for the organization of civil rights protests in Birmingham. 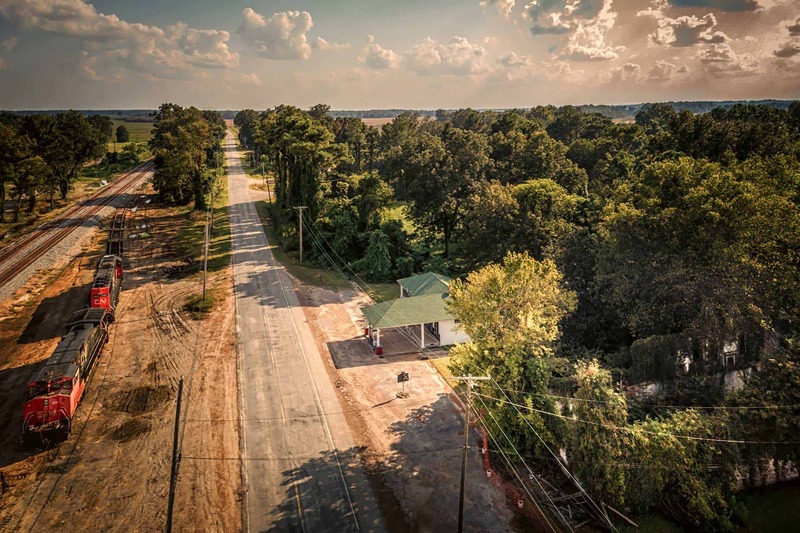 Using a combination of storytelling and art, the center remembers Emmett Till while painting a harmonious vision for the future. 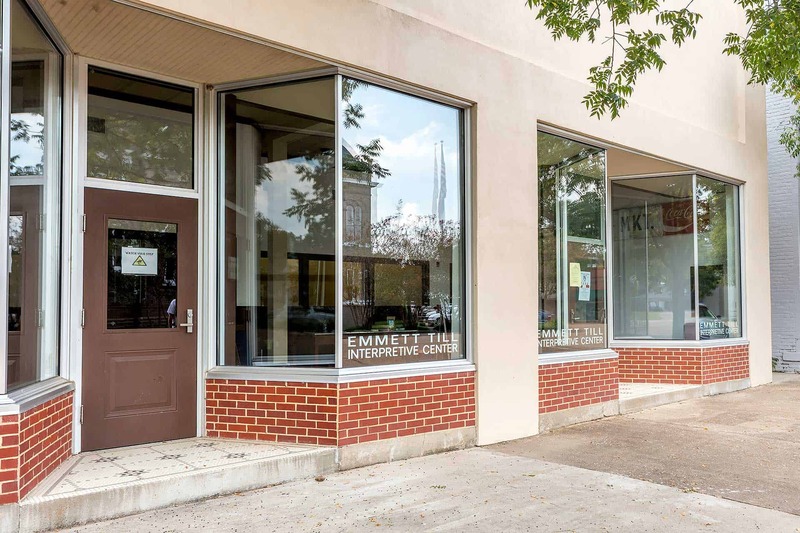 The center also hosts multiple initiatives in Till’s memory, including the Emmett Till Seed Project and the Day of Forgiveness. 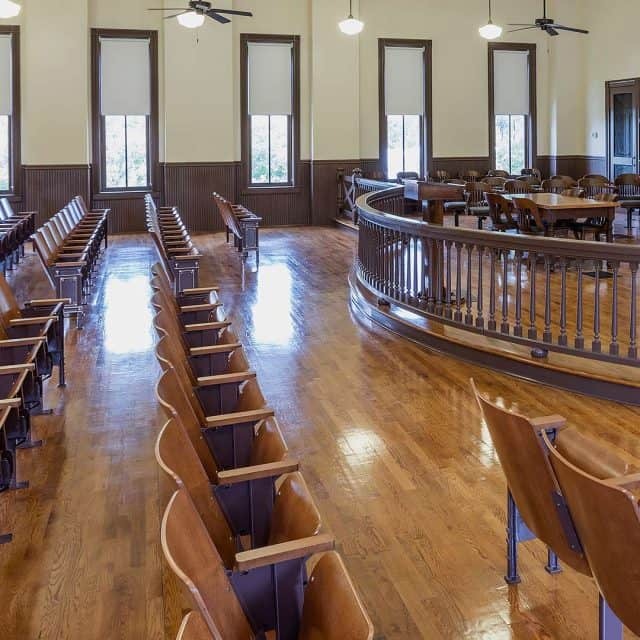 Visitors can book tours of the Tallahatchie County Courthouse and the interpretive center for $5. 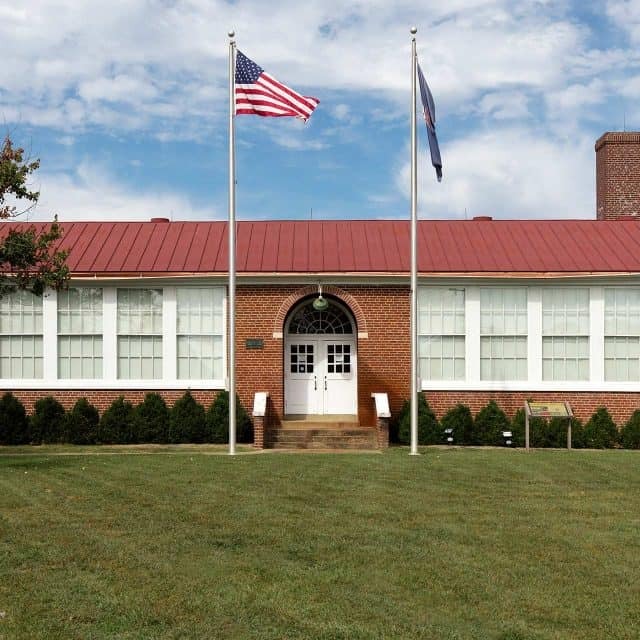 Monroe Elementary School received national attention for its role in Brown v. Board of Education. 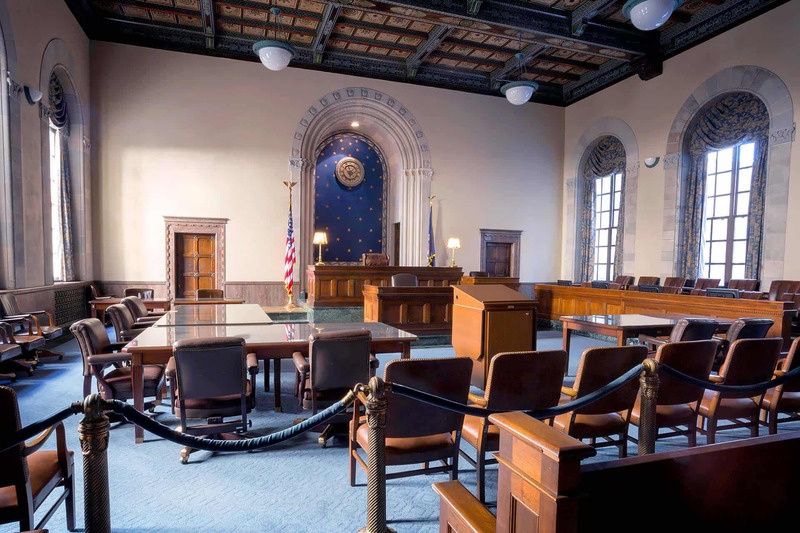 The case combined five cases [Belton (Bulah) v. Gebhart, Bolling v. Sharpe, Brown v. Board of Education, Briggs v. Elliott, and Davis v. County School Board] heard before the United States Supreme Court on May 17, 1954. This decision ended legal segregation of schools. 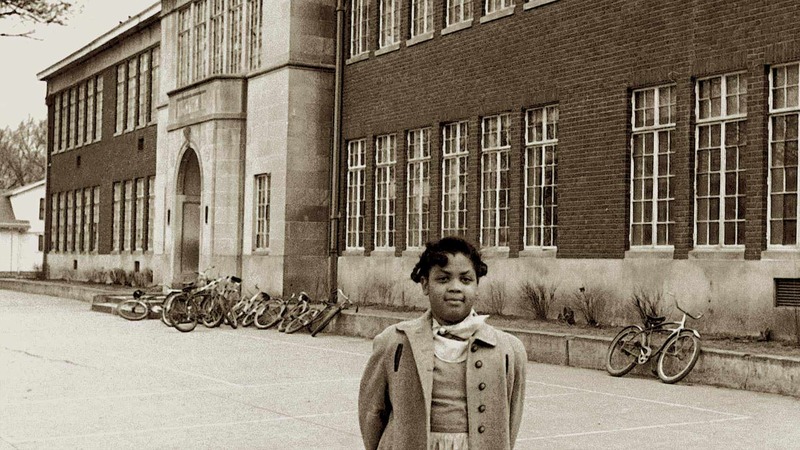 The school was one of four segregated elementary schools for black children in Topeka. 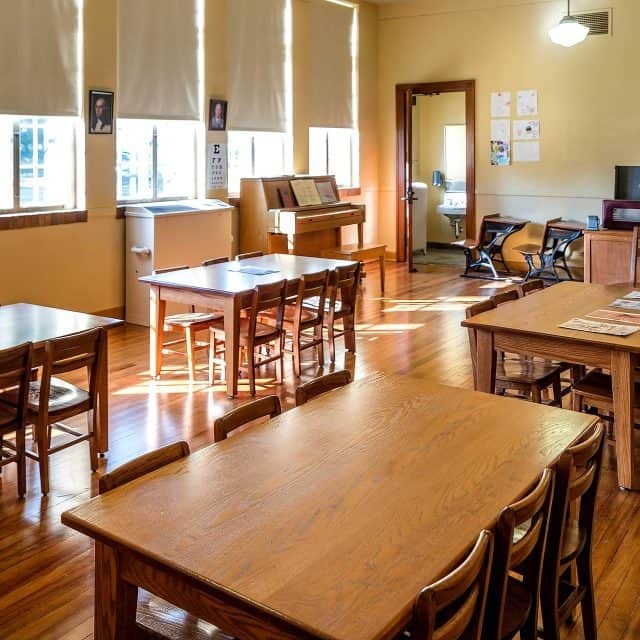 The restored school was purchased by the National Park Service and reopened in 2004 as a National Historic Site and civil rights interpretive center. 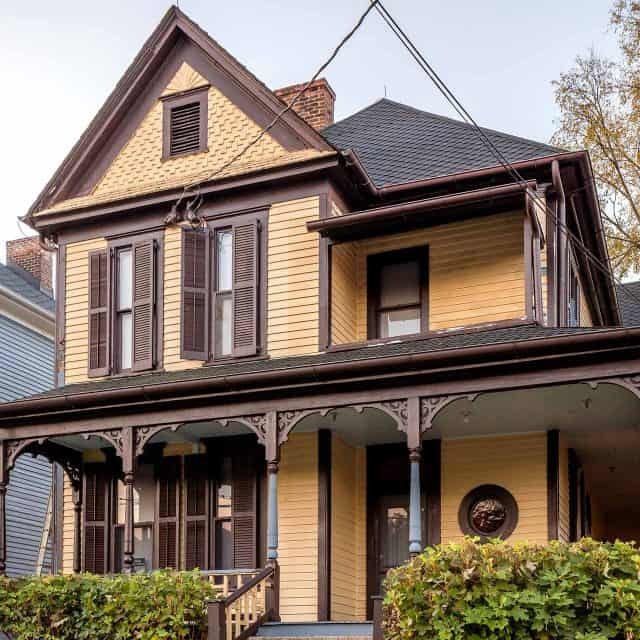 The Martin Luther King Jr. National Historic Site includes Dr. King’s childhood home on Auburn Avenue, where he spent the first 12 years of his life. 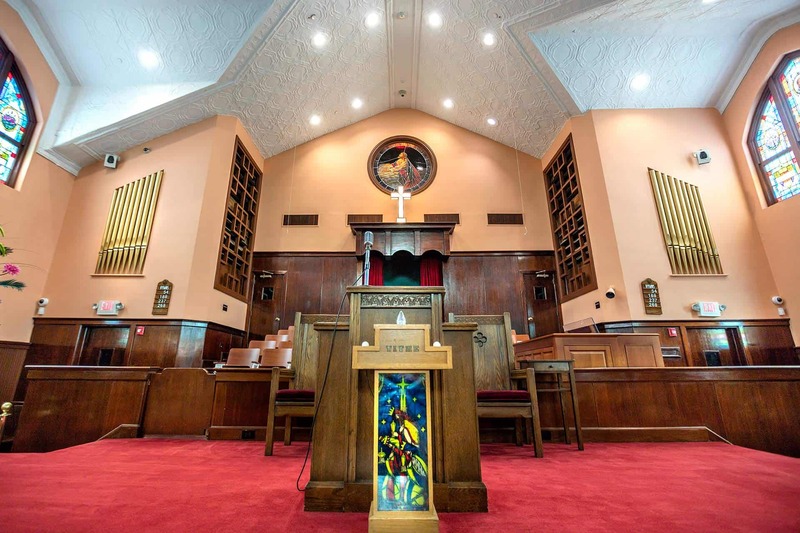 Ebenezer Baptist Church was the site of Dr. King’s baptism and ordination and was where he served as co-pastor with his father, Martin Luther King Sr., until 1968. 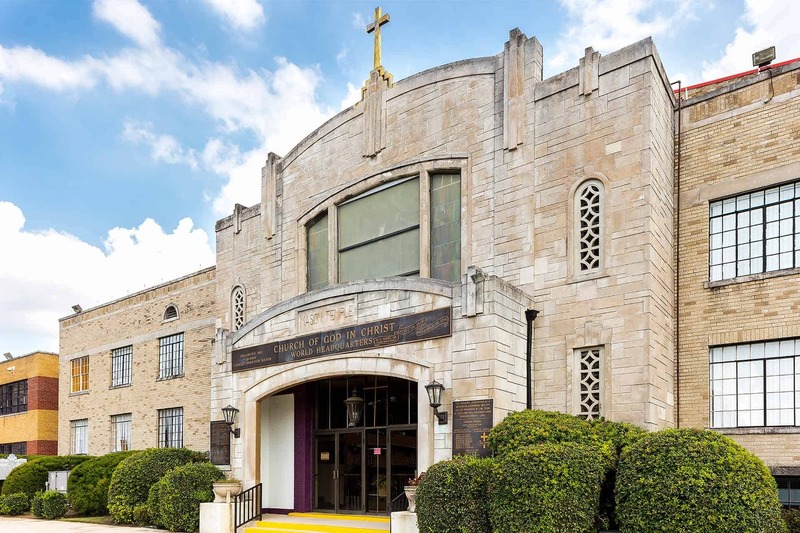 When Dr. King was president of the Southern Christian Leadership Conference, he headquartered the SCLC in the Prince Hall Masonic Temple building, effectively making the temple an organizational site of the campaign to end segregation. 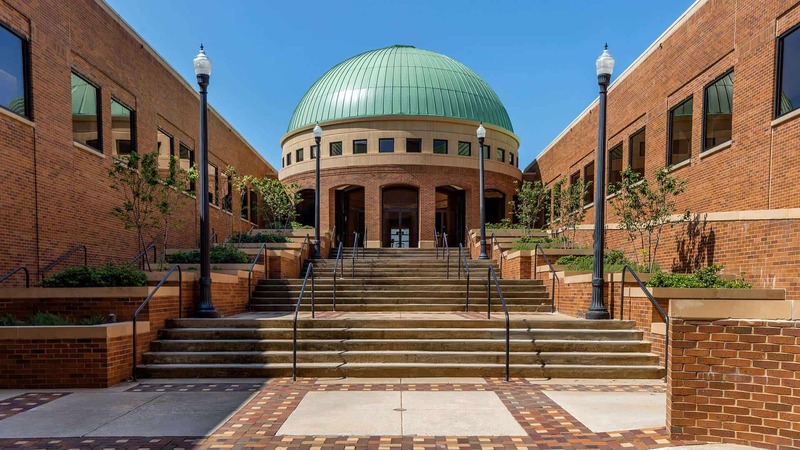 The King Center was created after Dr. King’s death and is run by his children, with Martin L. King III most heavily involved. 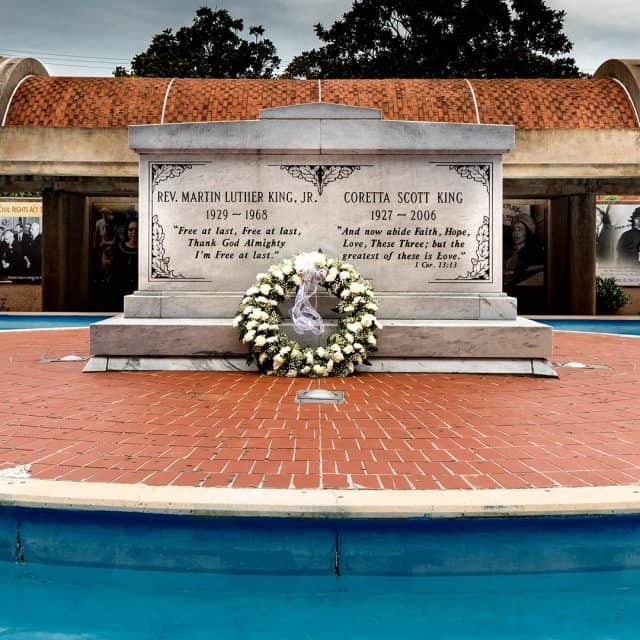 The center houses King’s papers and is the burial site of Dr. King and his wife, Coretta Scott King. 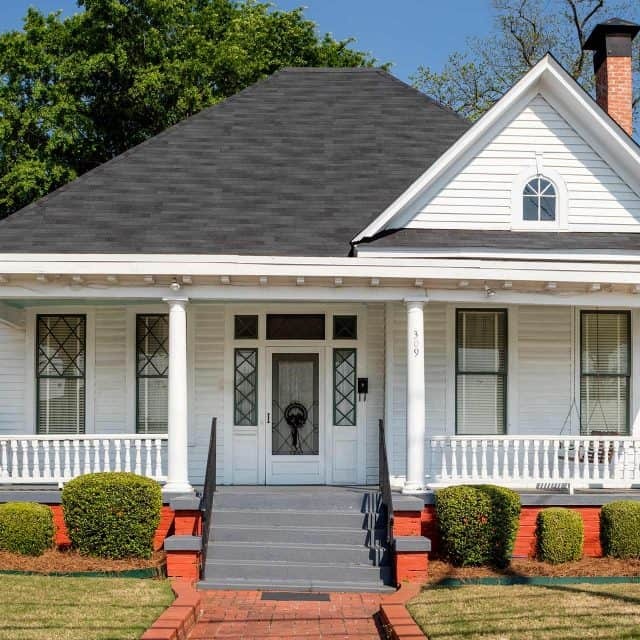 Visit Dr. King's birth home and where he spent the first 12 years of his life. 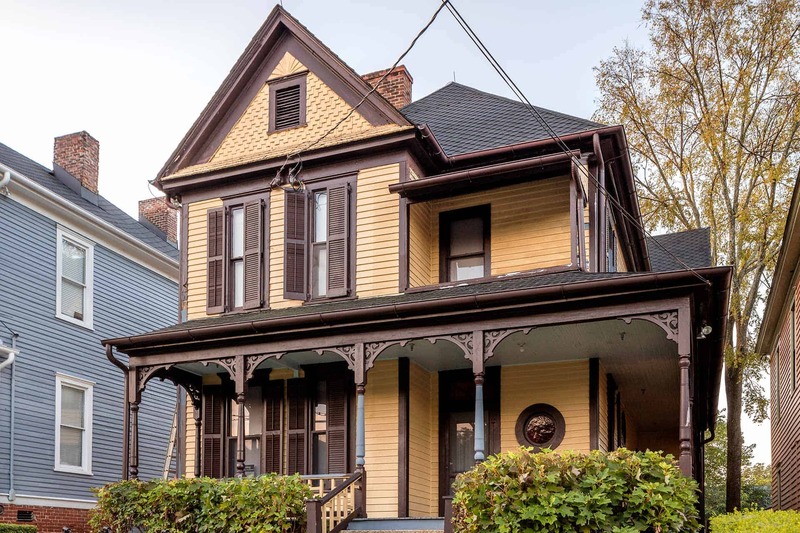 The home is one of several locations within the Martin Luther King Jr. National Historic Site. 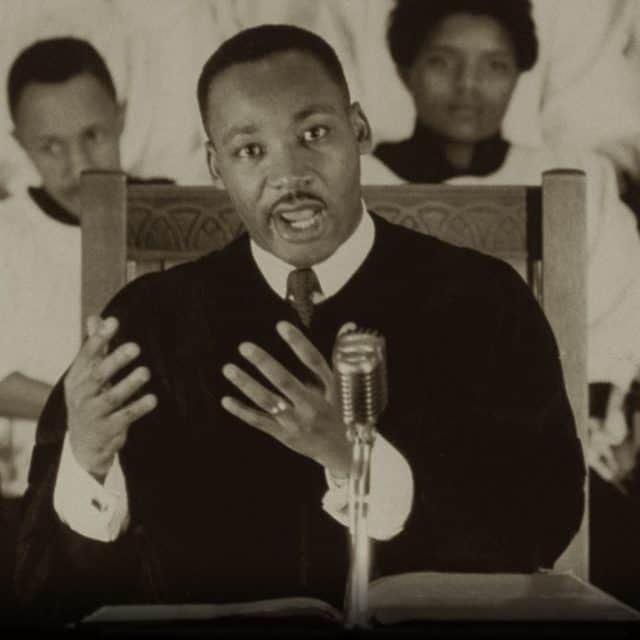 Dr. King gave his “Mountaintop” speech at the Mason Temple Church of God in Christ in 1968, the evening before his assassination. 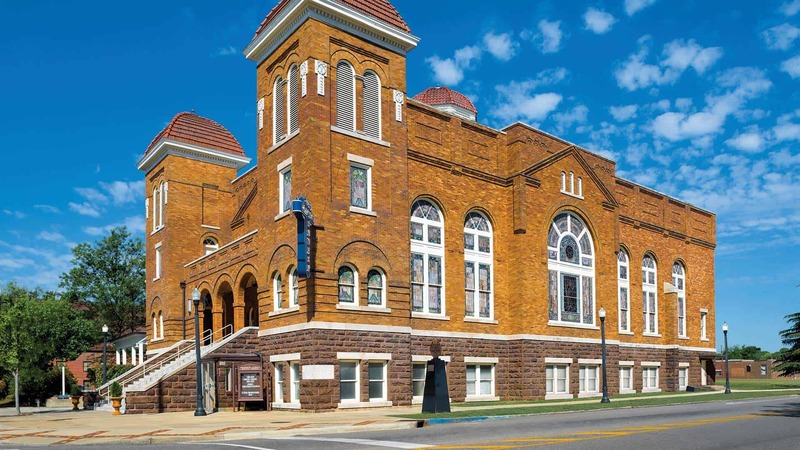 The church is one of several buildings included in the National Civil Rights Museum. 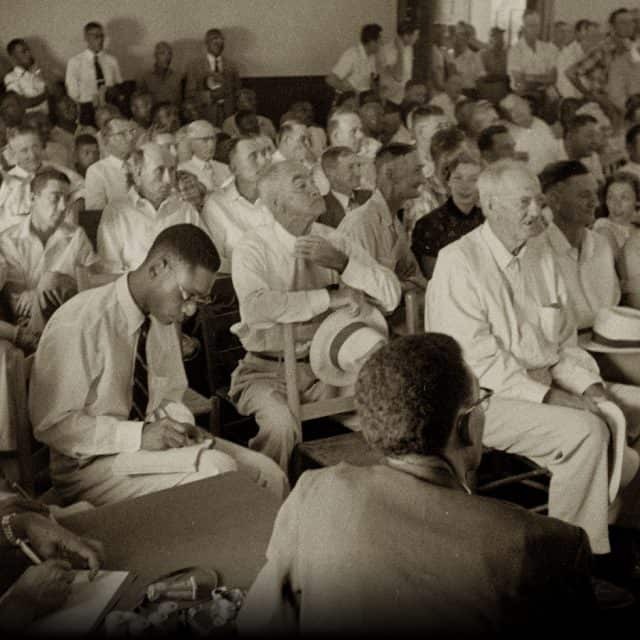 Seating was segregated in the crowded Tallahatchie County Courthouse during the September 1955 trial of J.W. Milam and Roy Bryant, who were accused of the murder of Emmett Till. Both men were acquitted. 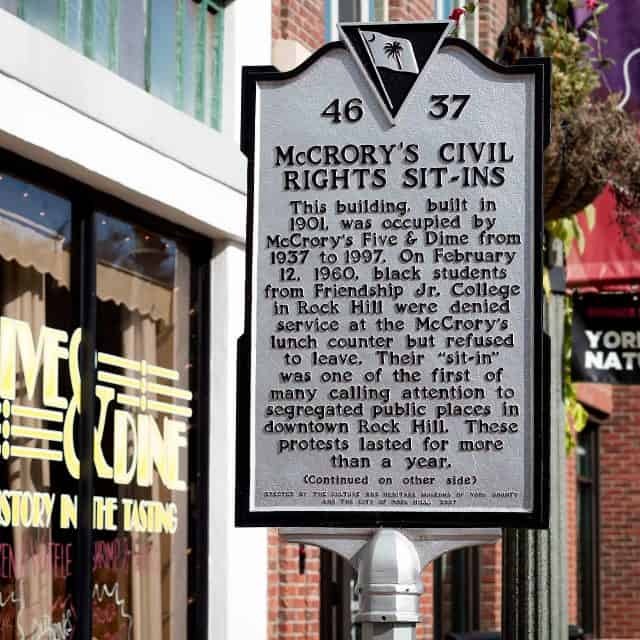 On January 31, 1961, nine students from Friendship Junior College in Rock Hill tried to order food and drinks from McCrory’s Five & Dime. They were refused service and instructed to leave, but they did not get up. All nine students were arrested. 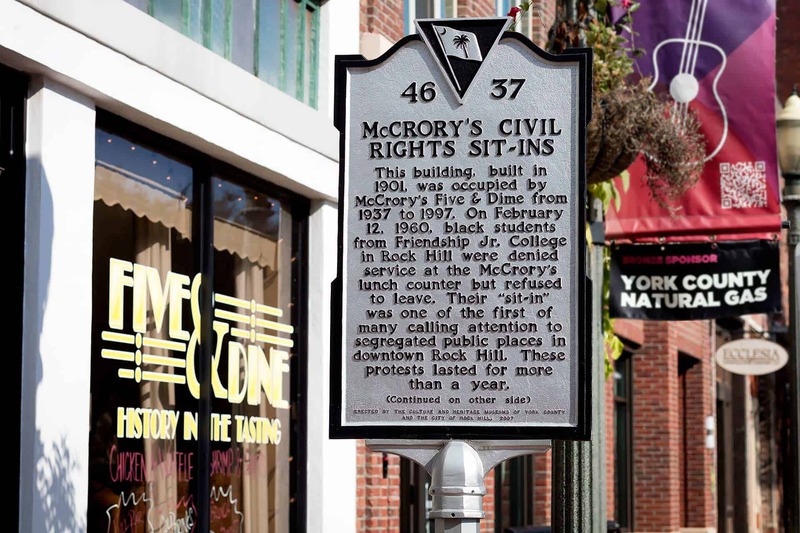 The McCrory’s building still houses an active restaurant, Five & Dine, and the original counter where the sit-in occurred is engraved with the names of the Friendship Nine. 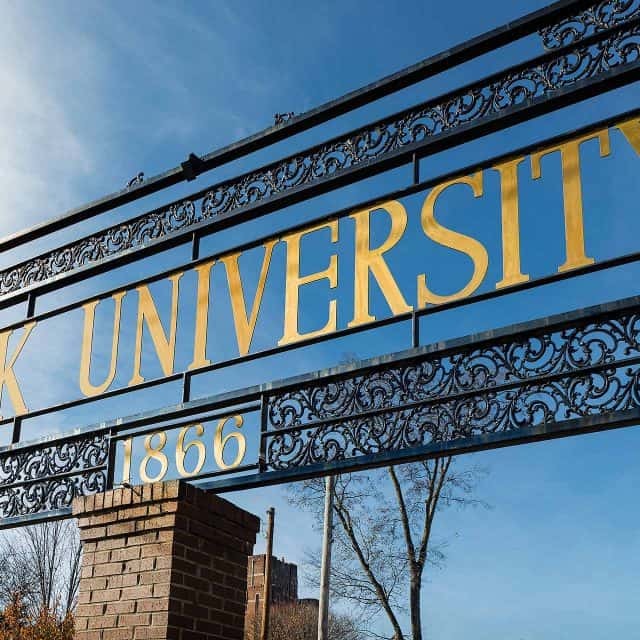 Fisk University, founded in 1866, was the first African-American institution to receive accreditation from the Southern Association of Colleges and Schools. 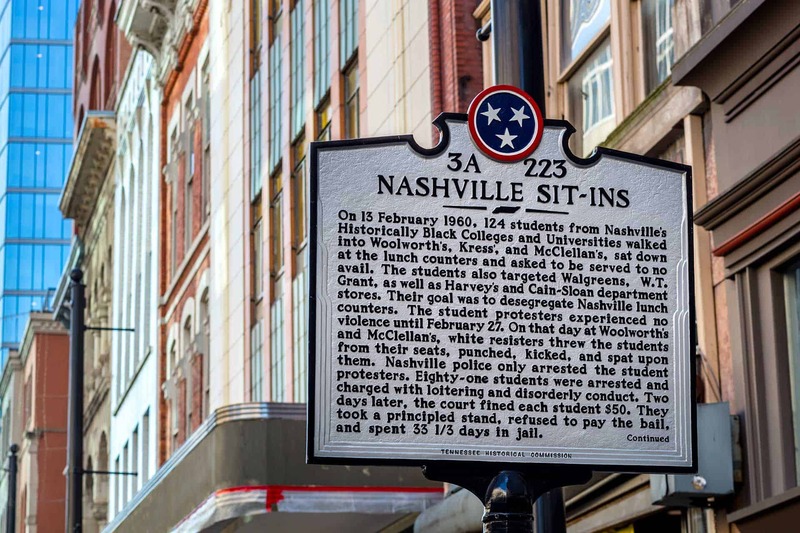 Many of the university’s students were the backbone of sit-in demonstrations that successfully desegregated Nashville’s lunch counters. 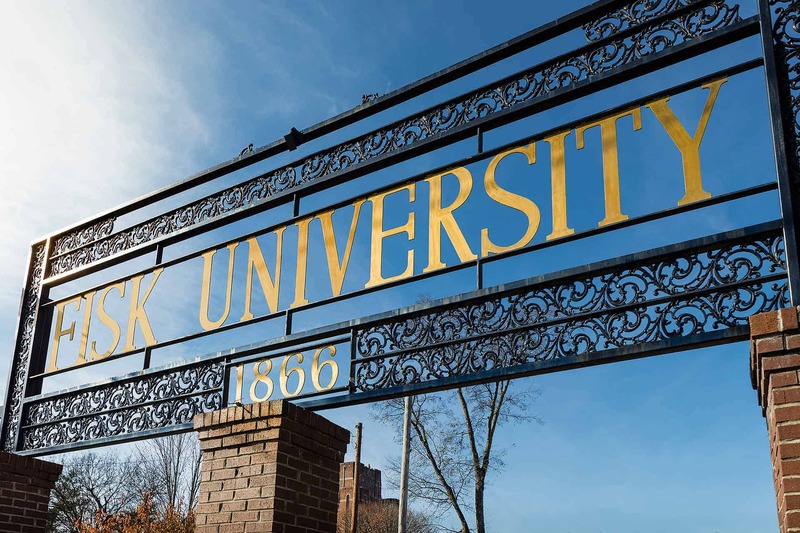 Dating back as early as 1925, Fisk University students held a strike against administrative policies in an effort to advance higher education for African-Americans. 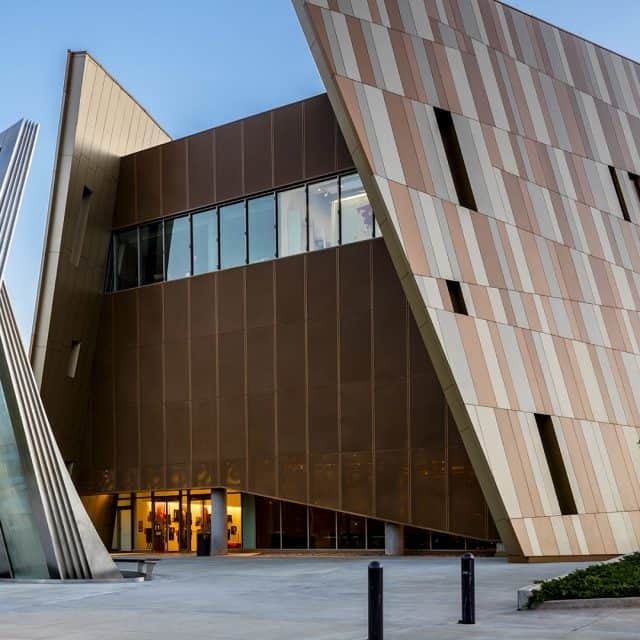 Opened in December 2017, the Mississippi Civil Rights Museum is the only museum of its kind in the state. 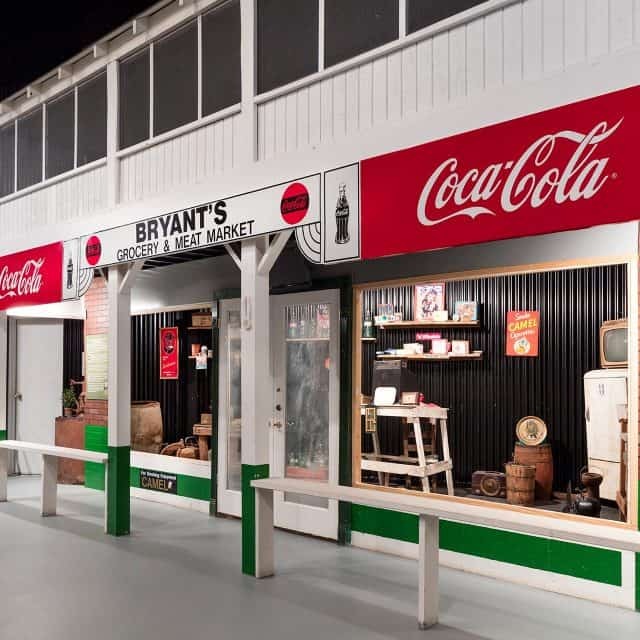 Exhibits cover the entire Civil Rights Movement, but particular attention is given to the murders of Medgar Evers and Emmett Till and their role in bringing the movement to the forefront of American life. 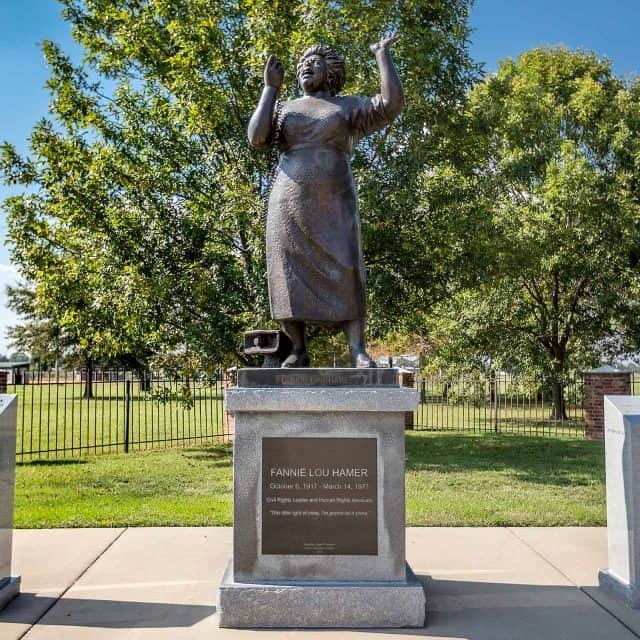 Visit the statue that celebrates the life and preserves the legacy of civil rights activist Fannie Lou Hamer, who helped bring social equality to a state that fiercely opposed change. 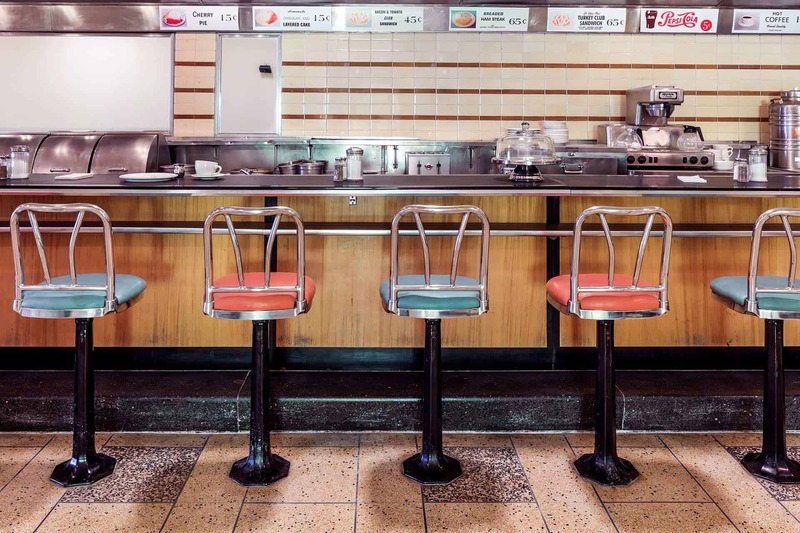 On February 1, 1960, four black students from North Carolina Agricultural & Technical State University sat down at the lunch counter inside Woolworth’s department store. All were refused service. 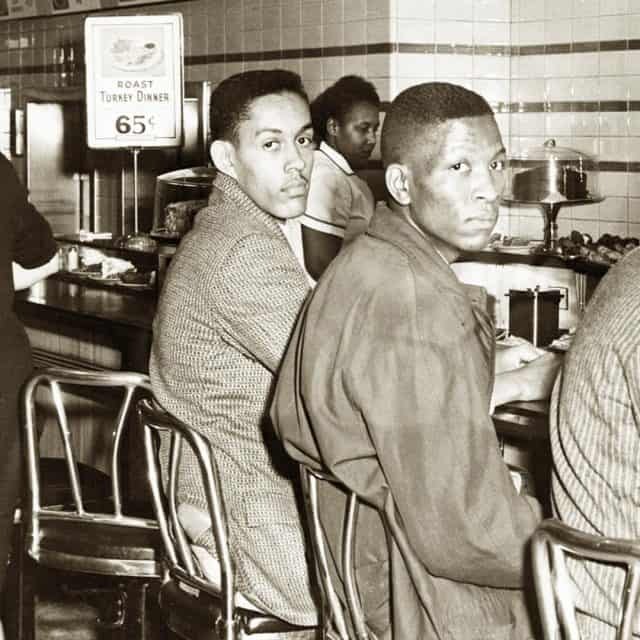 This first sit-in movement inspired a larger sit-in movement across North Carolina and the rest of the country. 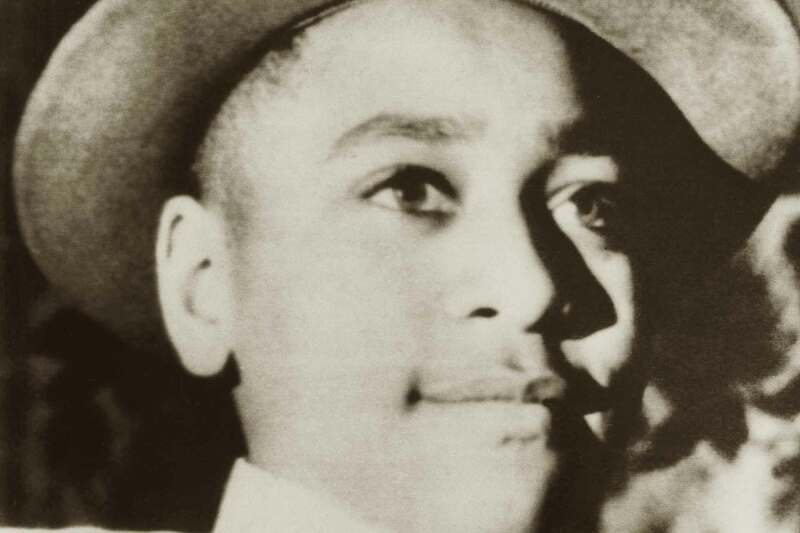 The courthouse where Emmett Till’s murder trial took place has been preserved as a museum and interpretive center, with the mission of telling the story of the tragedy and pointing a way toward racial healing. 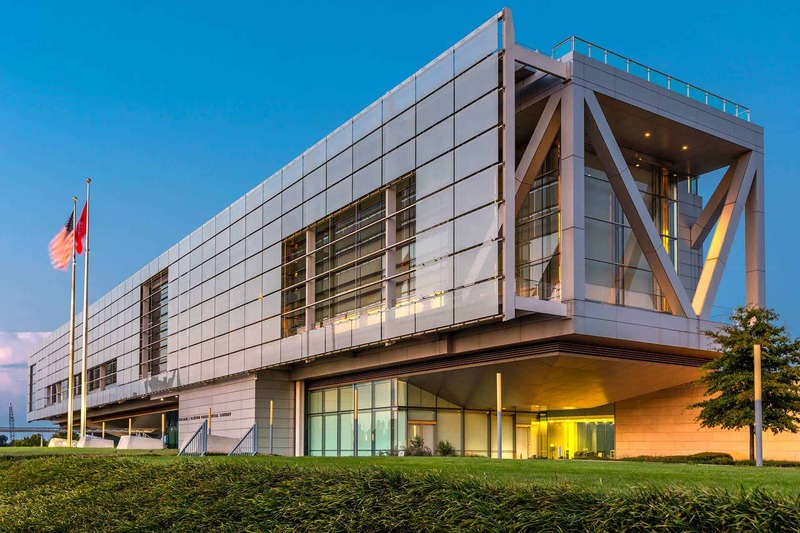 Using a combination of storytelling and art, the center remembers Till while painting a harmonious vision for the future. 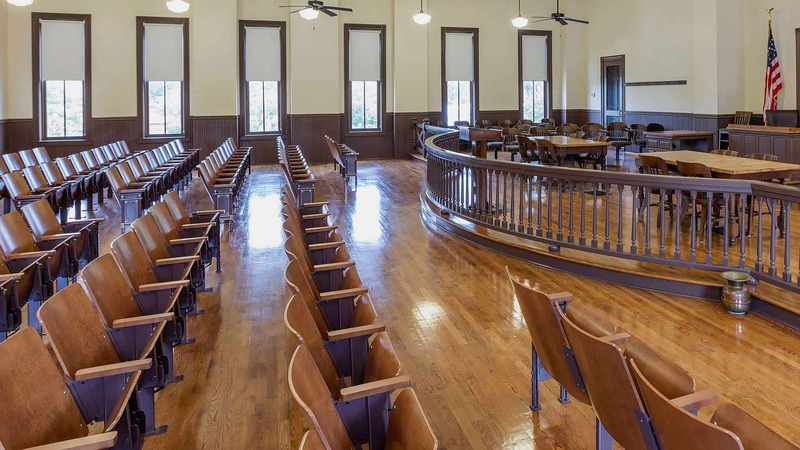 Visitors can book tours of the Tallahatchie County Courthouse and the interpretive center for $5. 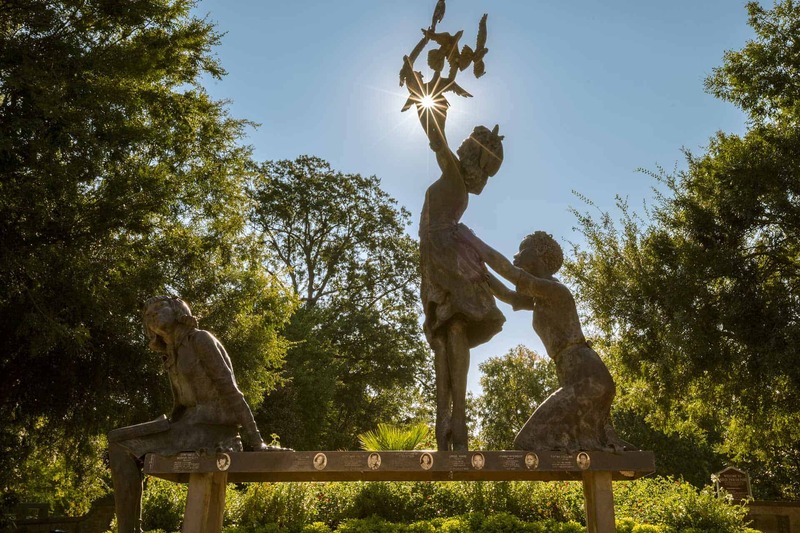 The center also hosts multiple initiatives in Till’s memory, including the Emmett Till Seed Project and the Day of Forgiveness. 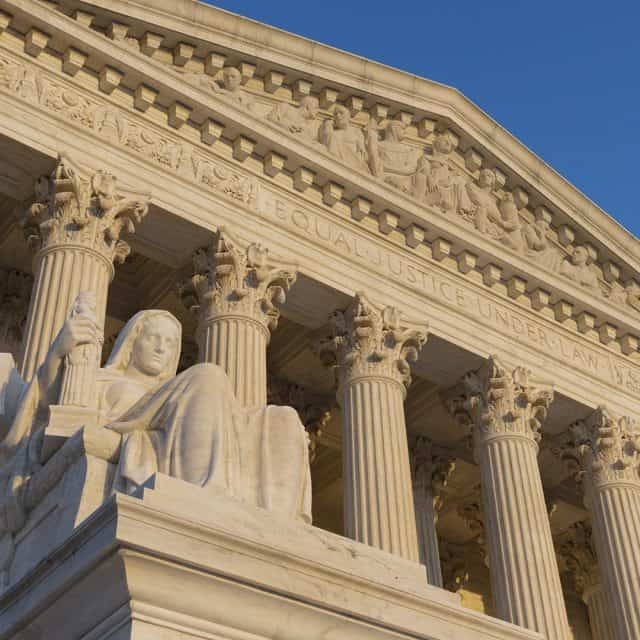 The United States Supreme Court Building was the site of the landmark ruling in Brown v. Board of Education, which combined five lawsuits fighting for public school desegregation. 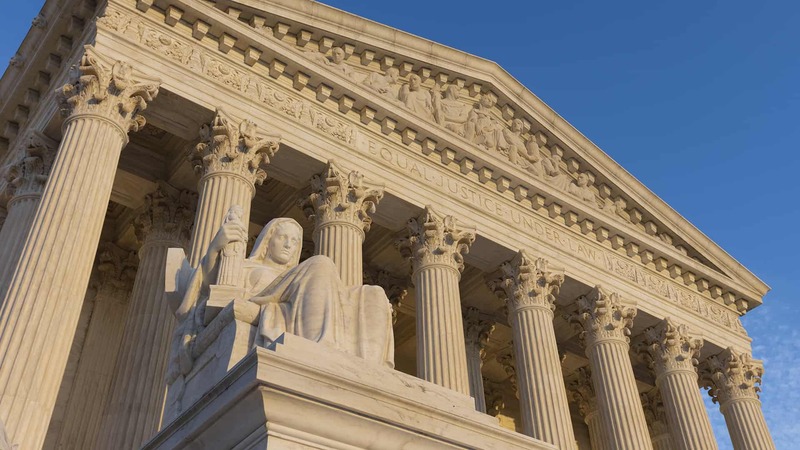 Chief Justice Earl Warren and the Warren Court unanimously overturned the “separate but equal” principle established in Plessy v. Ferguson (1896). 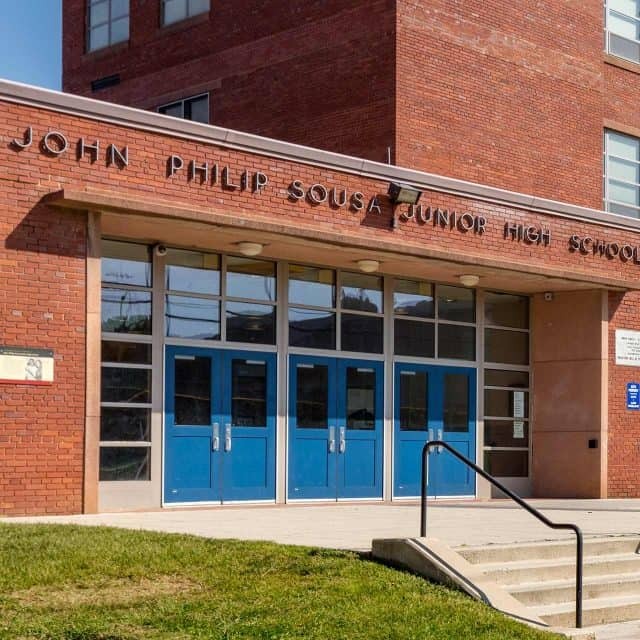 This decision made it illegal to segregate public educational facilities and was the impetus for countless school integrations across the country. In the early 1950s, Robert Russa Moton High School’s conditions were poor and problematic. Overcrowding was a major issue, with 450 students occupying a space built for only 180. When it rained, students had to use umbrellas inside the school to stay dry. 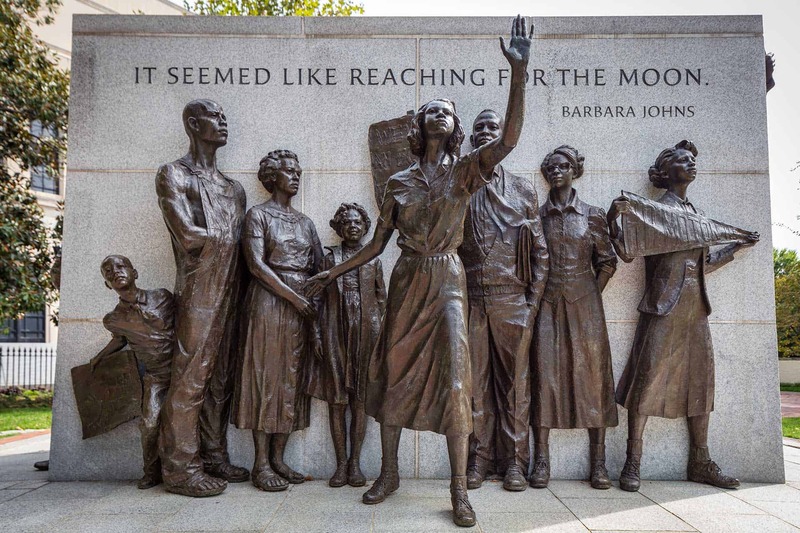 The walkout led by Barbara Johns and John Arthur Stokes was the impetus for a successful Supreme Court battle that resulted in a decision in favor of integration. 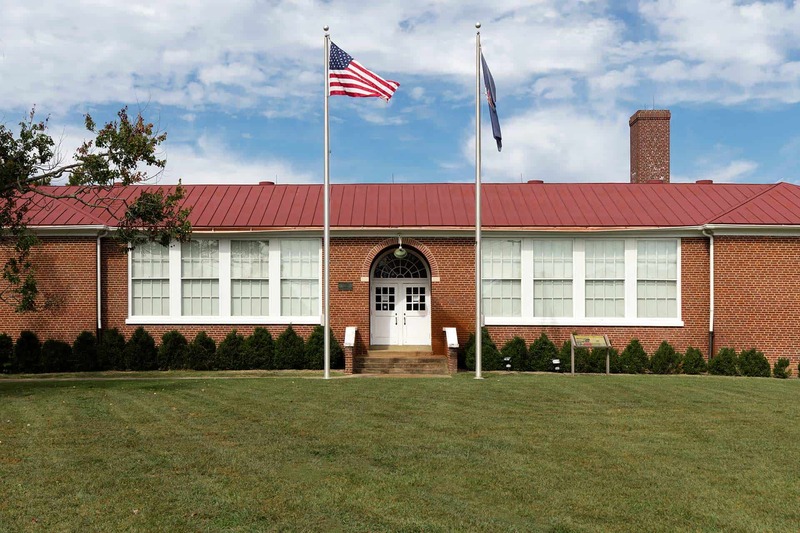 The school is now a National Historic Landmark and features a permanent exhibit called “The Moton School Story: Children of Courage.” The museum also contains Moton High School memorabilia, other relics of the Civil Rights Movement, and oral histories of teachers and students who were part of the walkout. 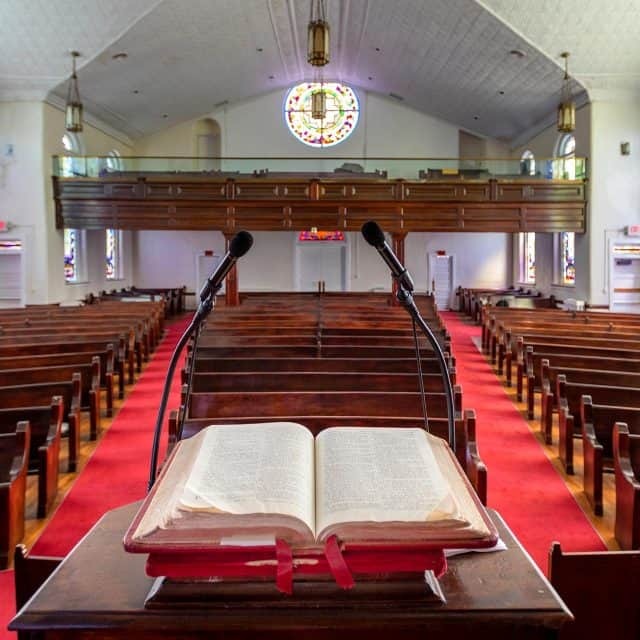 In September 1960, Martin Luther King Jr. delivered a sermon at Ebenezer Baptist Church in Atlanta. 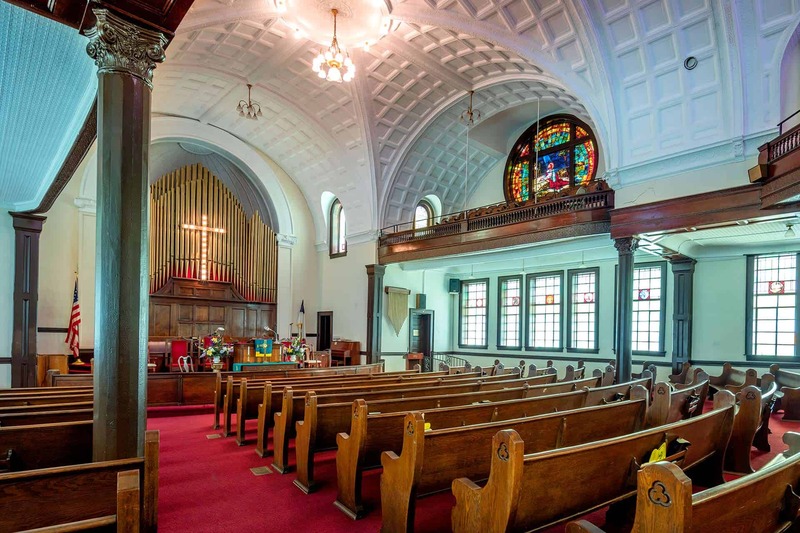 This was where King was baptized, ordained and served as co-pastor with his father until 1968. 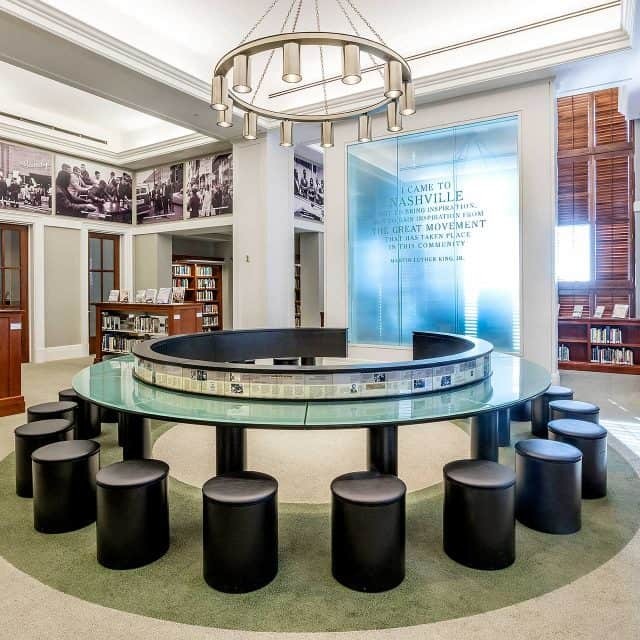 Visit the Civil Rights Room at the Nashville Public Library and step back in time. 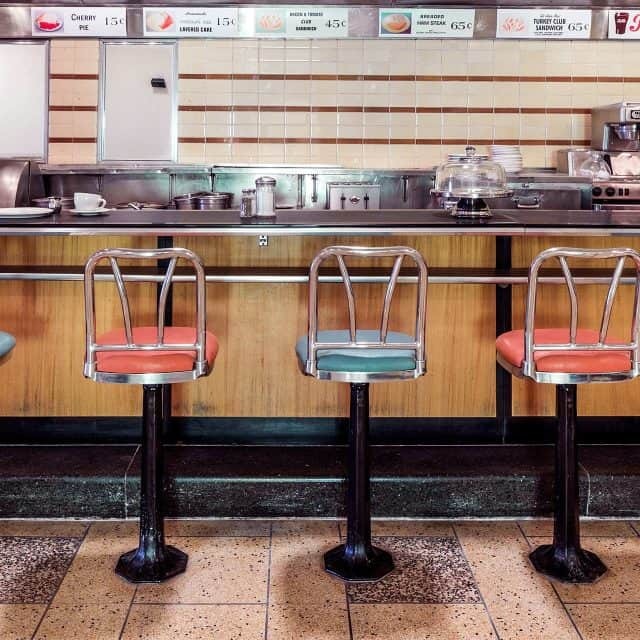 Take a seat at the symbolic lunch counter and read through a timeline of local and national civil rights events. 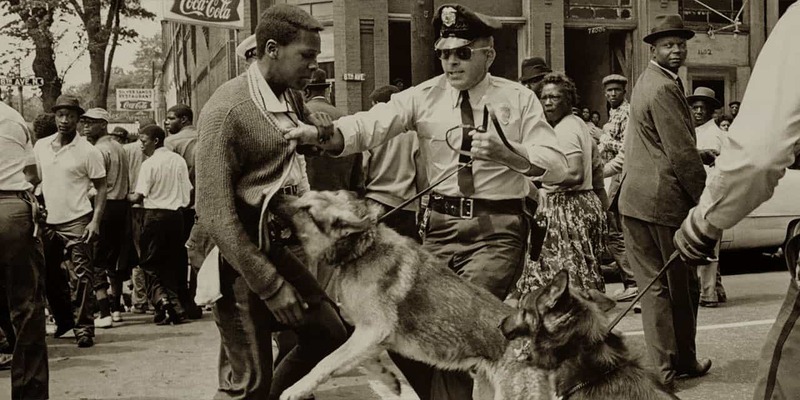 Learn of the Nashville sit-in movement and view the same powerful photos that captured the nation’s attention years ago. 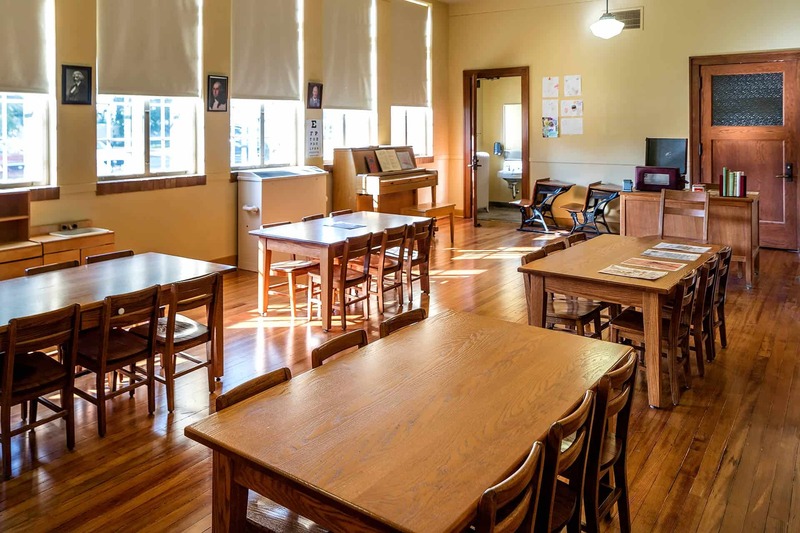 The Civil Rights Room, video presentation room and classroom provide an immersive space for education and exploration of the Civil Rights Movement. 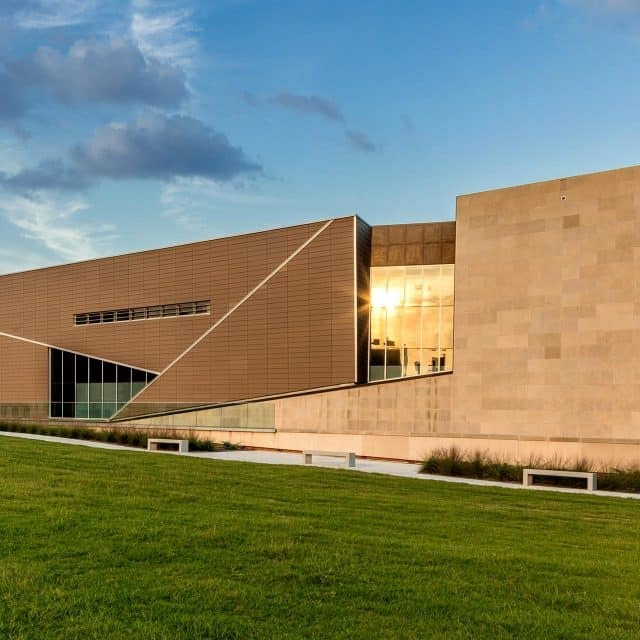 The Presidential Library of Bill Clinton resides within the William J. Clinton Presidential Center and Park. 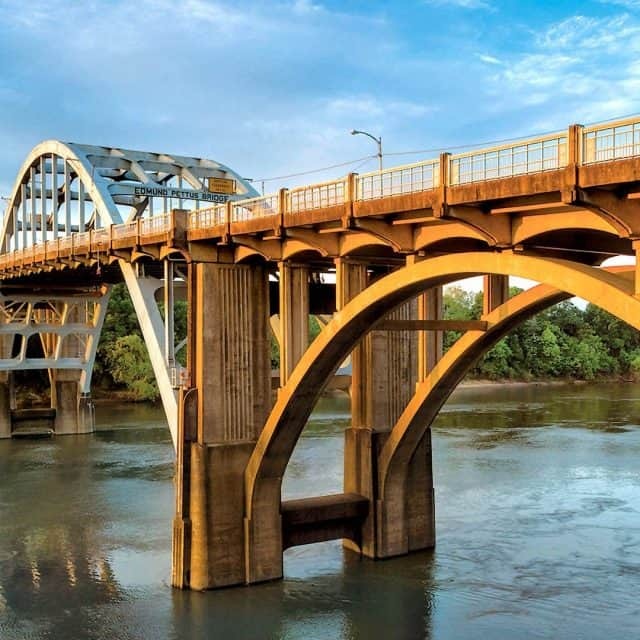 It is located on a 30-acre city park in the River Market District of downtown Little Rock. 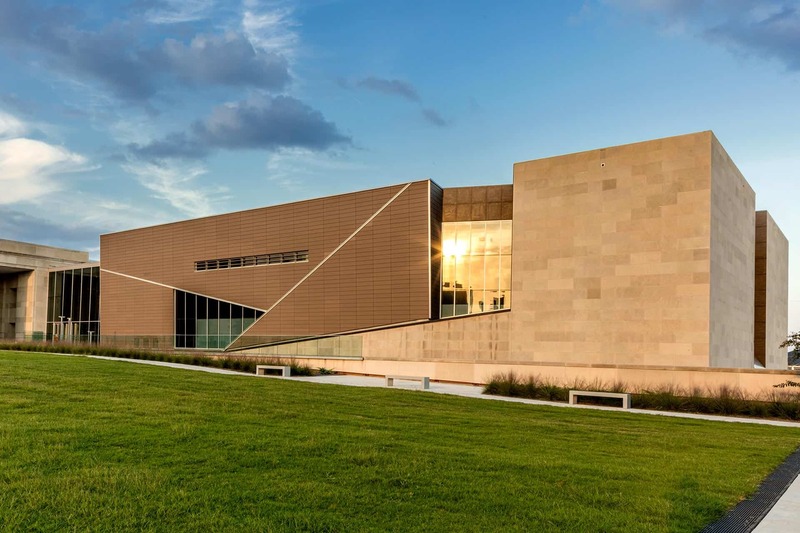 The complex includes the Clinton Presidential Library, the offices of the Clinton Foundation, and the University of Arkansas Clinton School of Public Service. 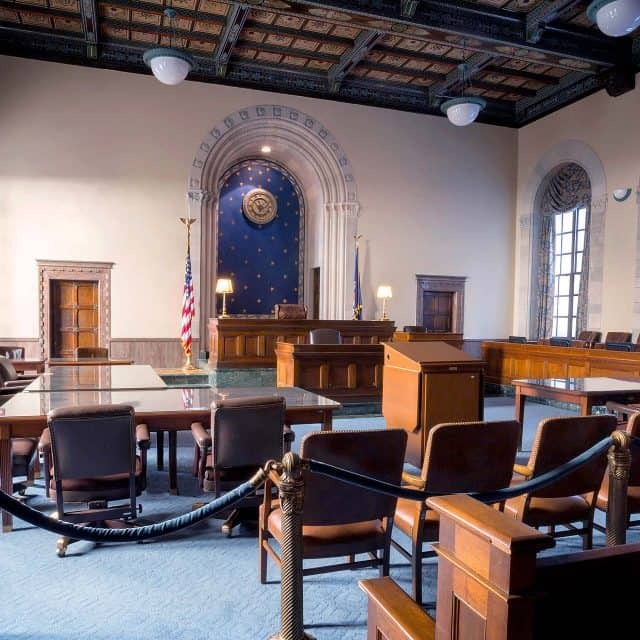 The library features exhibits that chronicle Bill Clinton’s presidency, including replicas of the Oval Office and Cabinet Room. 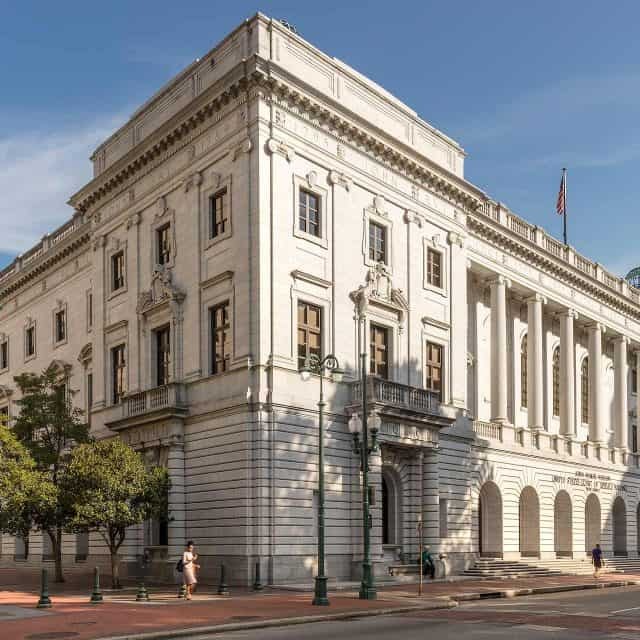 Though still an active government building, the U.S. Court of Appeals for the 5th Circuit is now a National Historic Landmark because of the role its judges played in handing down momentous decisions in favor of school integration. 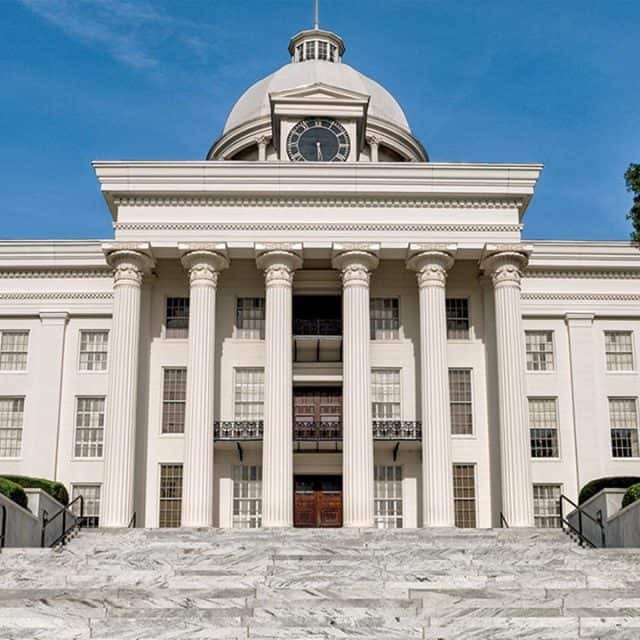 Scheduled tours of the courthouse are offered through its website. 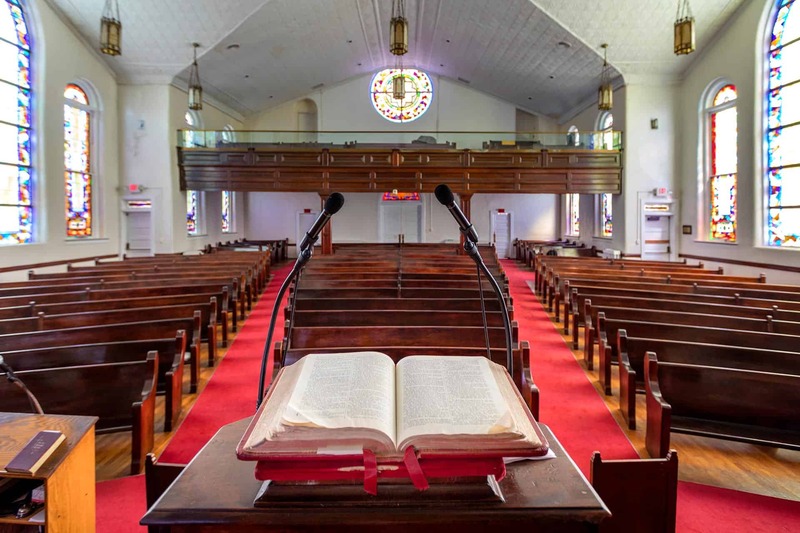 In 1957, a group of Baptist pastors and activists from across the South met at the New Zion Baptist Church to form the Southern Leadership Conference, which later that year would be renamed as the Southern Christian Leadership Conference (SCLC). The members chose Dr. Martin Luther King Jr. as their first president. 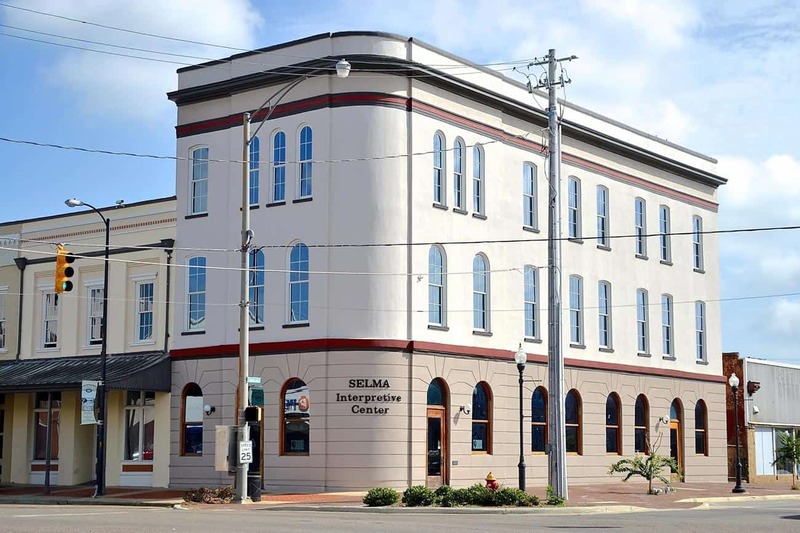 Plans are underway for a memorial across the street that will offer interpretive displays to tell the story of the SCLC’s founding and other New Orleans-based civil rights milestones. 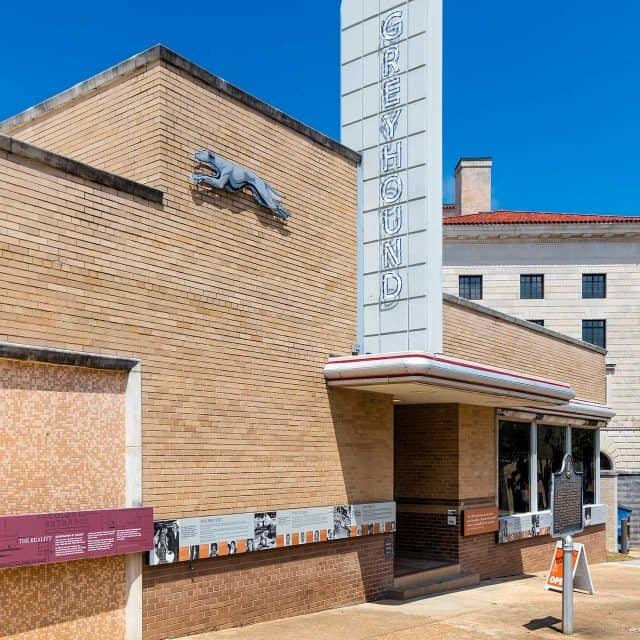 The original Woolworth’s building has been rehabilitated and turned into the International Civil Rights Center & Museum. 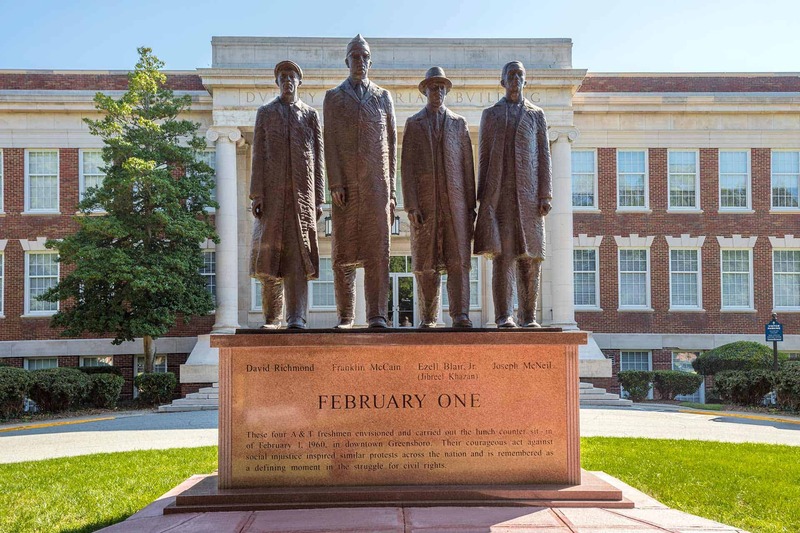 The museum’s mission is to commemorate the A&T Four and their role in launching the sit-in movement that inspired peaceful demonstrations across the country. 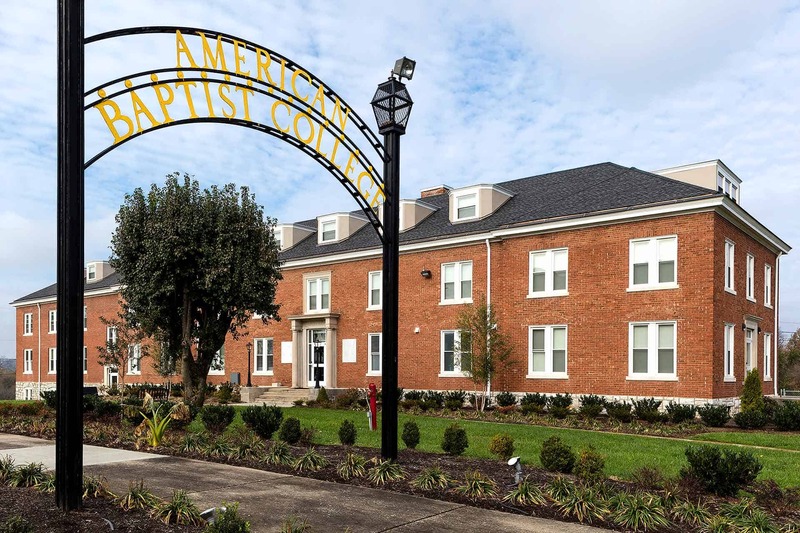 American Baptist College produced some influential civil rights leaders, including Julius Scruggs, Bernard LaFayette, Jim Bevel, William Barbee and John Lewis. 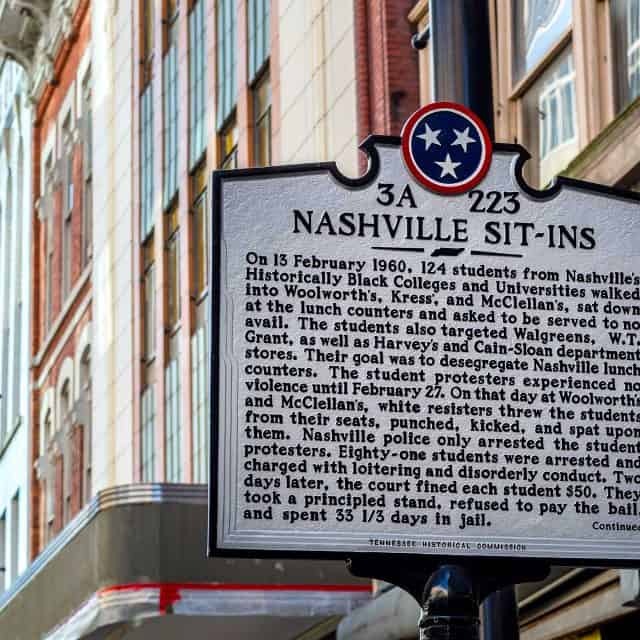 These men participated in the Nashville sit-in movement and set the tone for nonviolent protest in the South. 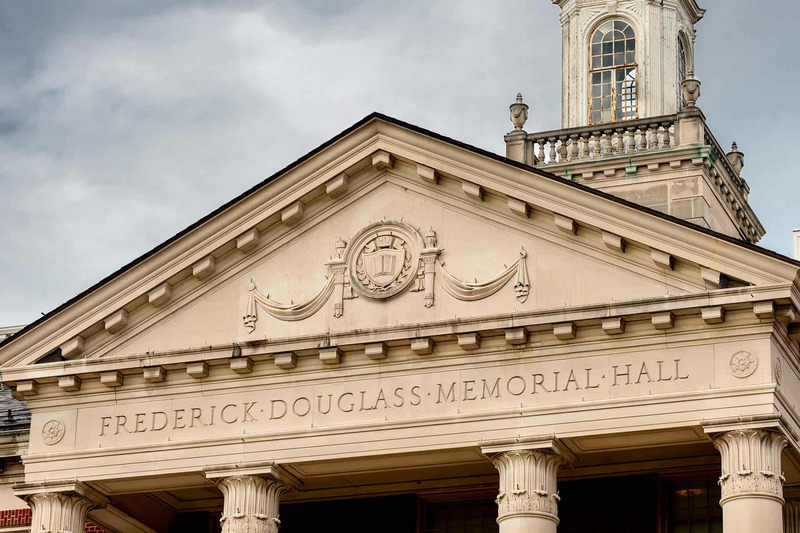 Visitors can honor the contributions of these activists by visiting Griggs Hall, the first building to be erected on the campus. 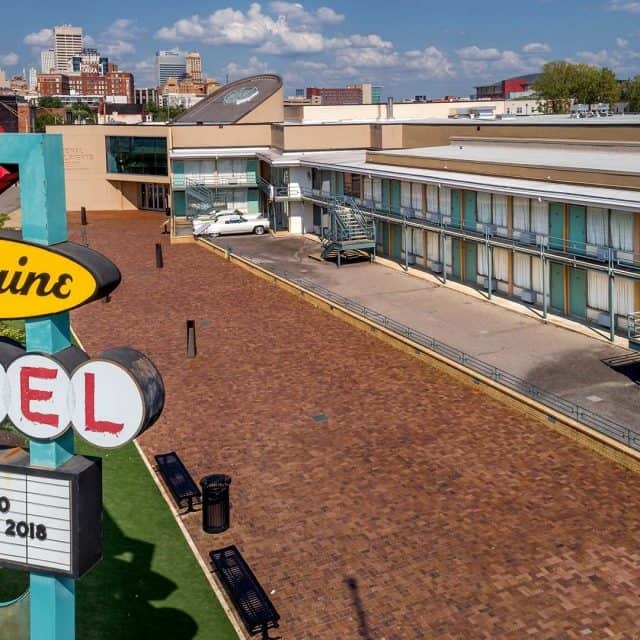 The National Civil Rights Museum is a collection of historic museums and sites, including the Lorraine Motel, the site of Dr. King’s assassination on April 4, 1968. 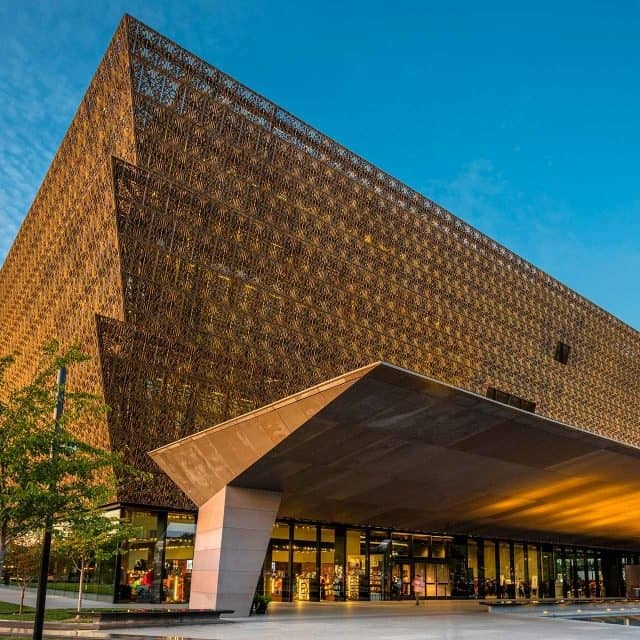 These locations and exhibits explore the history of the Civil Rights Movement in the United States from the 17th century to present day. 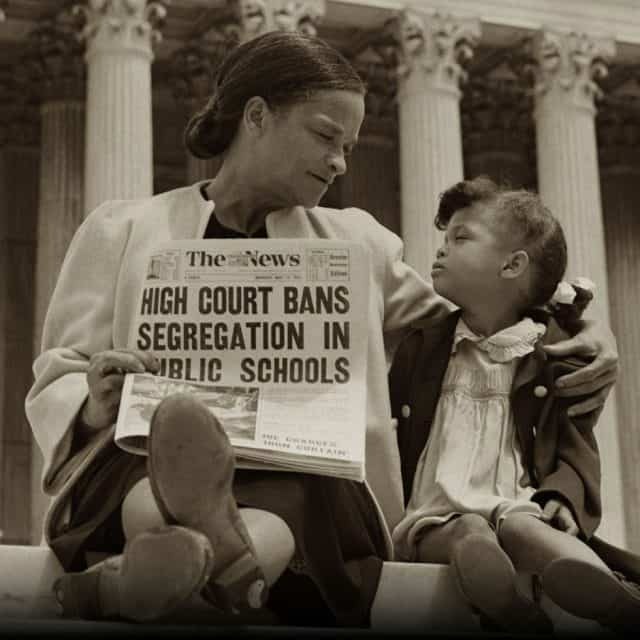 Nettie Hunt and her daughter Nickie sit on the steps of the U.S. Supreme Court building following the ruling in the Brown v. Board of Education case, which determined segregation in public schools was unconstitutional. 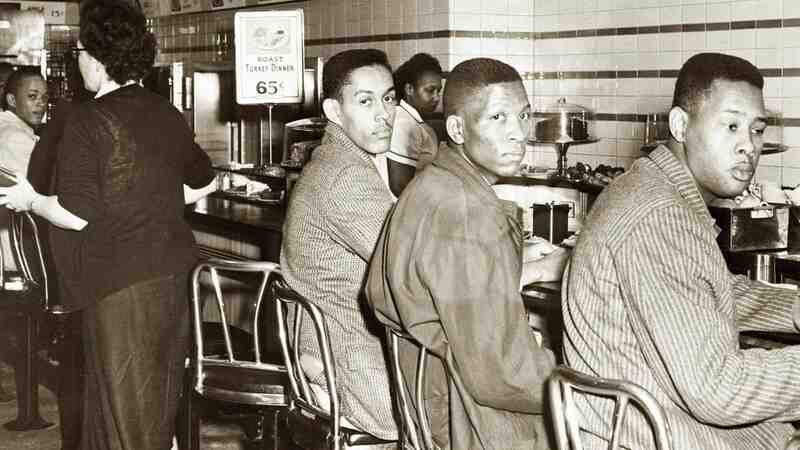 On February 1, 1960, North Carolina A&T University students David Richmond, Franklin McCain, Ezell Blair Jr. (Jibreel Khazan) and Joseph McNeil carried out the infamous lunch counter sit-in at the F.W. Woolworth store. 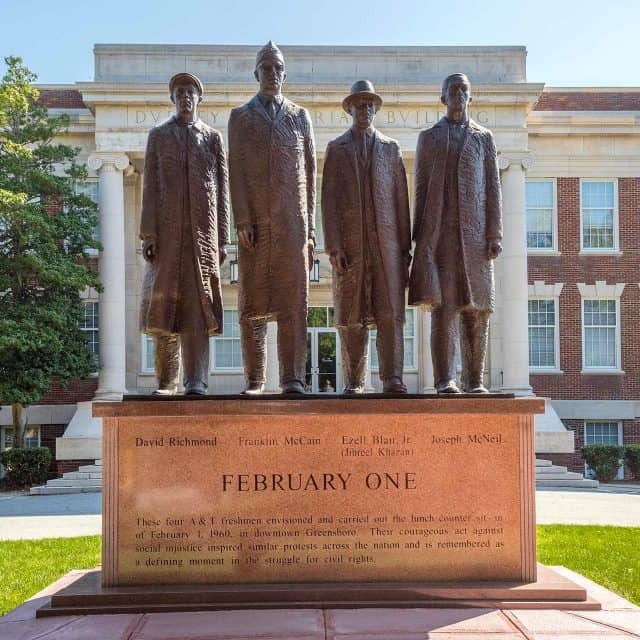 This monument to the four brave men marks their place in our nation’s civil rights history. 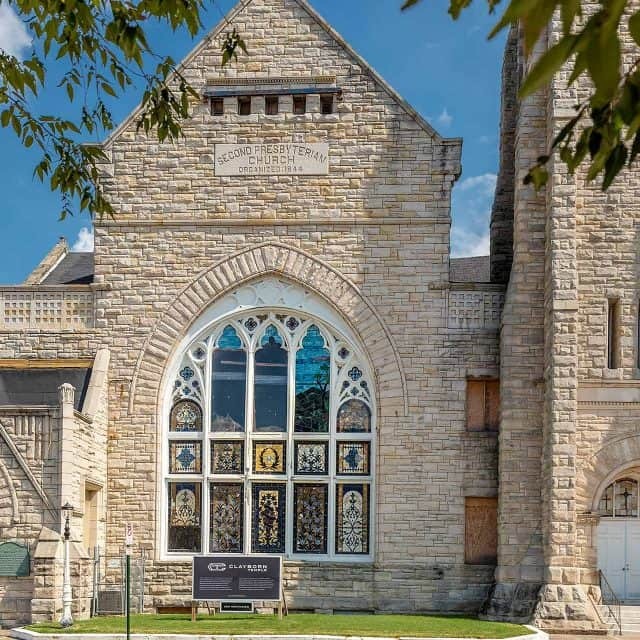 The preserved Dexter Avenue King Memorial Baptist Church and recreated parsonage now appear as they were when Martin Luther King Jr. and his family resided there during Dr. King’s pastorate from 1954-1960. 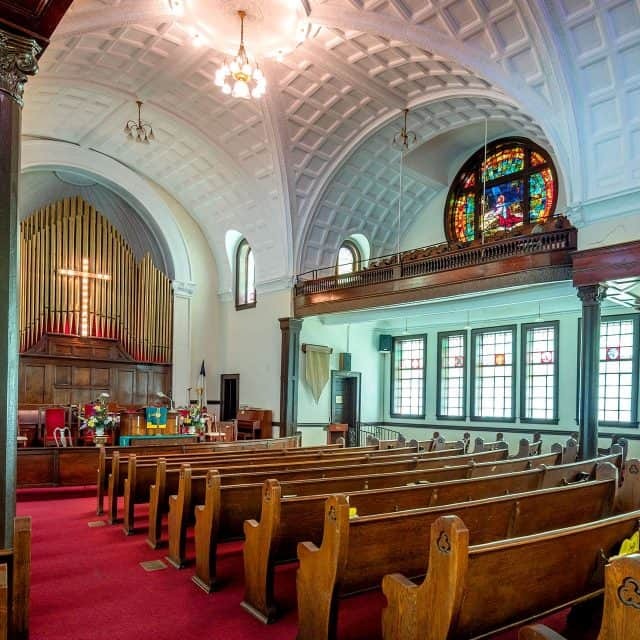 This church was the site of mass meetings to organize the famous Montgomery Bus Boycott. 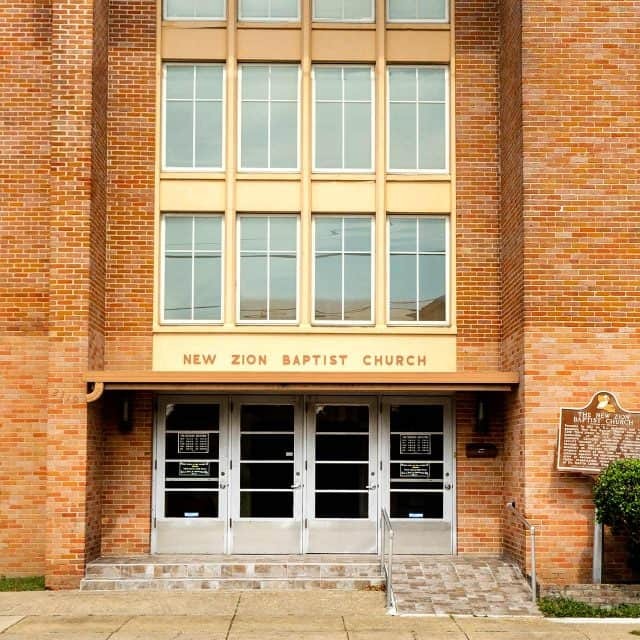 One of several locations within the Martin Luther King Jr. National Historic Site, Ebenezer Baptist Church was the site of Dr. King’s baptism and ordination and was where he served as co-pastor with his father, Martin Luther King Sr., until 1968. 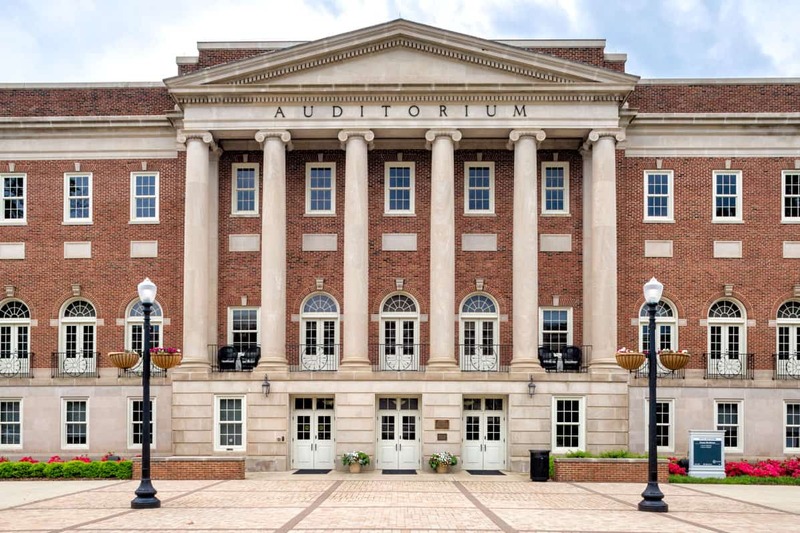 Foster Auditorium is the site of the infamous “Stand in the Schoolhouse Door” incident. The building is now a National Historic Landmark and is still in use at the university. A historical marker stands outside the building. 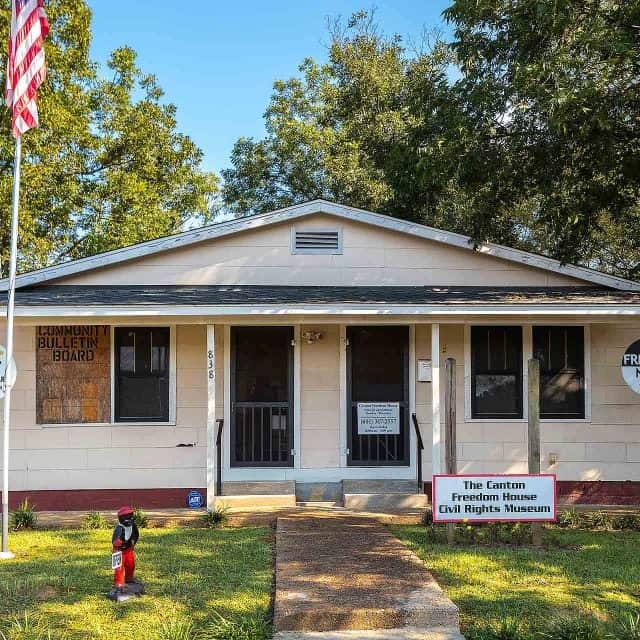 The Canton Freedom House served as the local headquarters of the Congress of Racial Equality (CORE). The house was bombed in 1964. 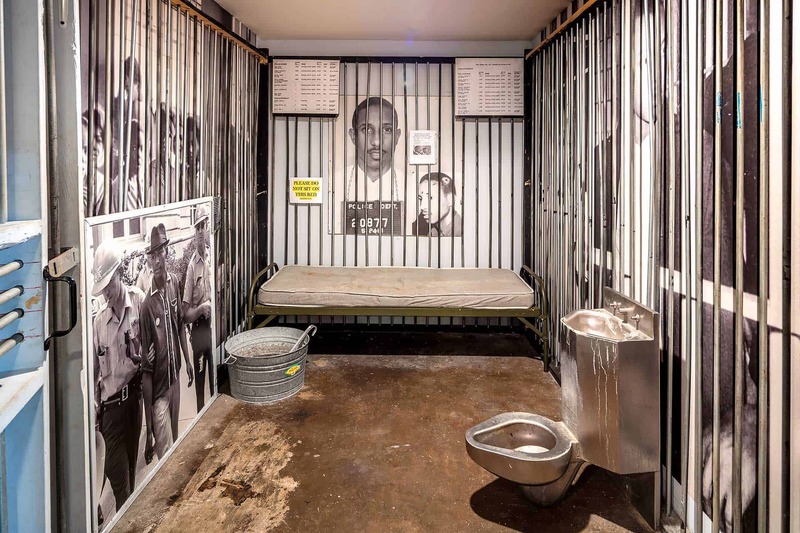 Civil rights leaders, including Martin Luther King Jr. and James Meredith, sought refuge and organized protests at the Freedom House. 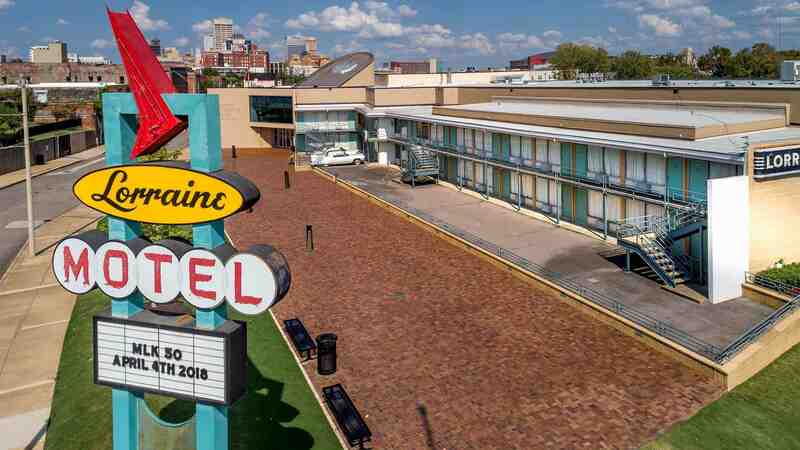 Today, the restored structure is a civil rights museum housing photographs, articles and civil rights memorabilia. 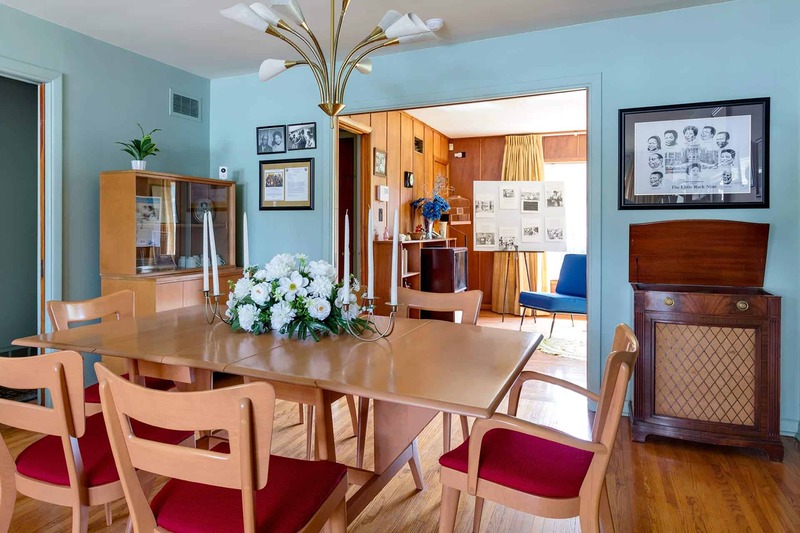 Guided tours of the house are also available by appointment. 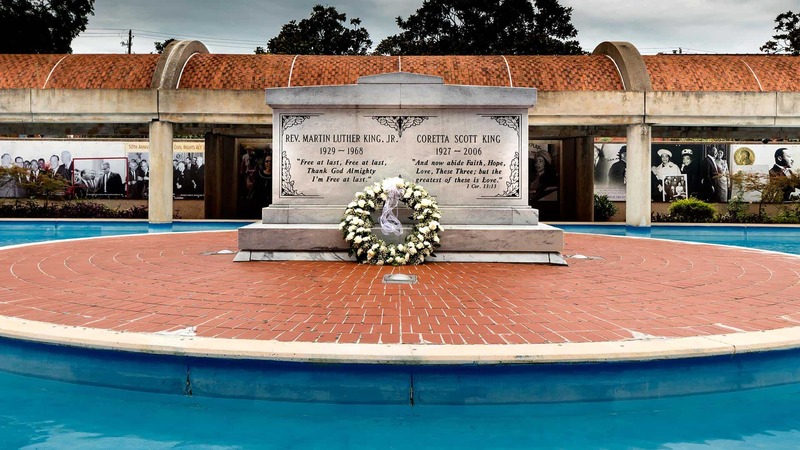 Dr. Martin Luther King Jr. was the first African-American to be honored with a memorial on the National Mall. 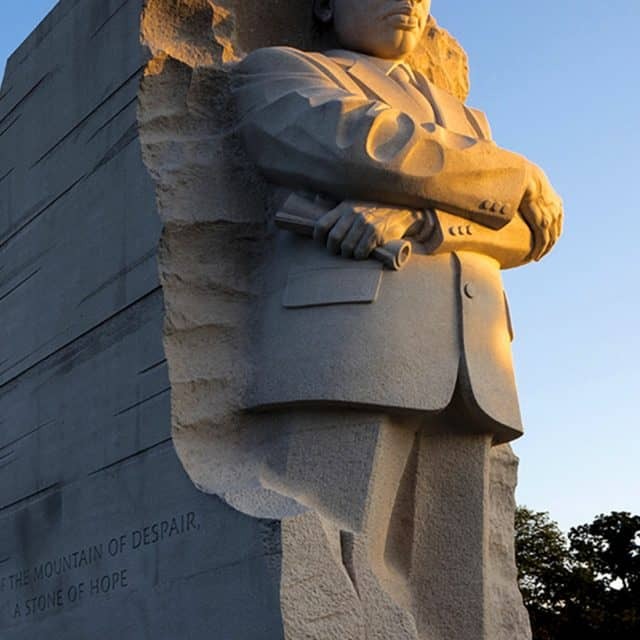 The monument captures the unwavering faith, strength and leadership of our nation’s greatest civil rights leader through two massive granite structures – the “Stone of Hope” hewn from the “Mountain of Despair.” From 9:30 a.m. to 10 p.m., rangers are on site to answer questions about the memorial. Interpretive programs are available upon request. 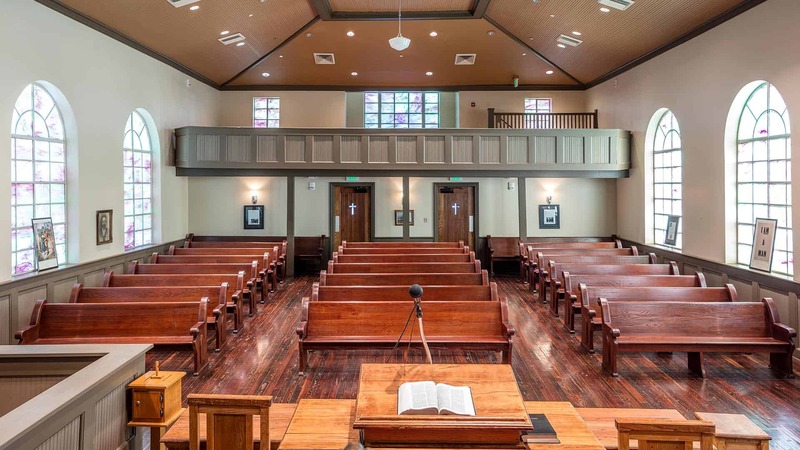 Bethel Baptist Church served as headquarters for the Alabama Christian Movement for Human Rights. 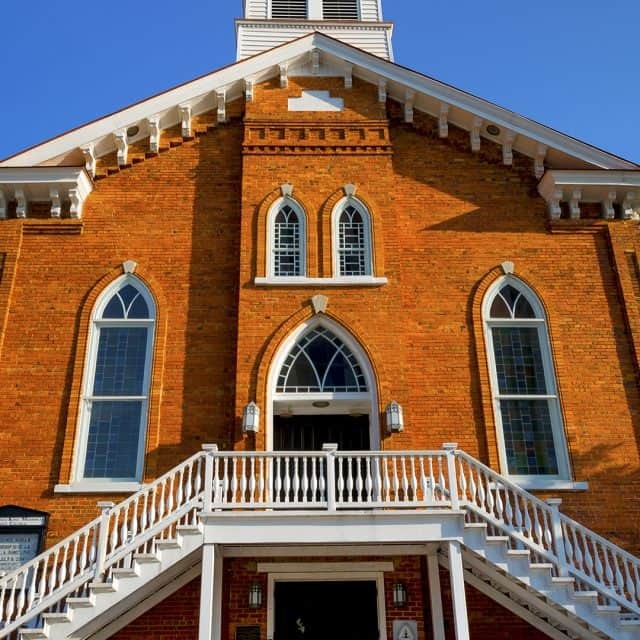 On June 29, 1958, civil rights guards removed a bomb from the church before it exploded, saving the church from certain damage. 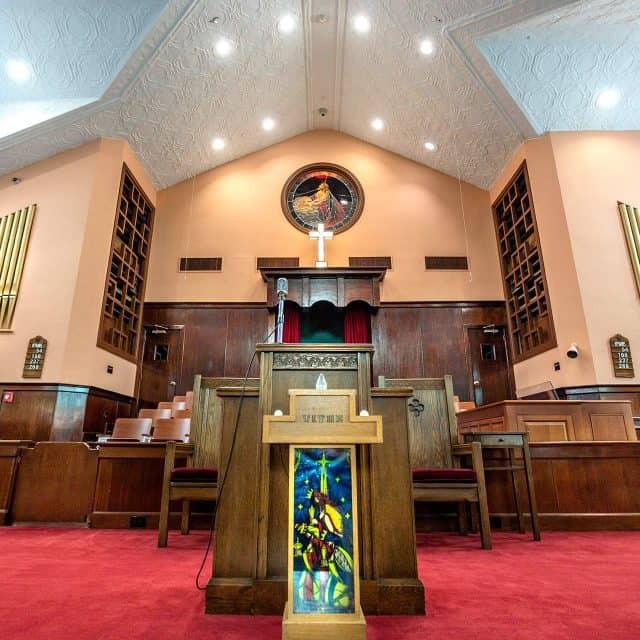 A new sanctuary was opened in 1995, and the original church building was preserved as a monument to the Civil Rights Movement. 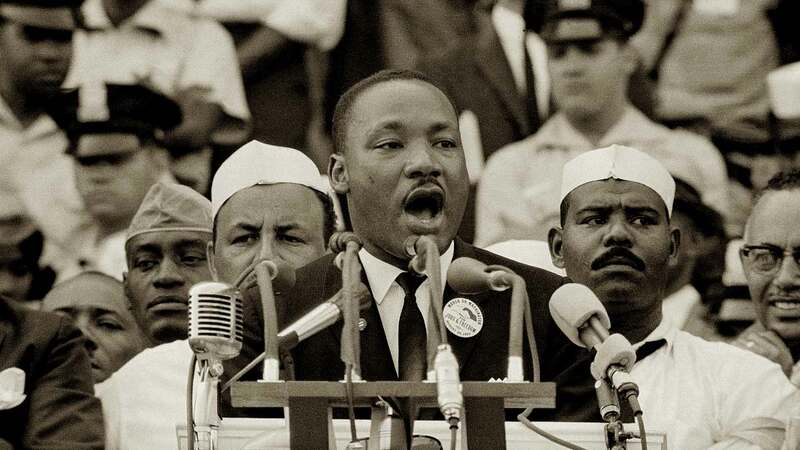 Following the 1963 March on Washington for Jobs and Freedom, Dr. Martin Luther King Jr. delivered his famous speech in front of the Lincoln Memorial. In an effort to desegregate Birmingham, the Southern Christian Leadership Conference recruited children and local students as demonstrators.